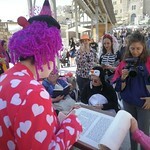 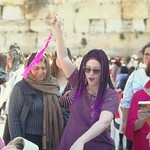 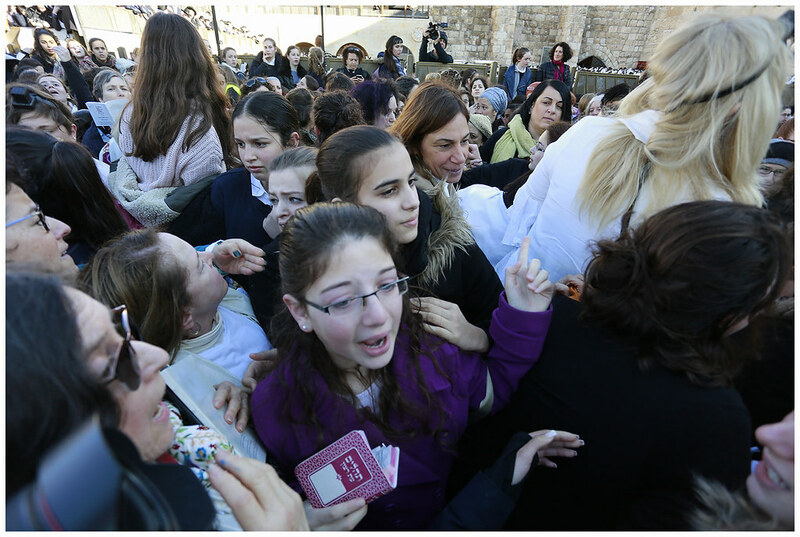 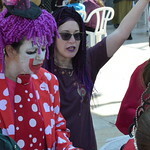 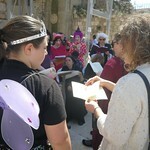 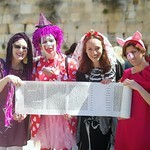 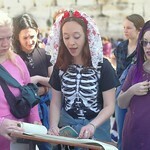 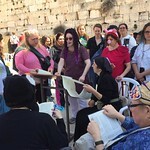 Women of the Wall Welcome Tiny Torah Scroll, for the Second Month in a Row, to the Kotel Women’s Section. 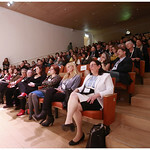 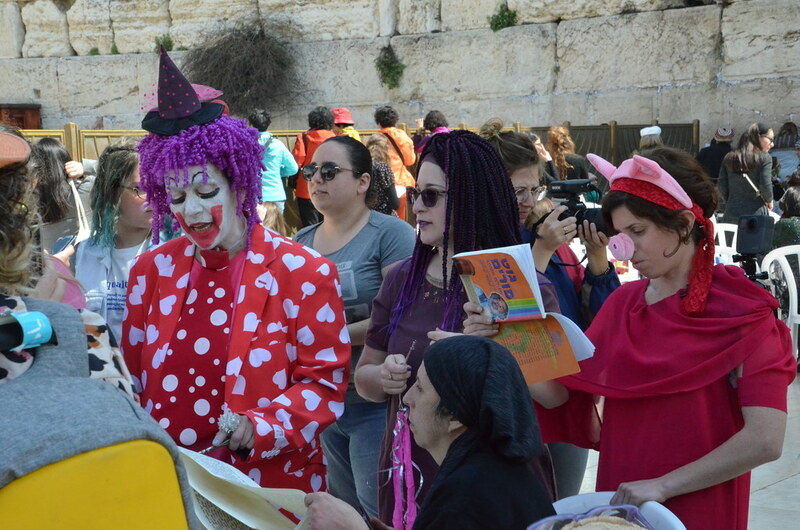 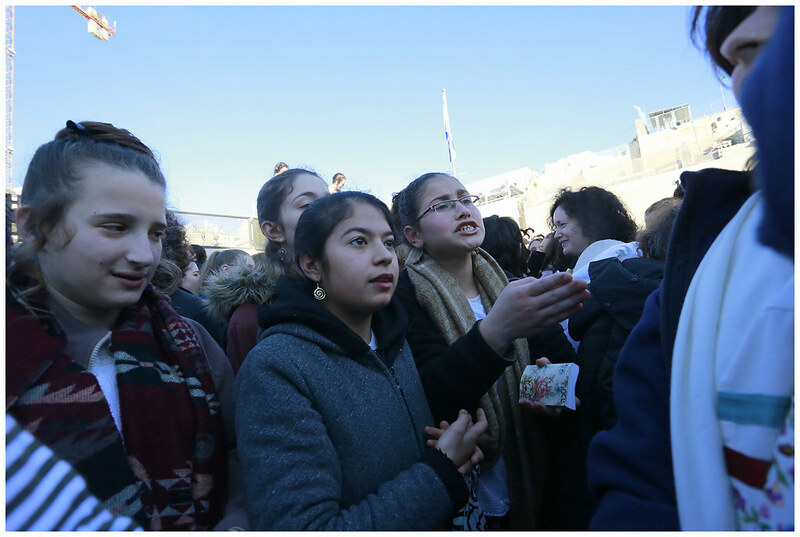 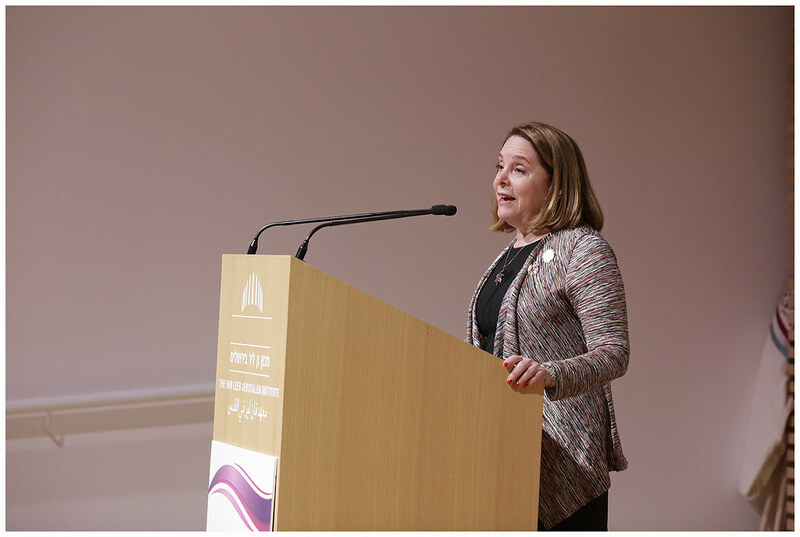 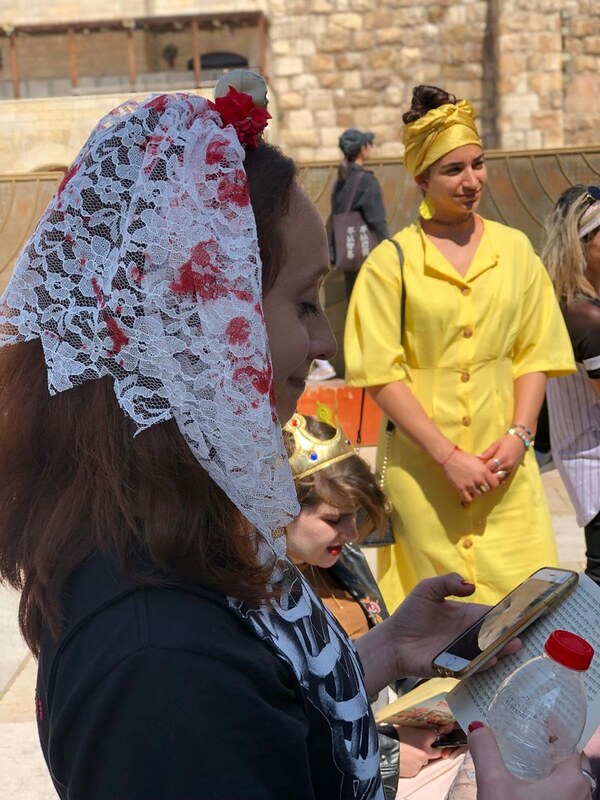 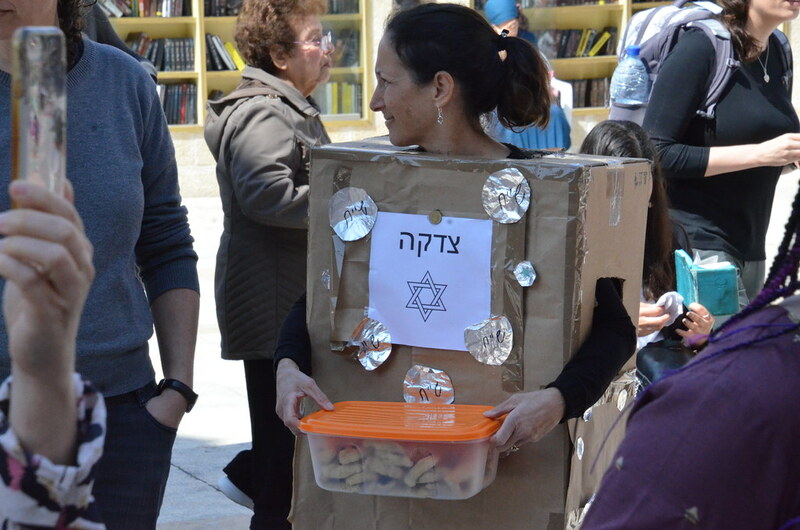 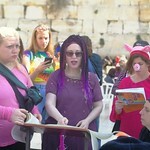 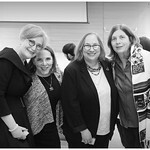 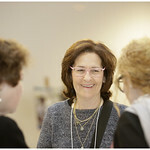 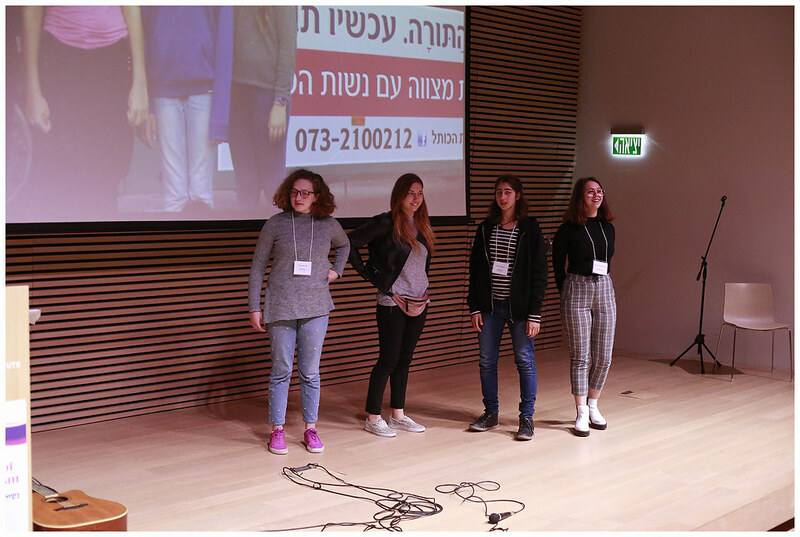 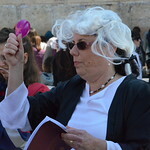 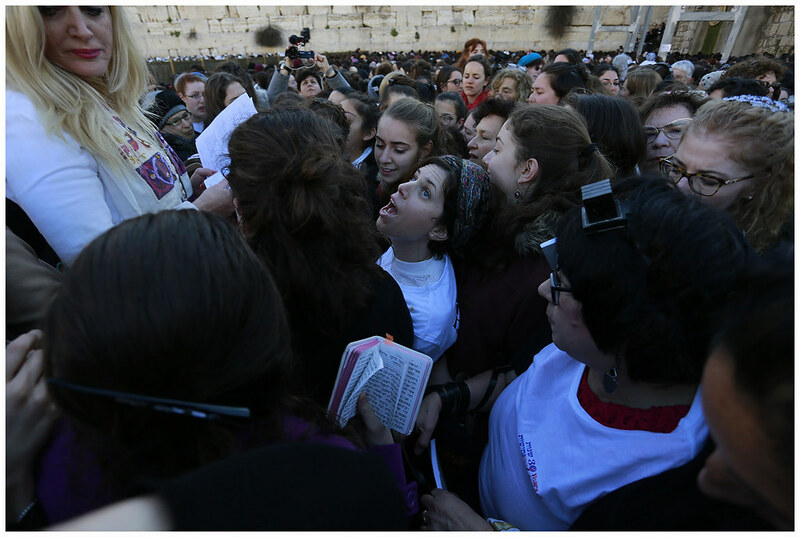 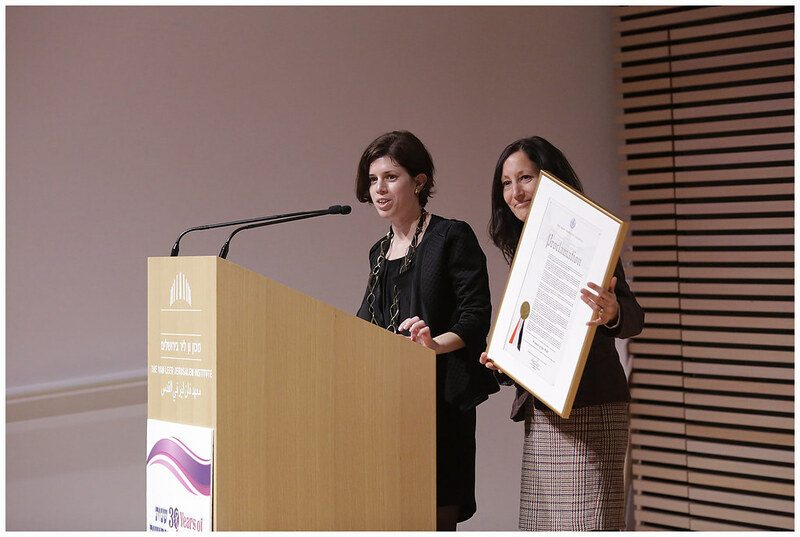 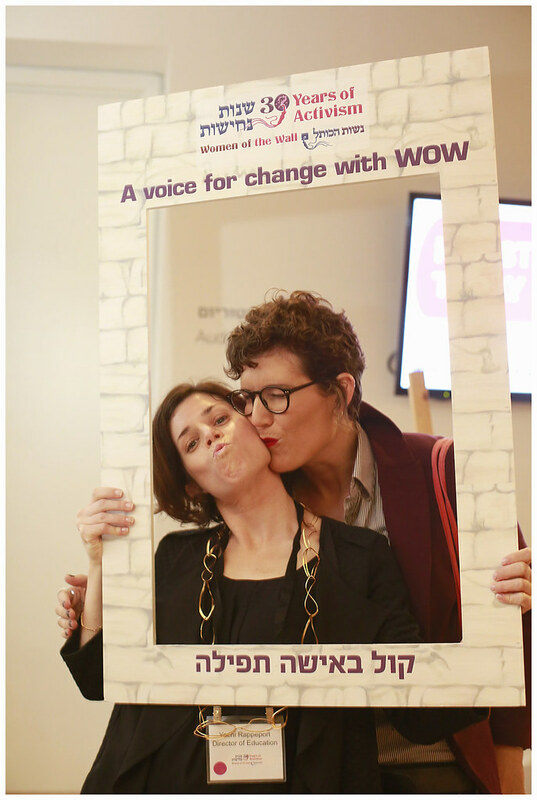 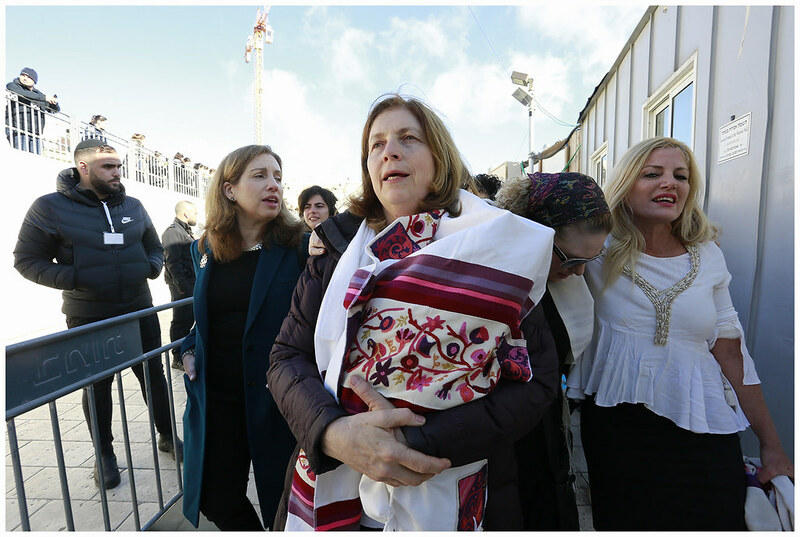 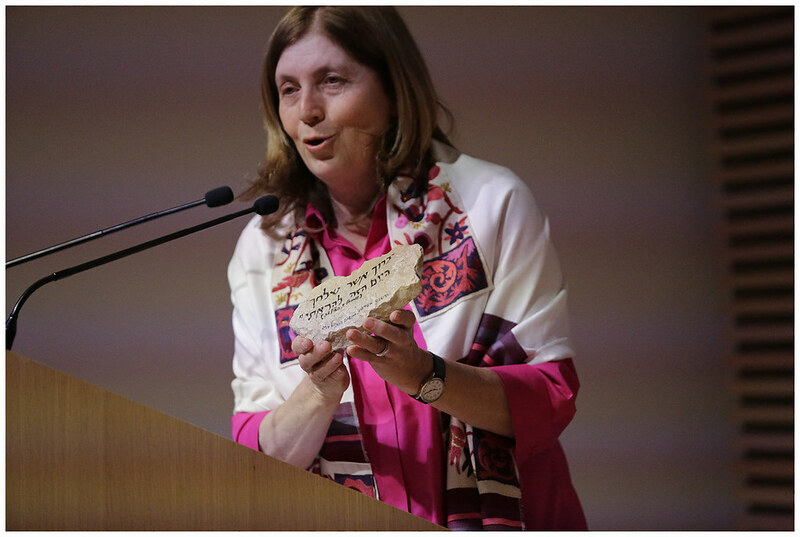 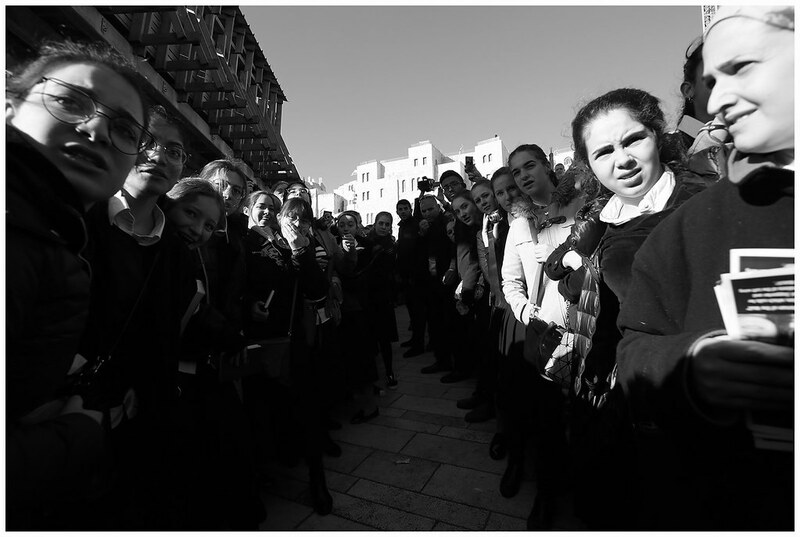 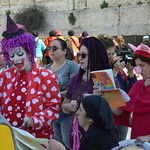 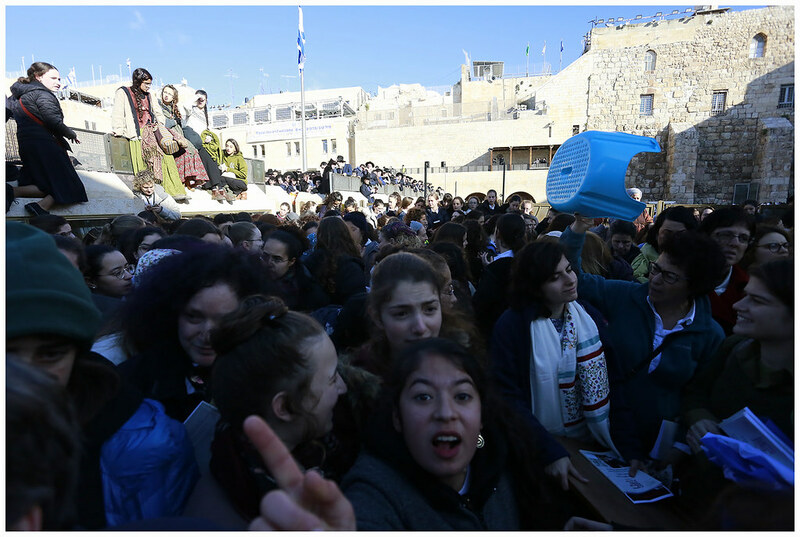 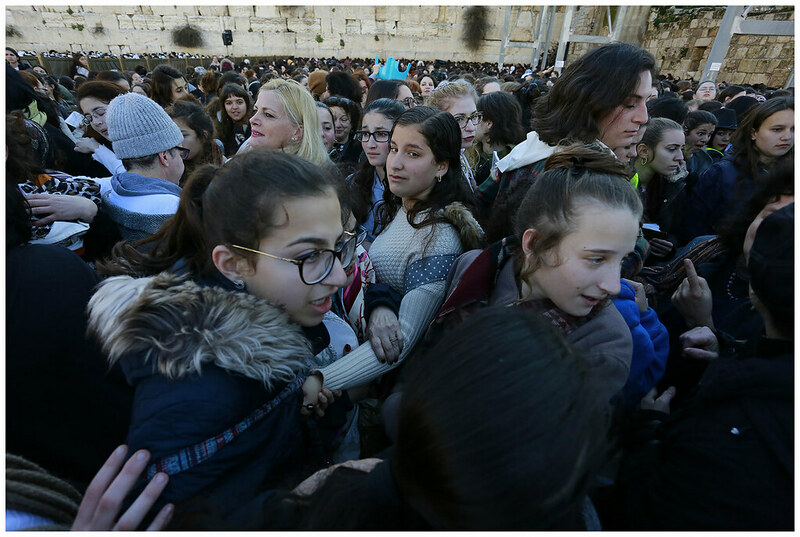 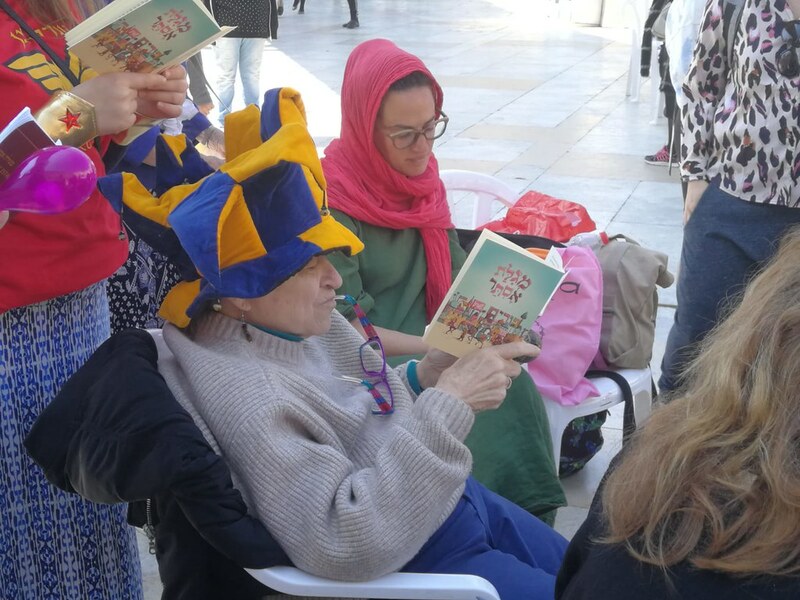 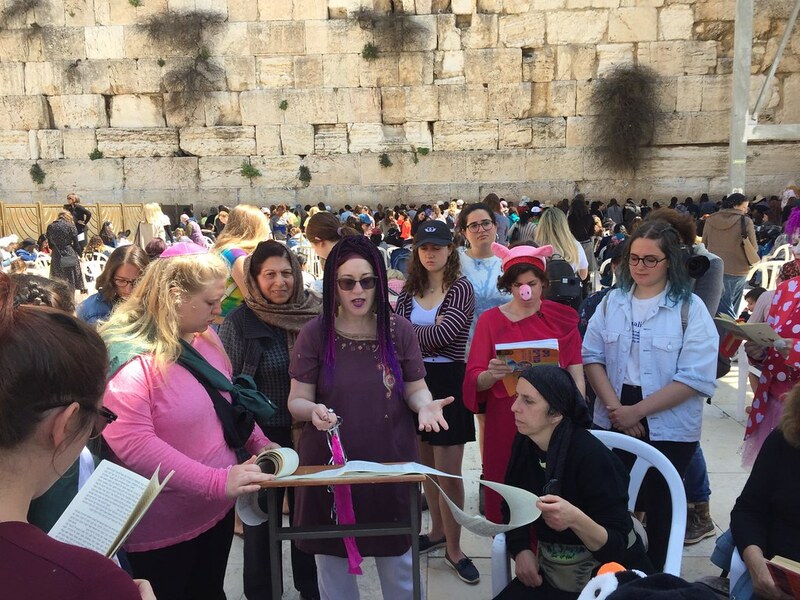 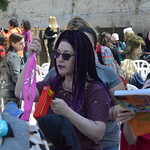 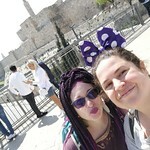 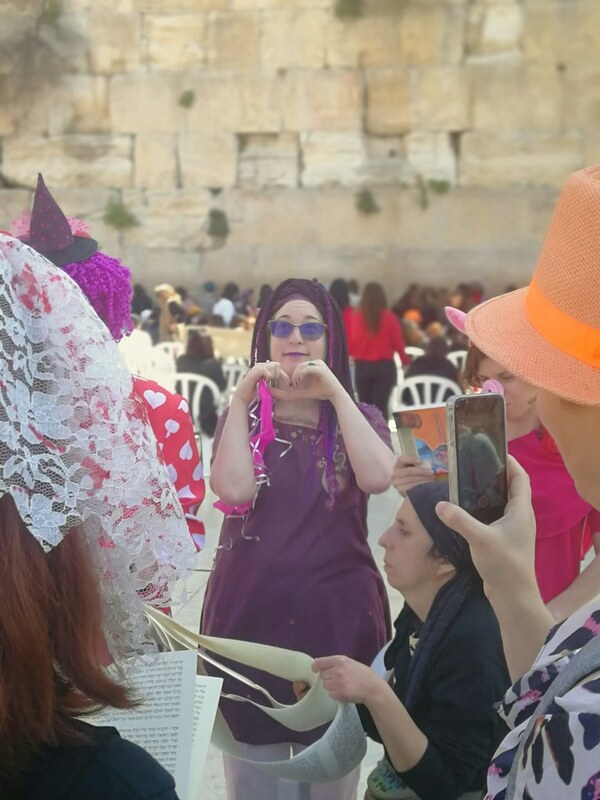 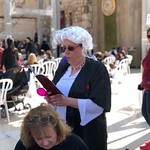 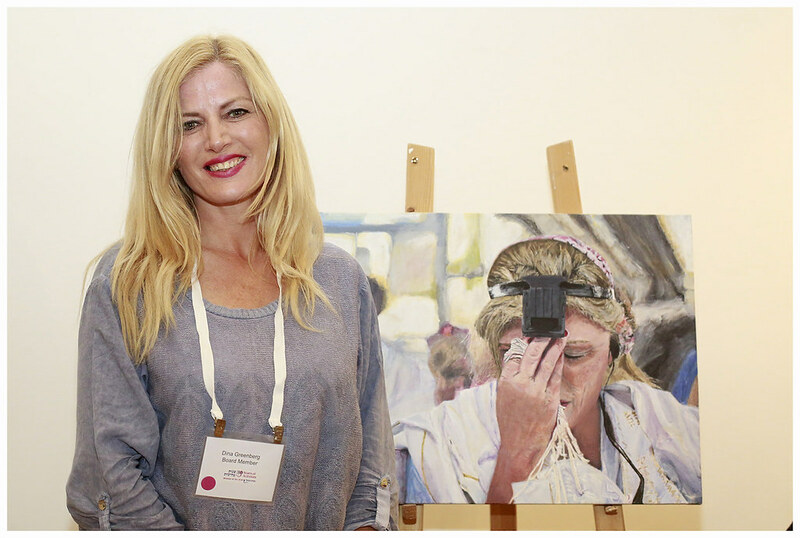 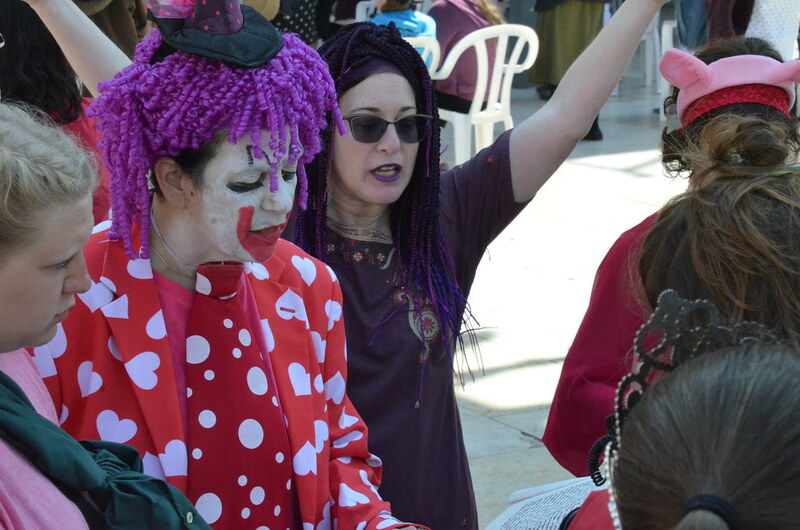 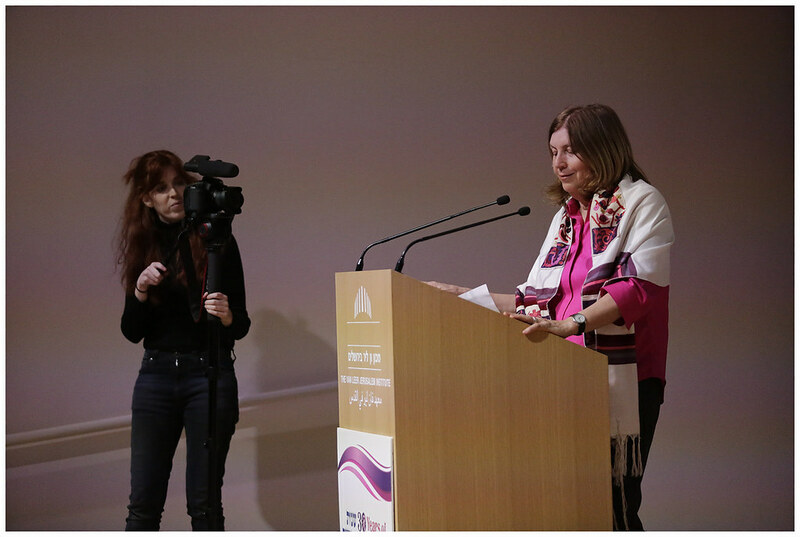 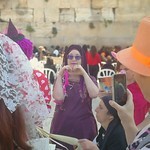 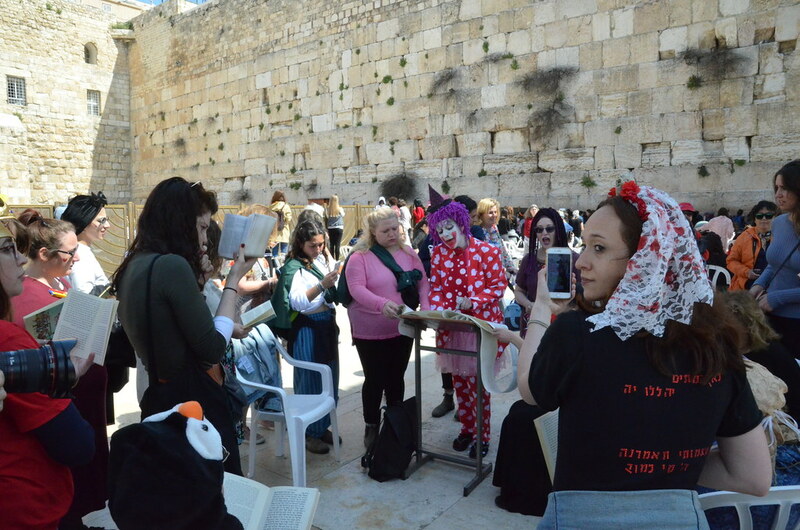 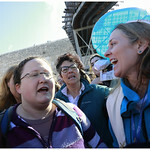 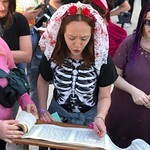 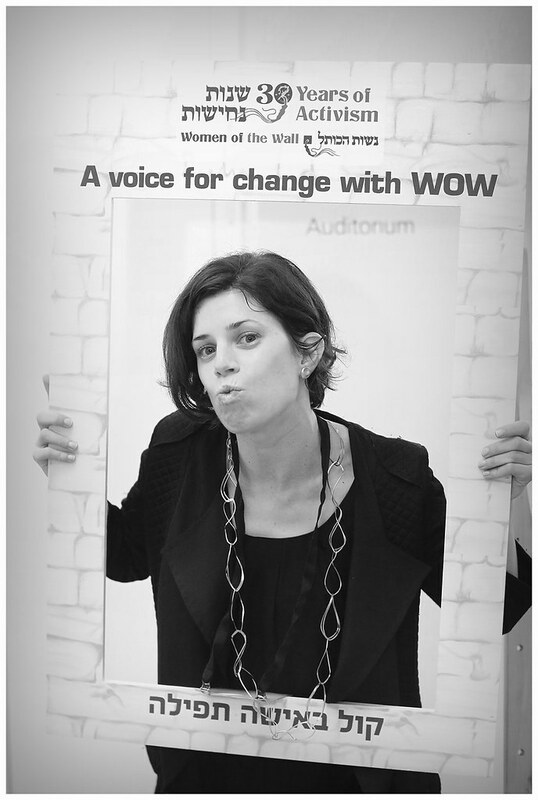 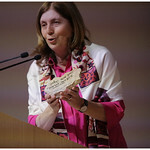 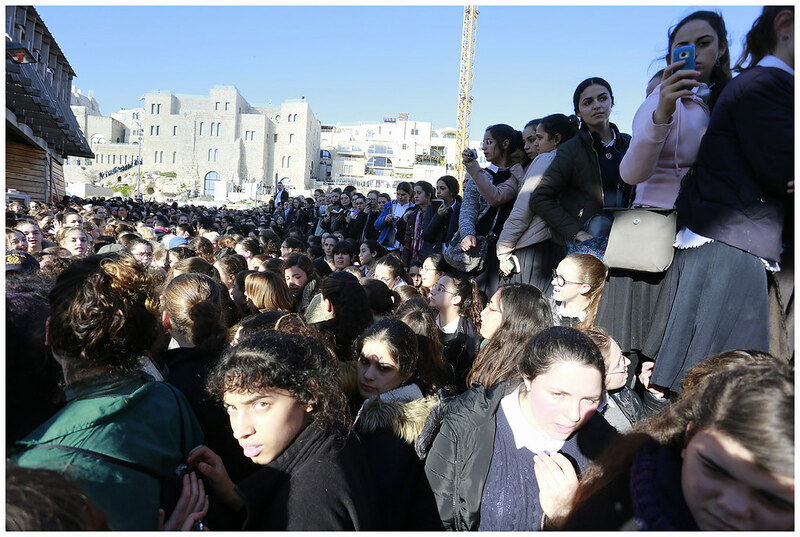 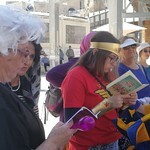 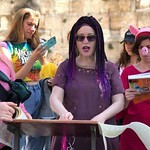 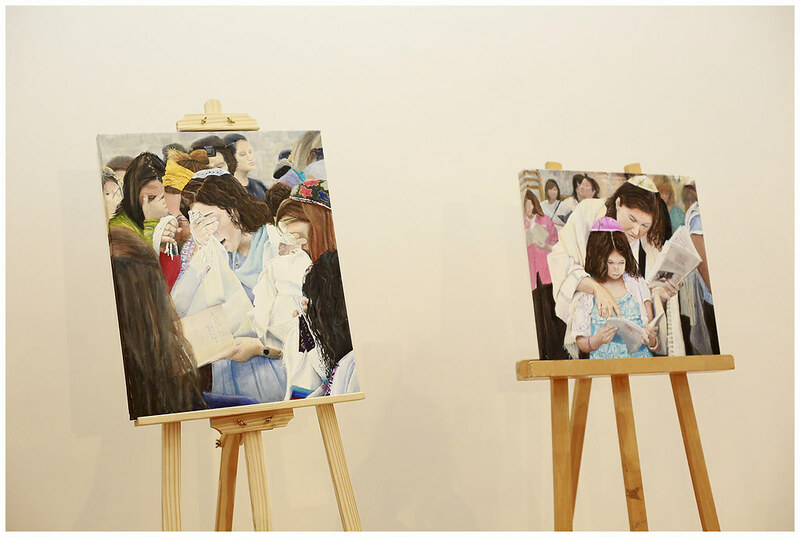 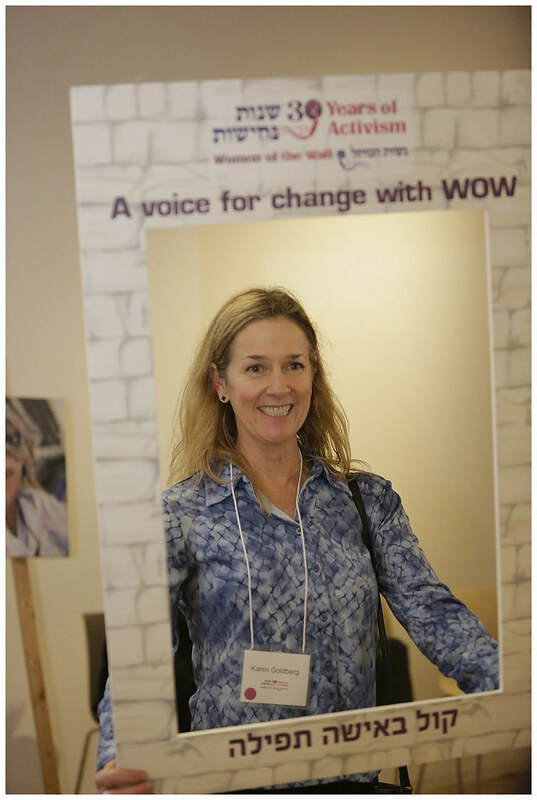 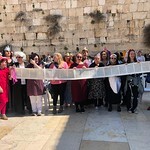 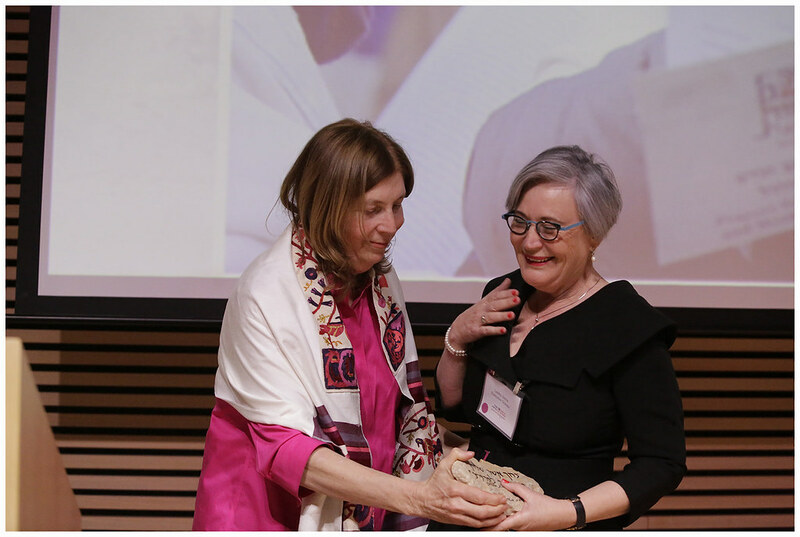 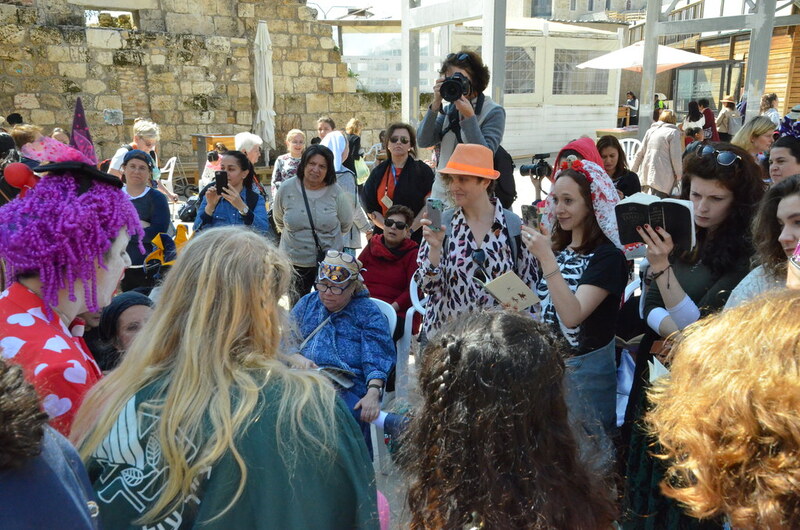 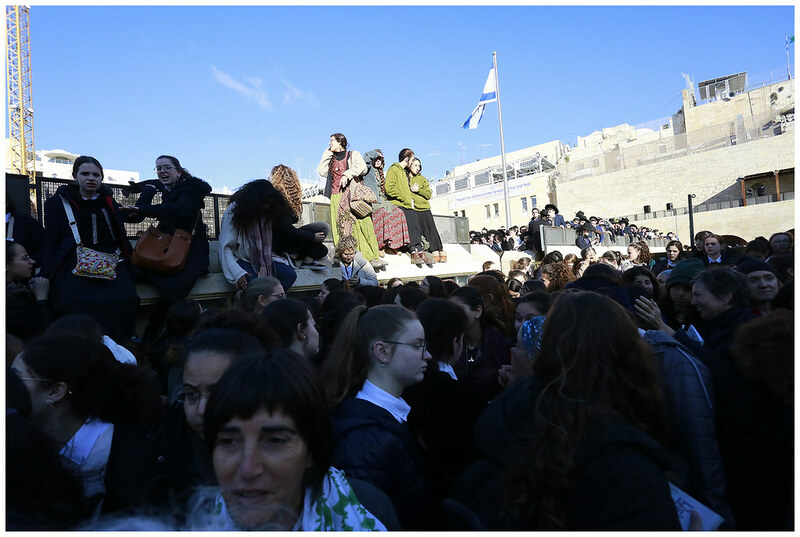 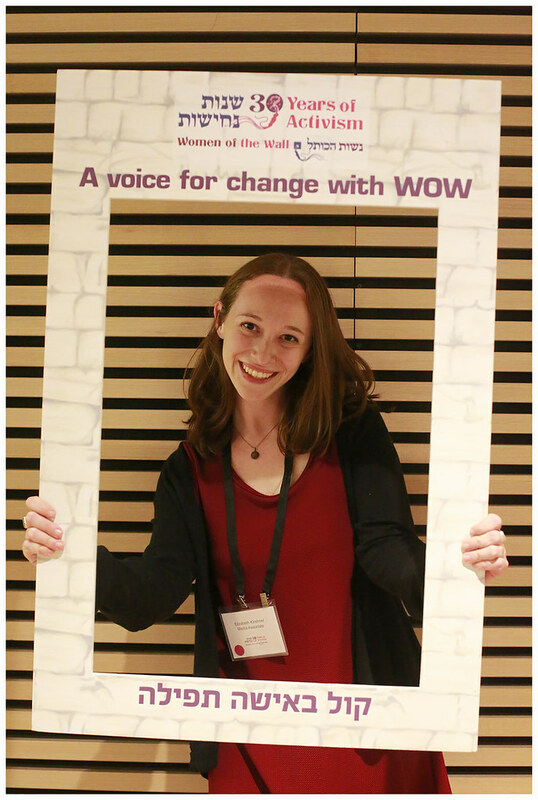 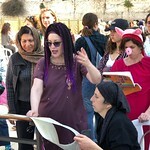 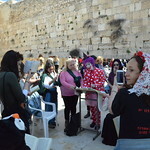 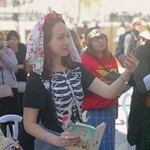 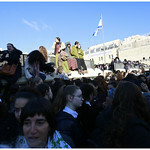 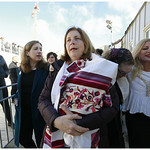 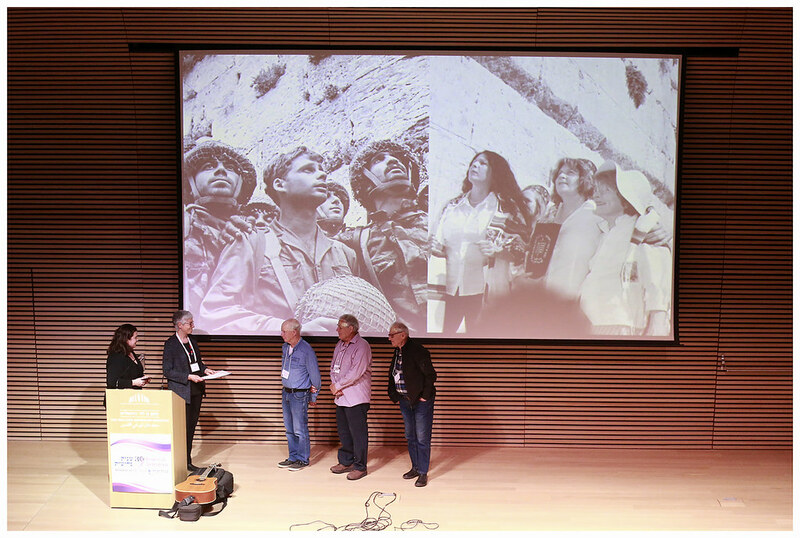 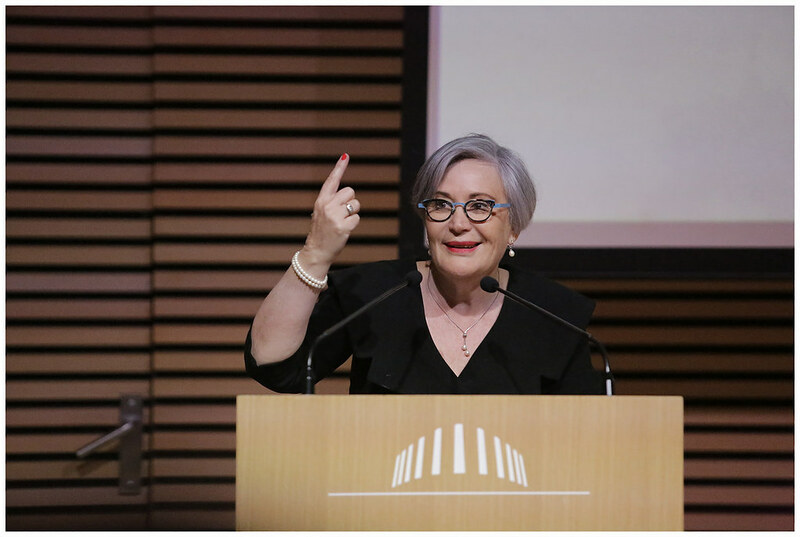 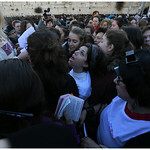 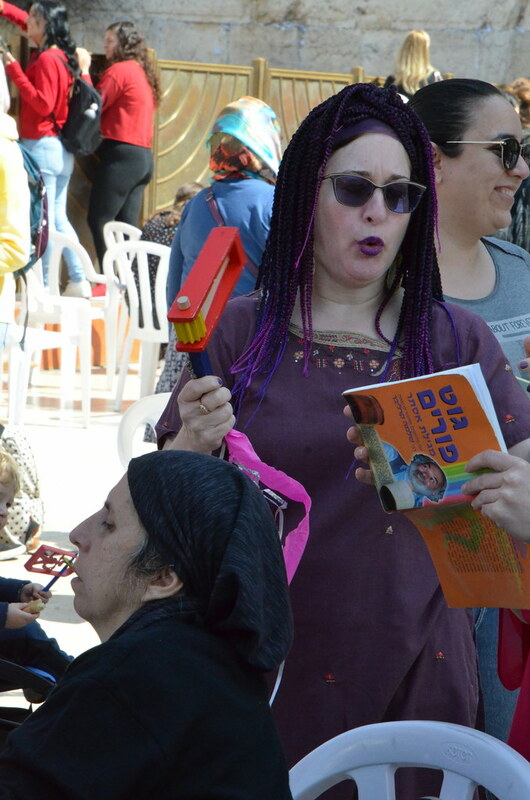 Home » press releases » Women of the Wall Welcome Tiny Torah Scroll, for the Second Month in a Row, to the Kotel Women’s Section. 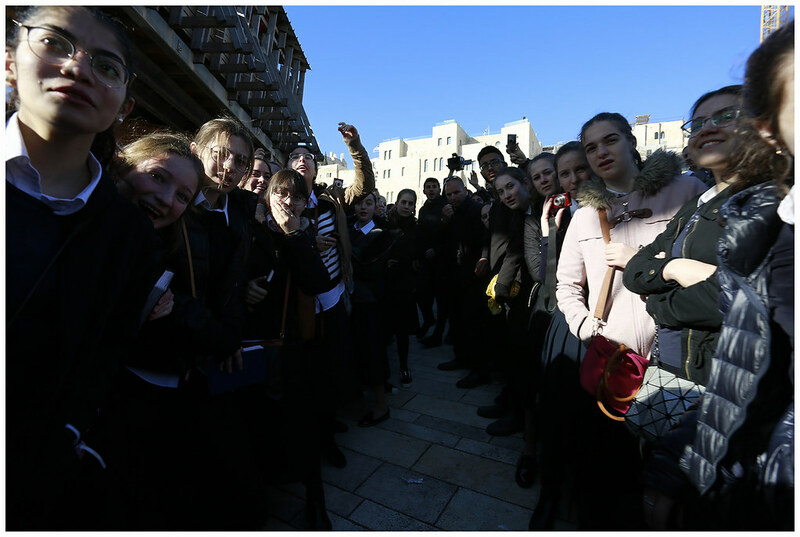 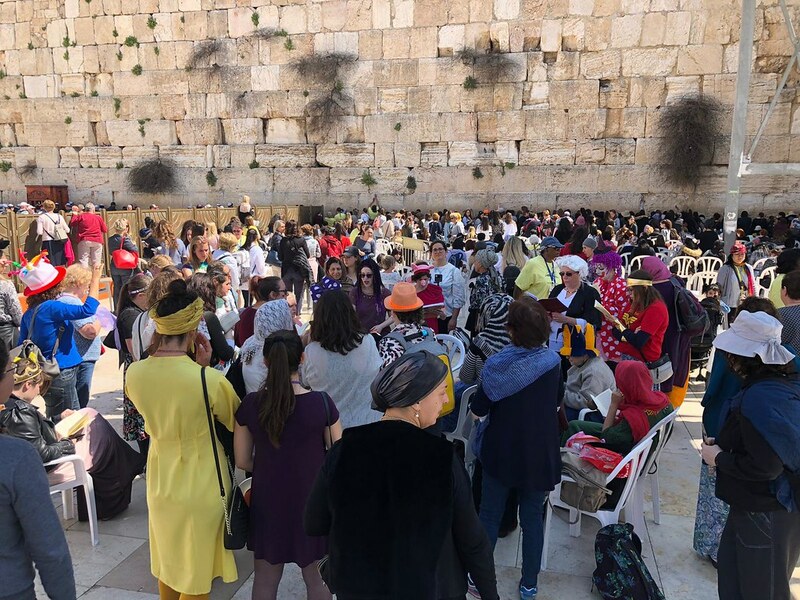 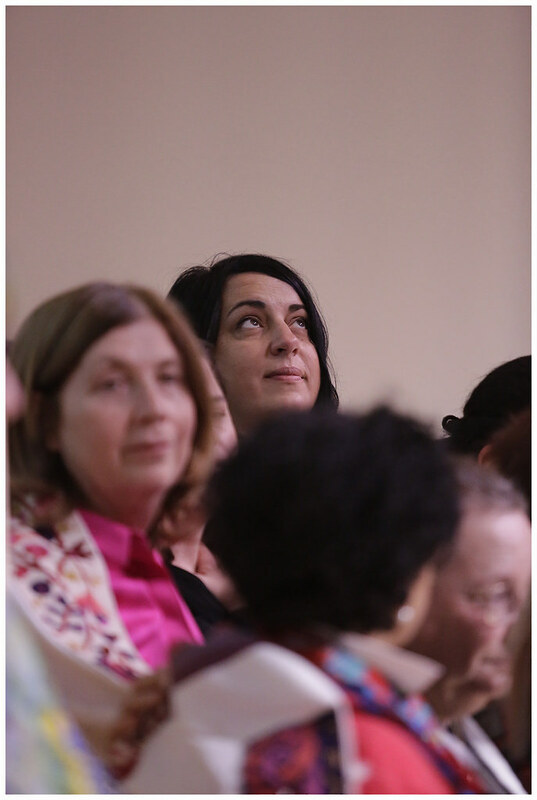 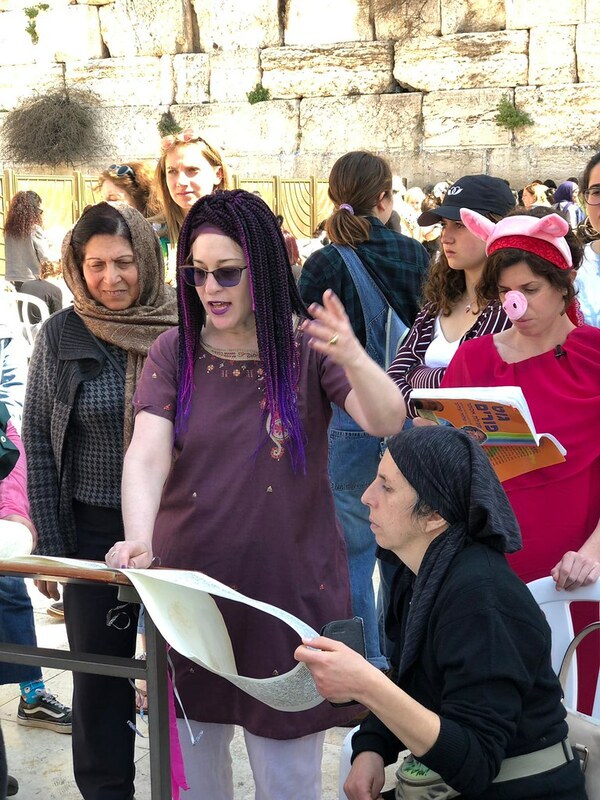 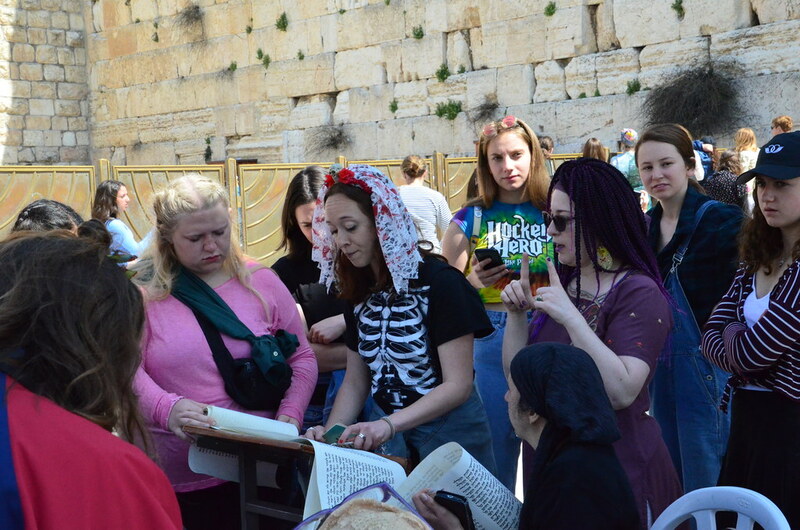 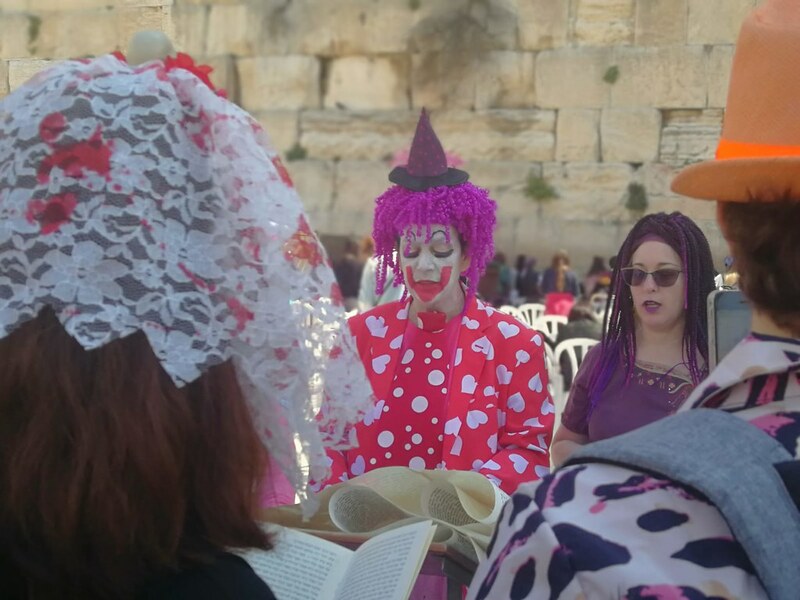 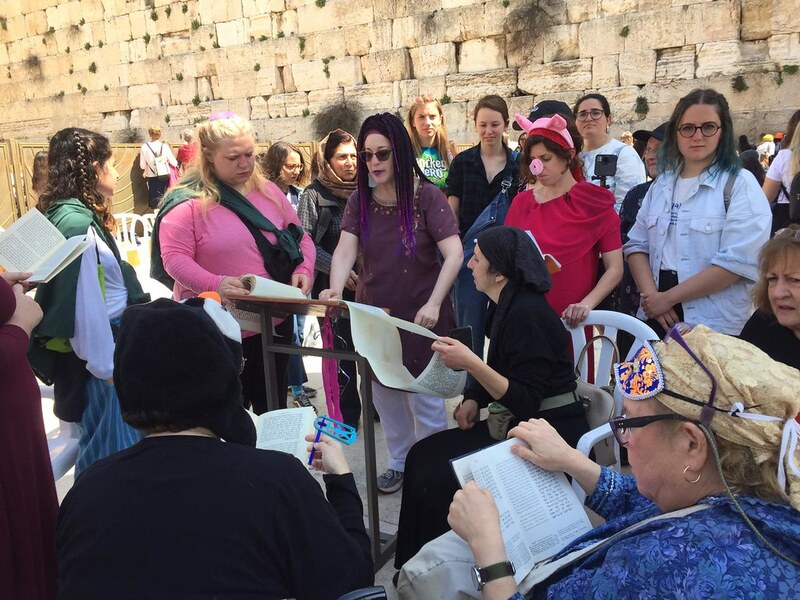 In celebration of the new month of Kislev, called the “month of miracles”, Women of the Wall met in the women’s section of the Western Wall for prayer with over 70 women and another 30 male supporters standing not far away, just beyond the partition. 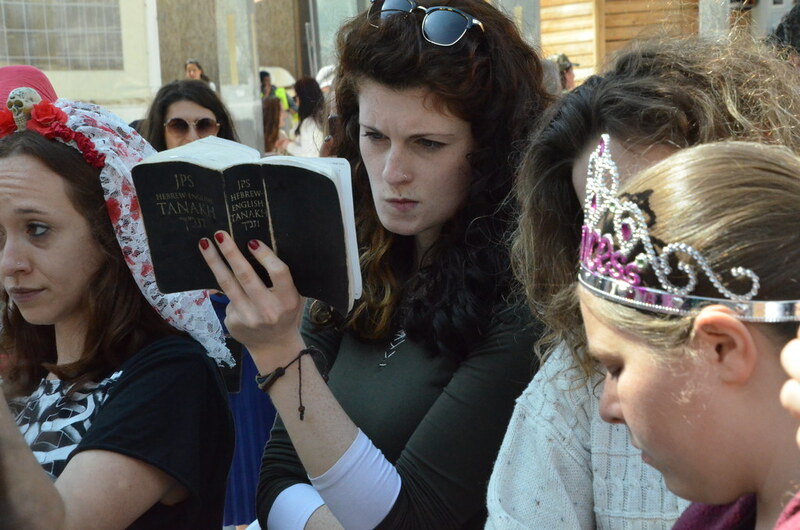 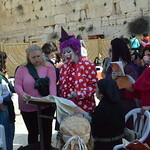 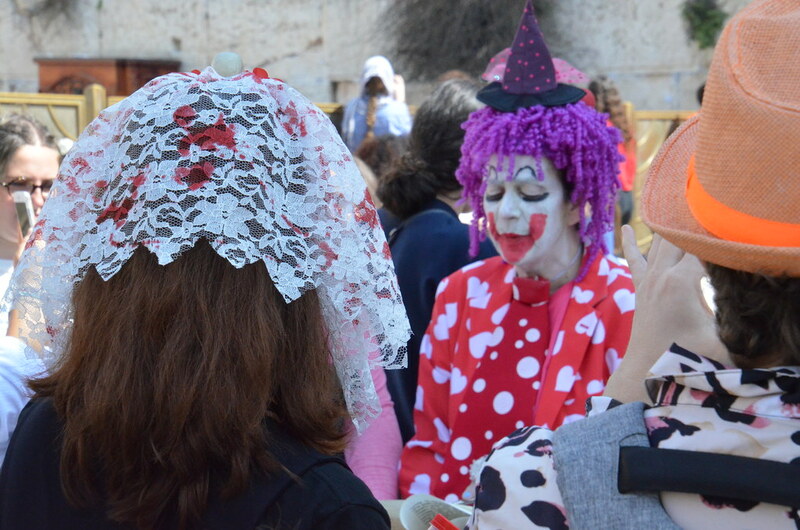 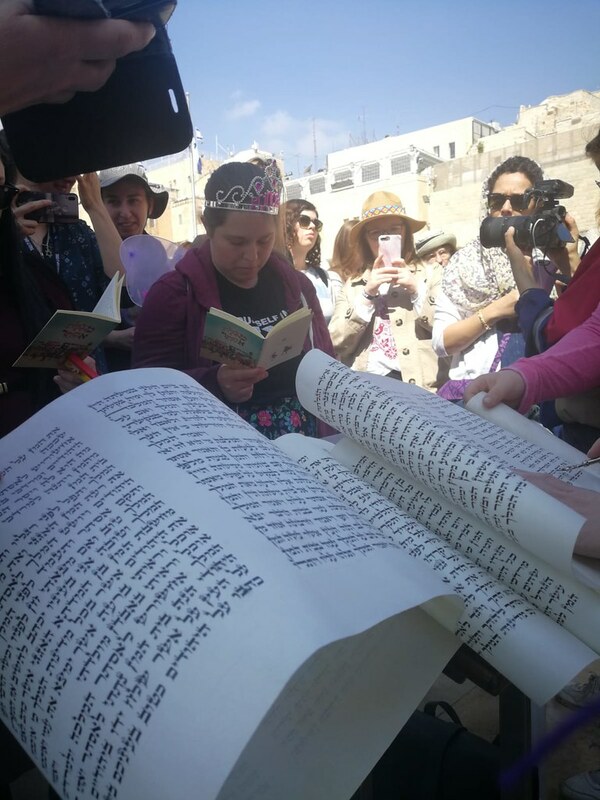 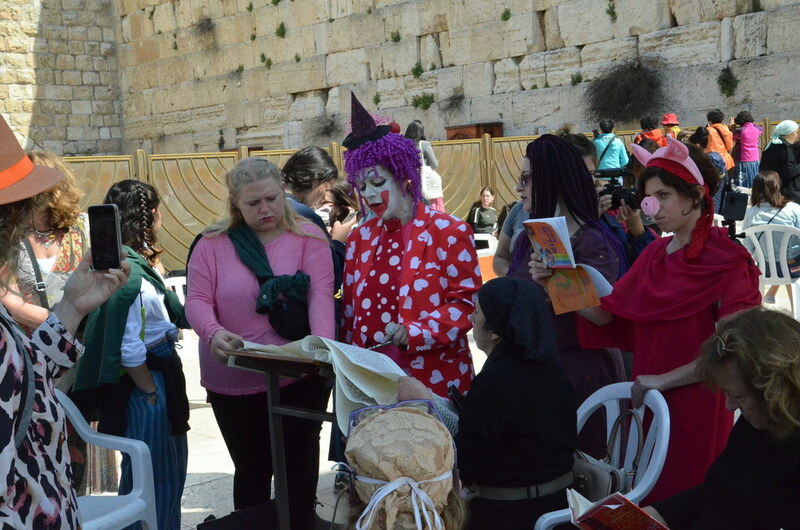 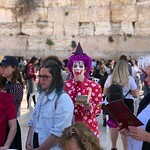 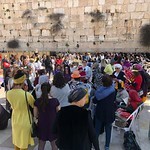 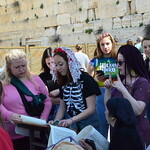 For the second month in a row, the women, while banned from openly entering the Western Wall with a Torah scroll and refused requests to use one of the hundreds of Torah scrolls at the Wall held for “public use” were forced to smuggle a tiny, historic Torah into the holy, public site. 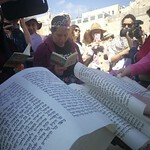 Despite last month’s claims by Rabbi Shmuel Rabinowitz, Administration of the Western Wall and Holy Places, that “in the future, efforts will be made to ensure that this event is not repeated” (according to Arutz Sheva), the tiny Torah was successfully brought into the Kotel under the radar of security and read joyfully in celebration of the new month as well as a bat mitzvah. 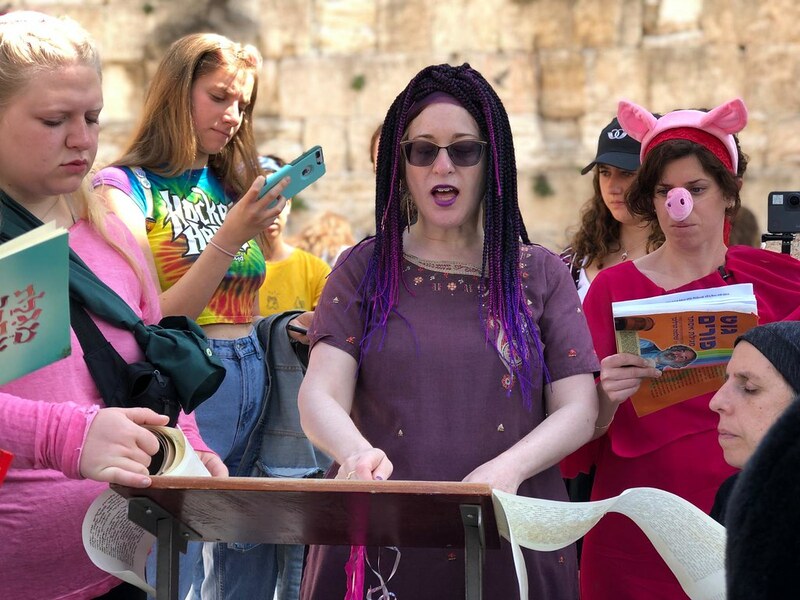 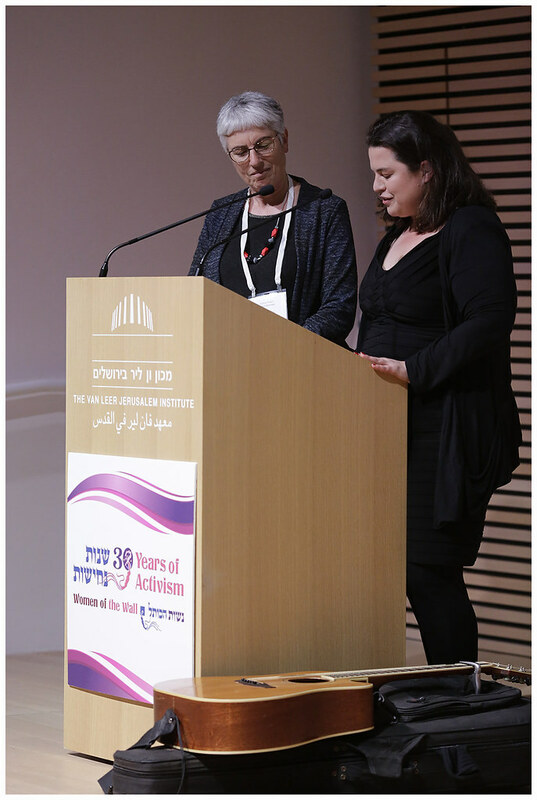 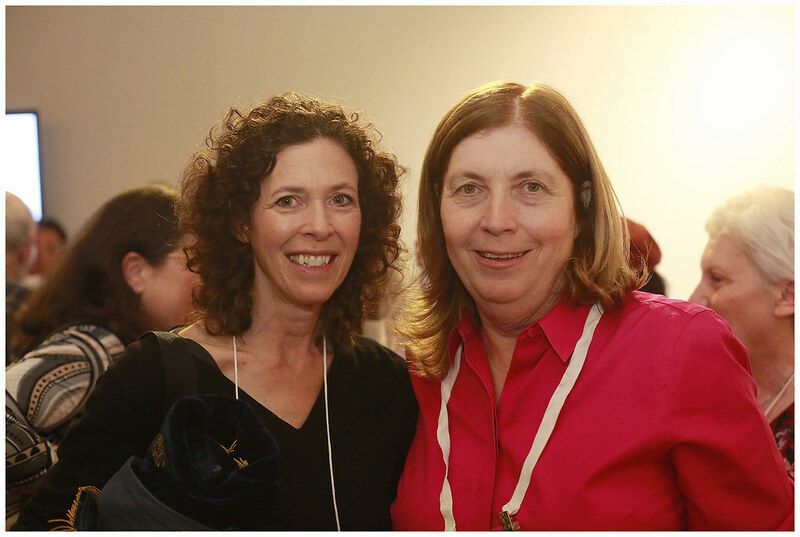 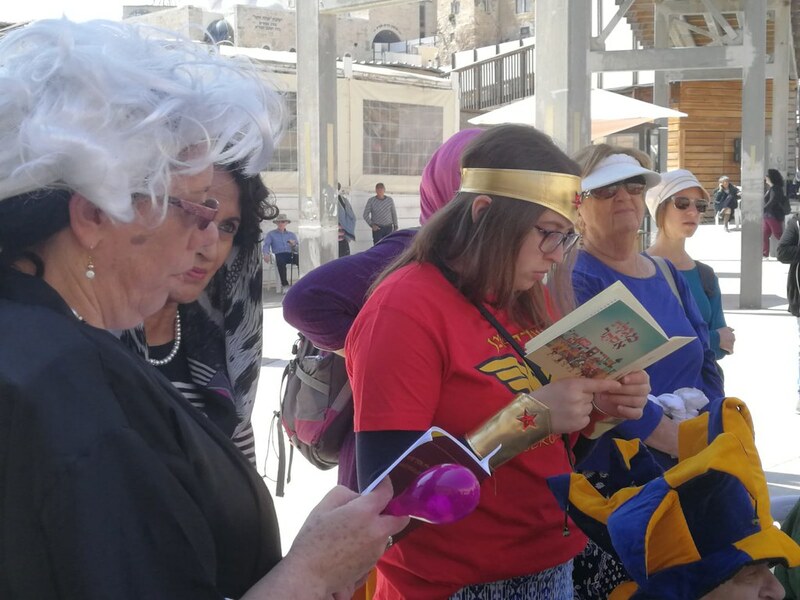 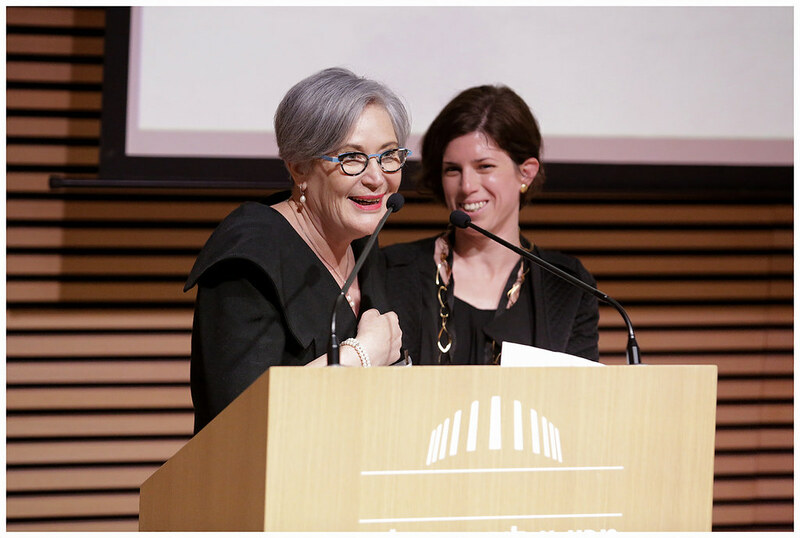 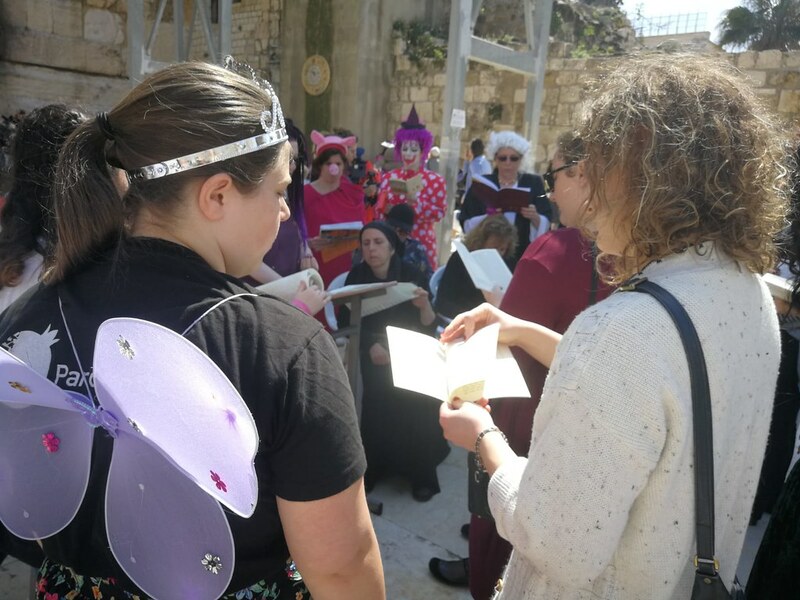 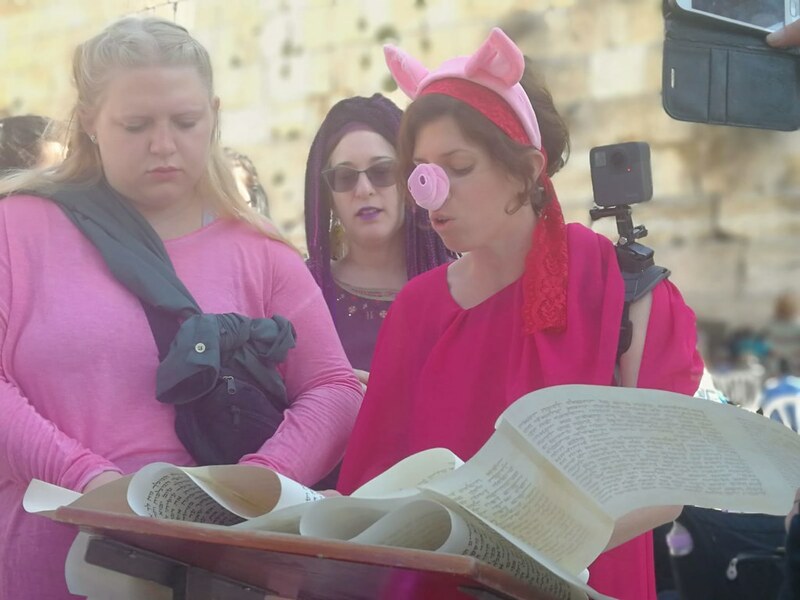 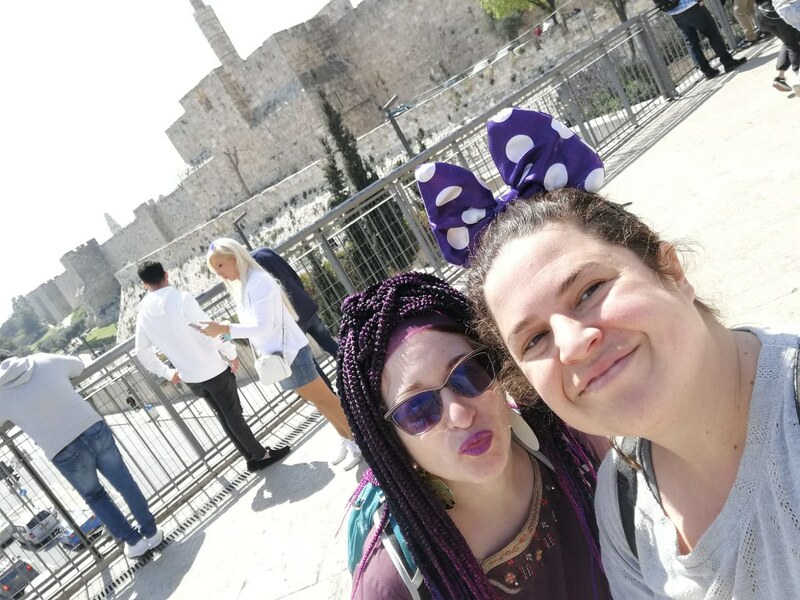 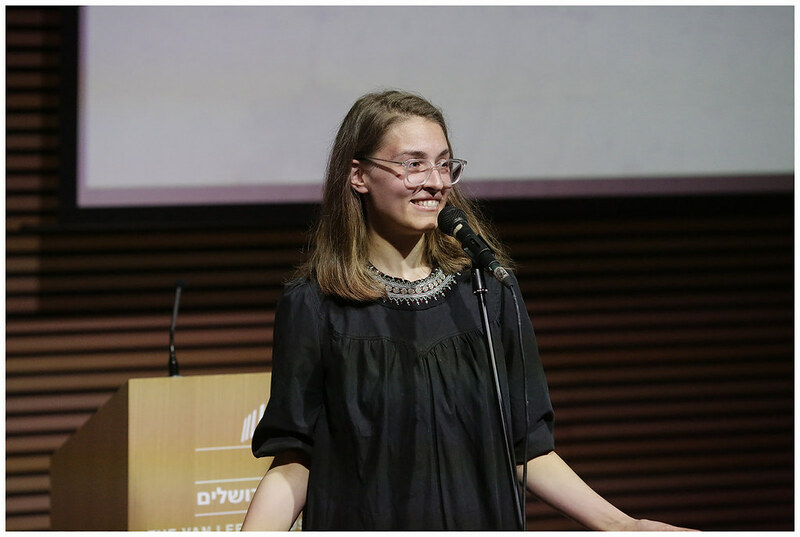 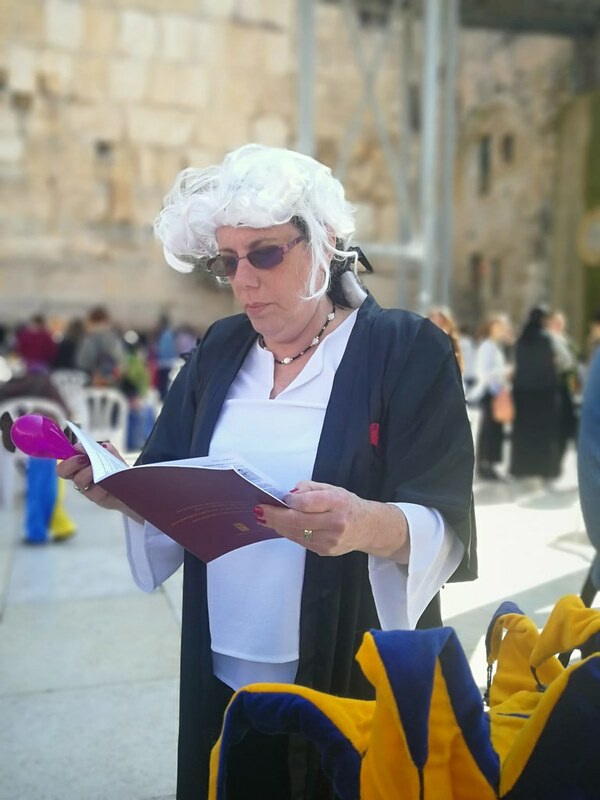 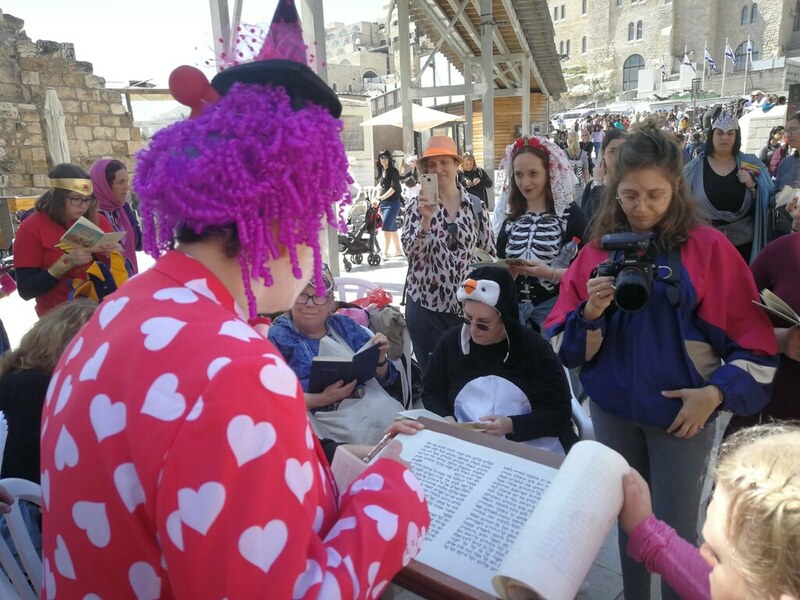 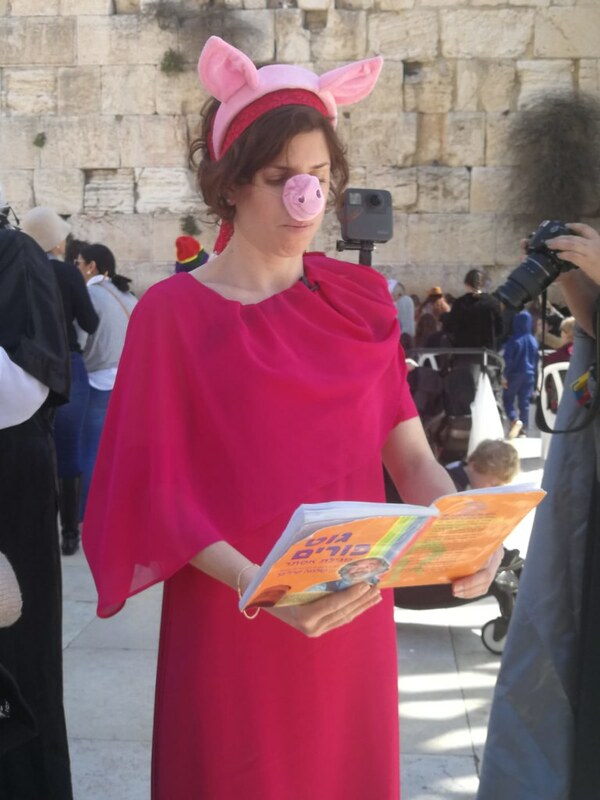 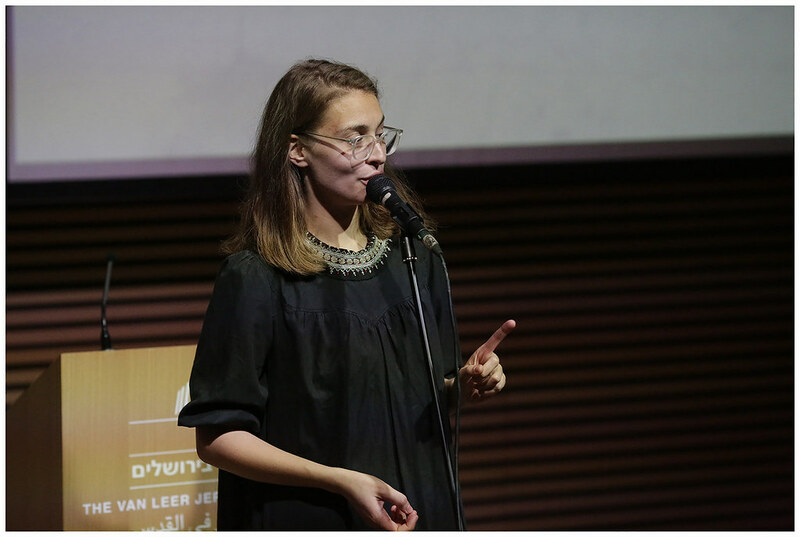 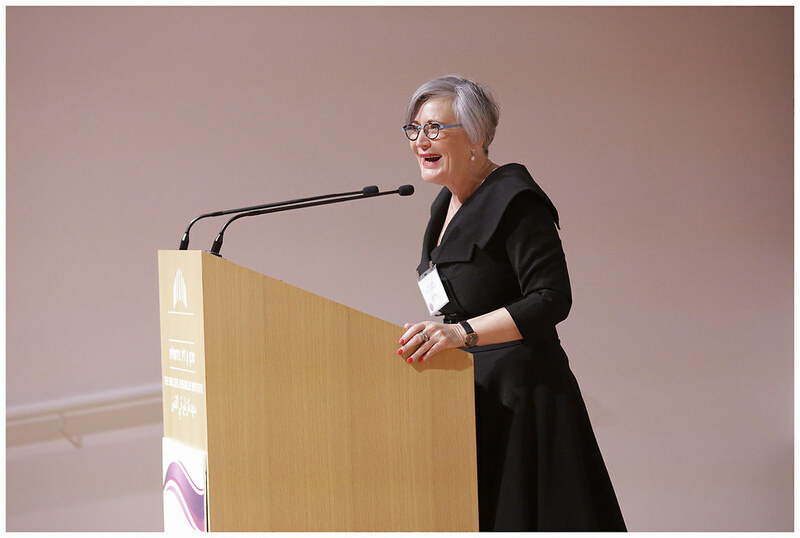 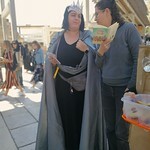 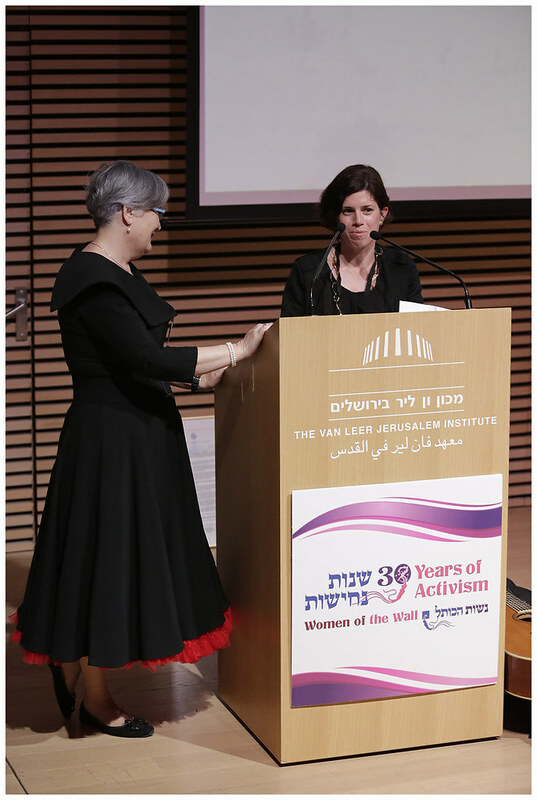 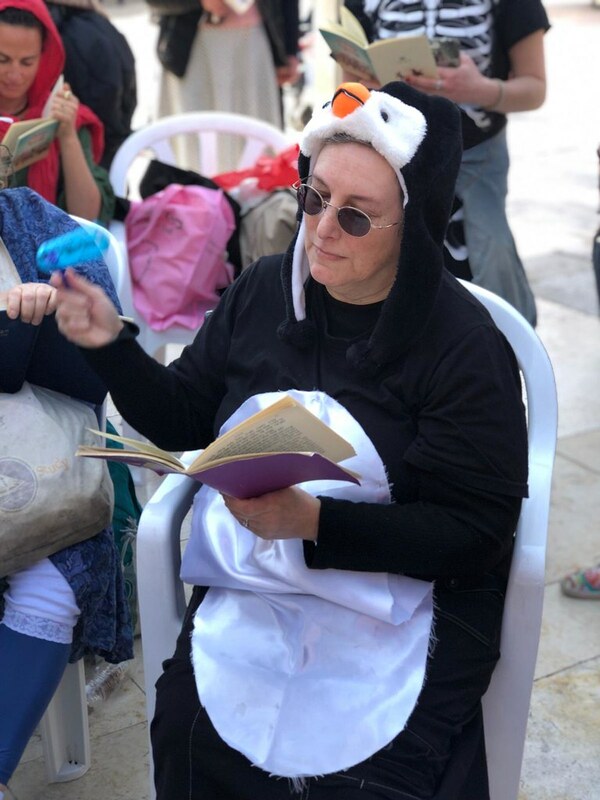 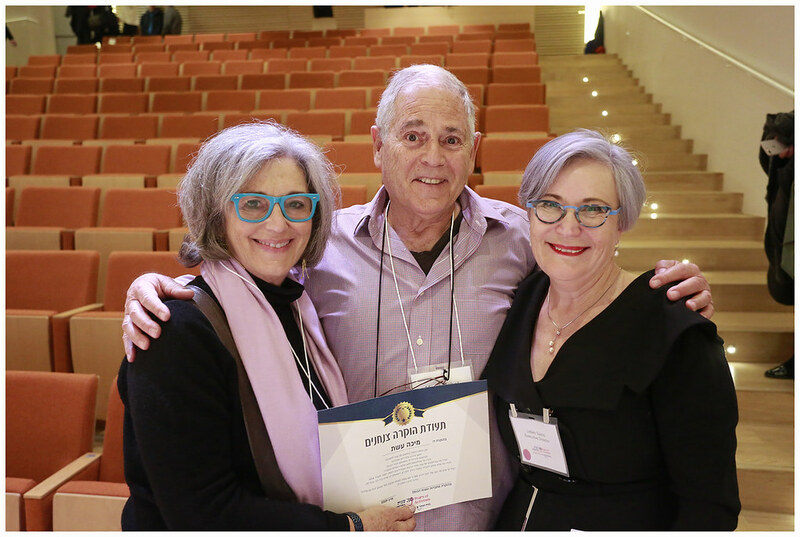 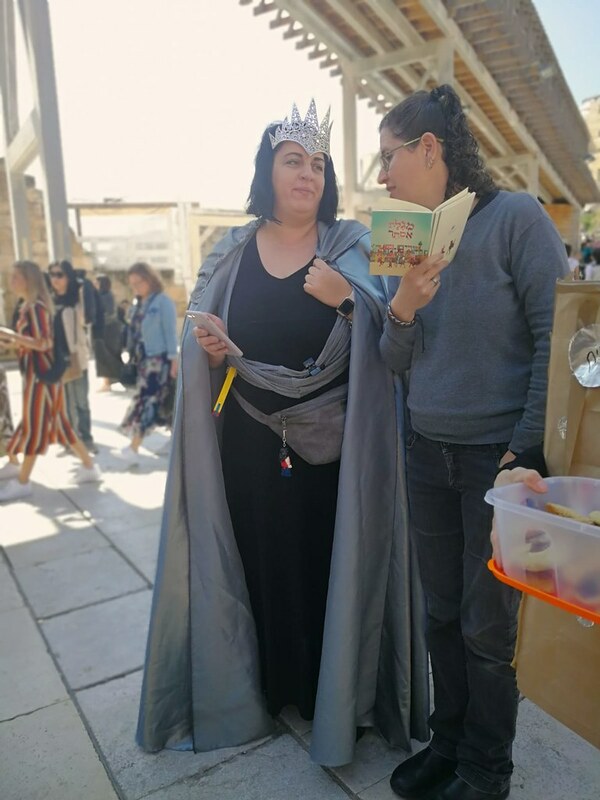 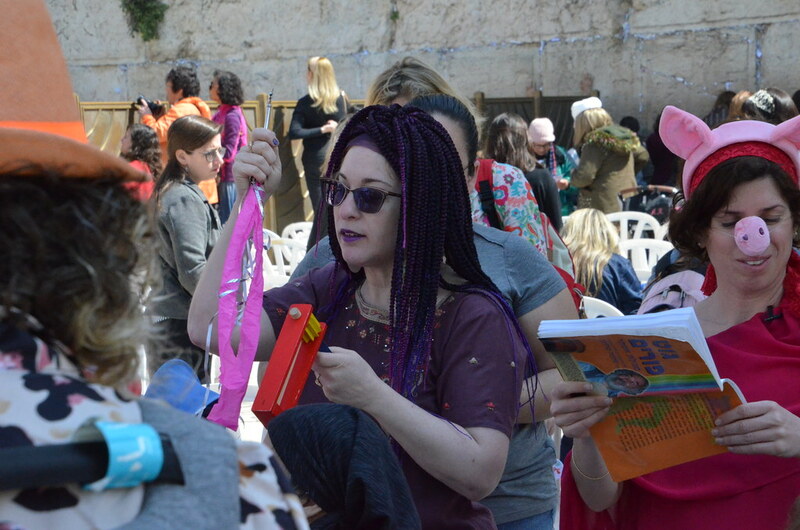 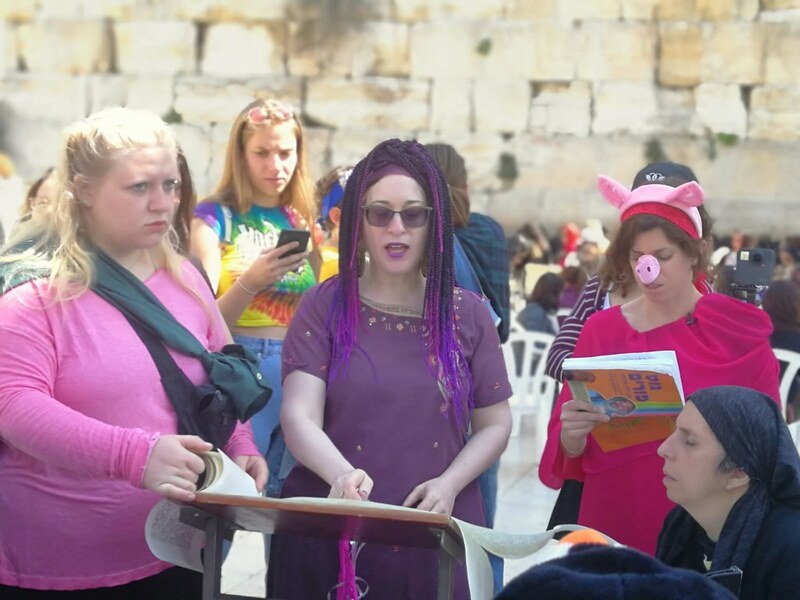 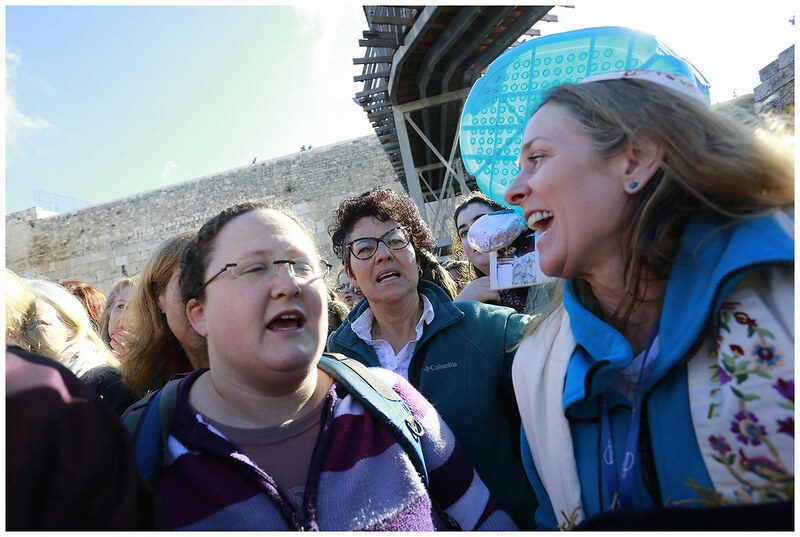 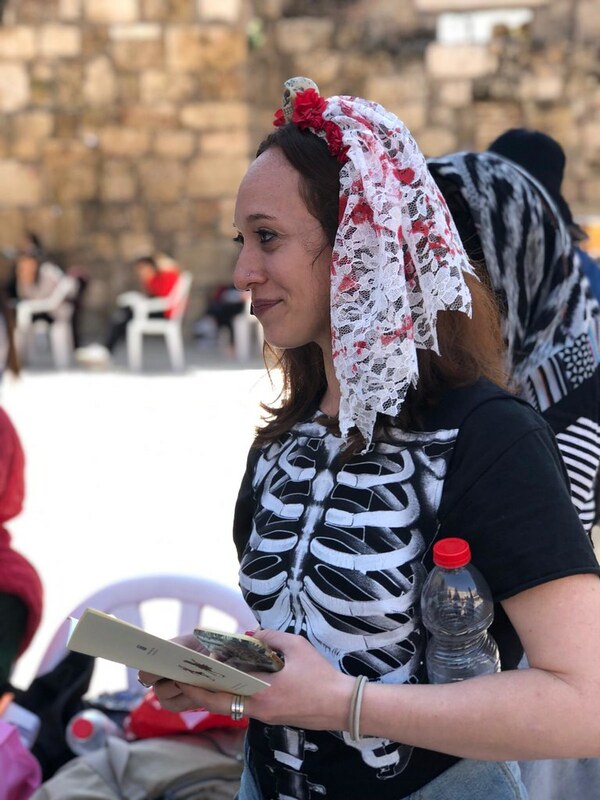 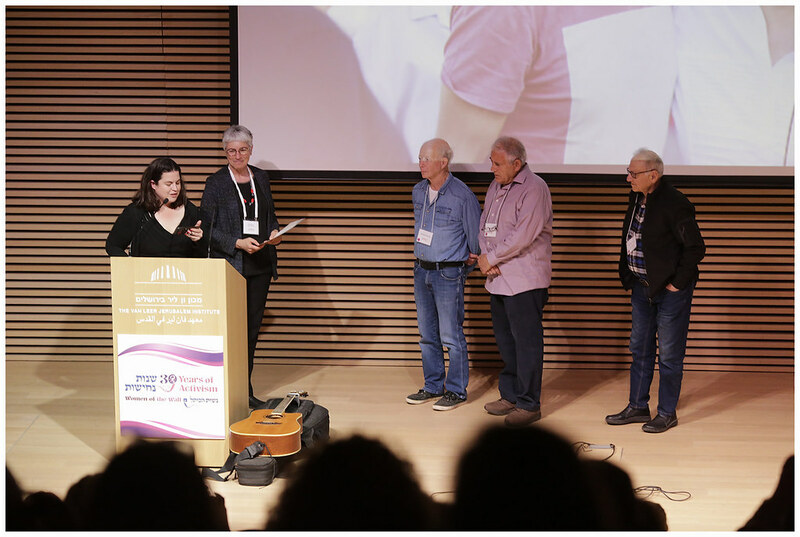 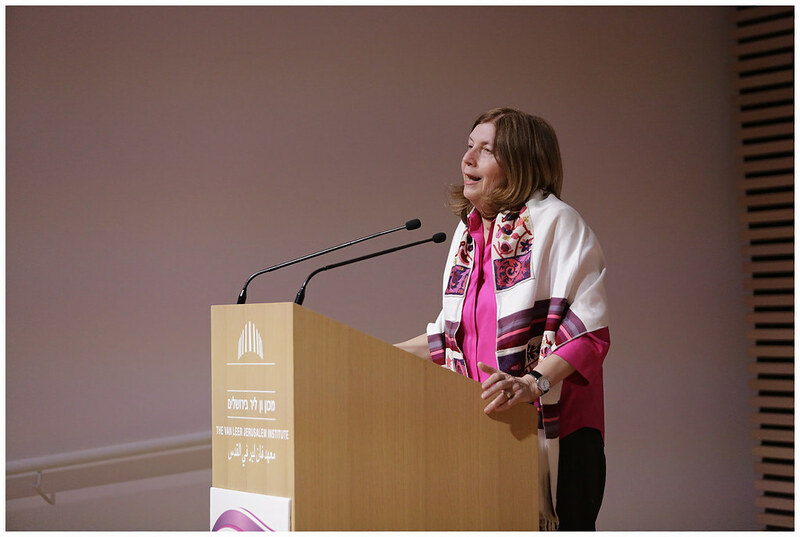 The second girl to celebrate a bat mitzvah at the Kotel with a Torah is Ruth Antman, a Jerusalem native, and daughter of Avigail Antman, an Orthodox feminist and a poet who herself grew up in the Jewish Quarter of the Old City of Jerusalem. 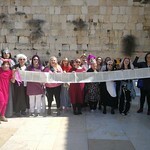 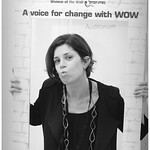 Antman is a member of the Women of the Wall executive board. 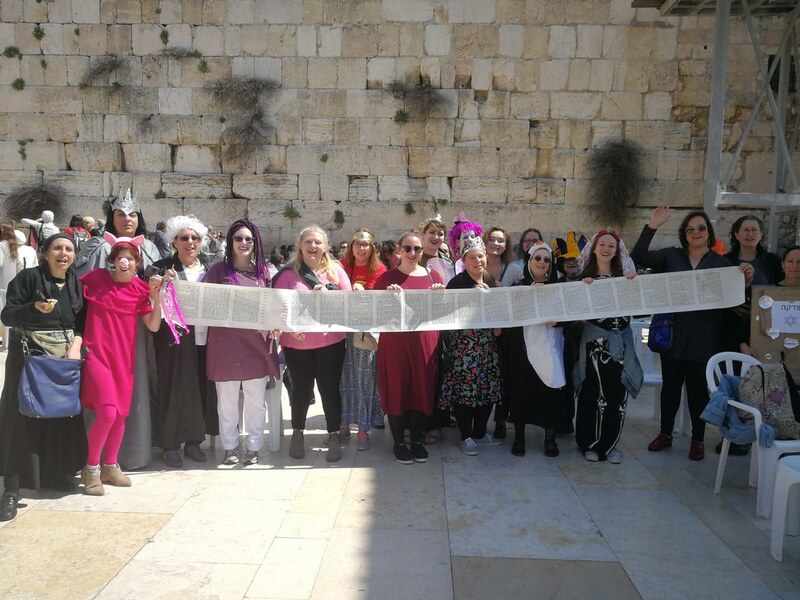 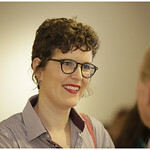 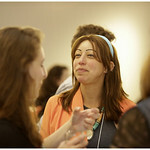 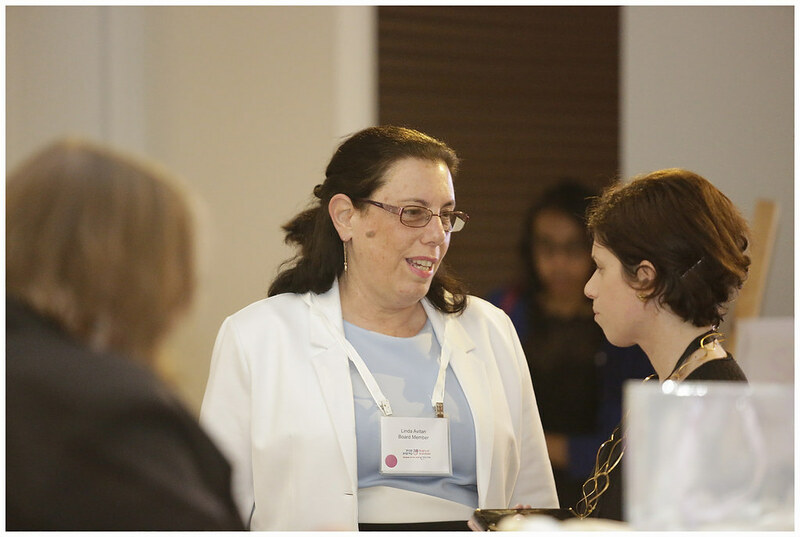 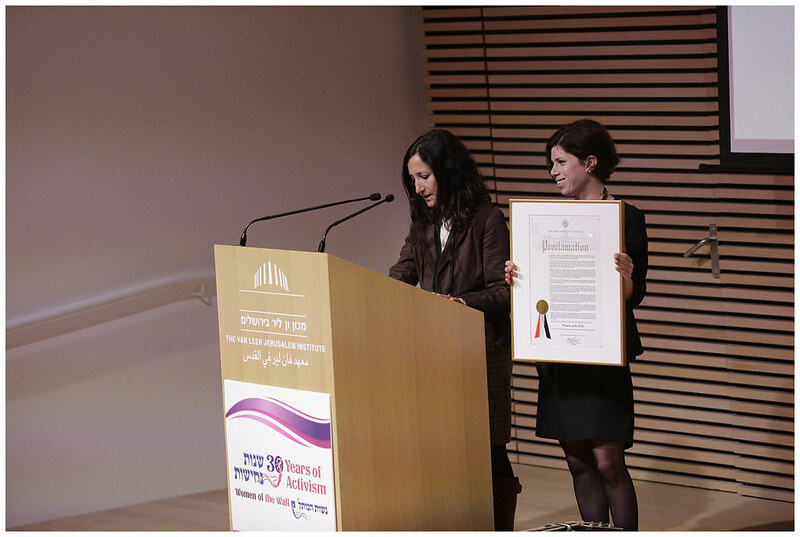 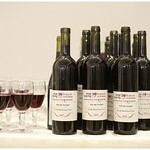 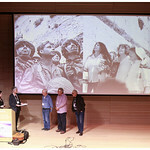 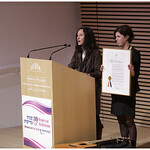 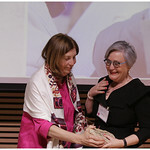 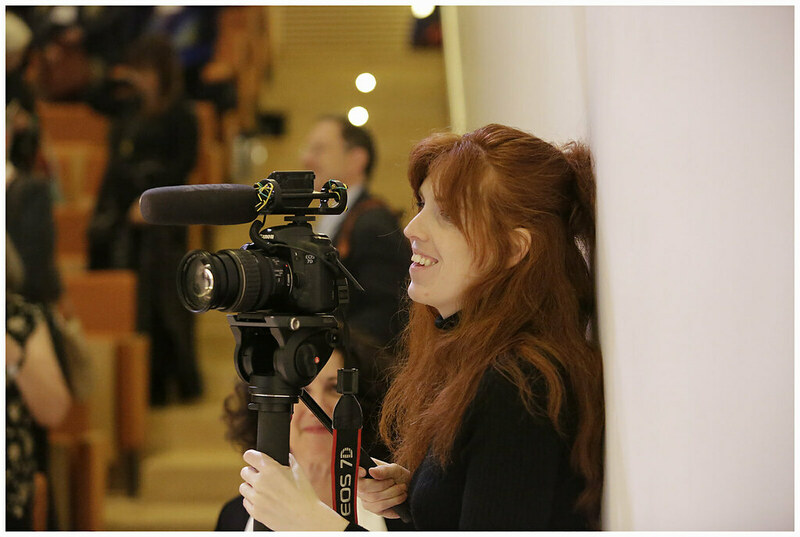 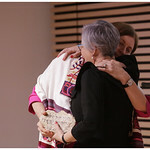 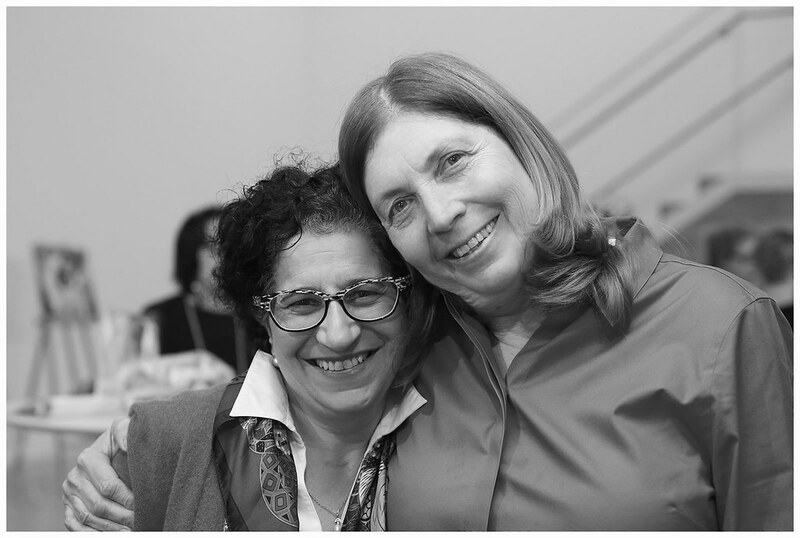 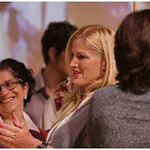 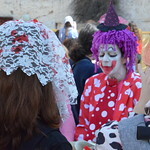 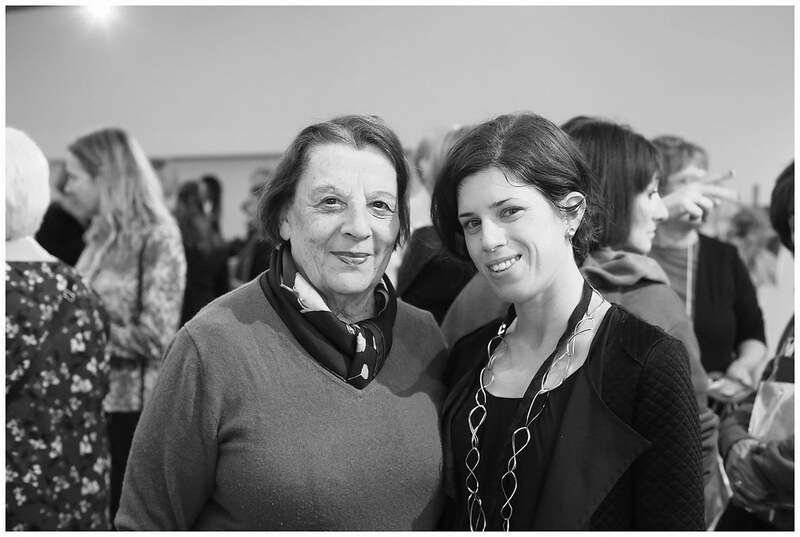 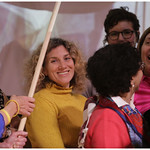 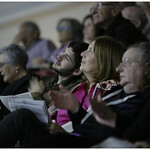 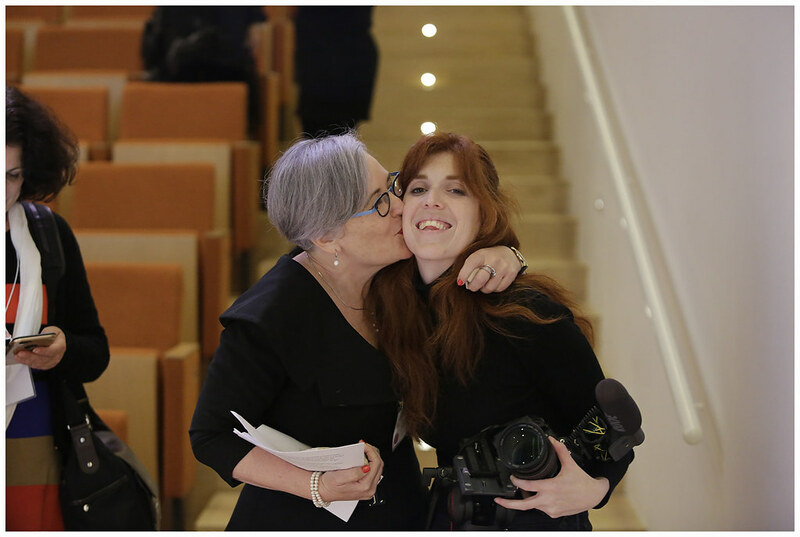 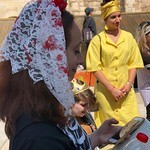 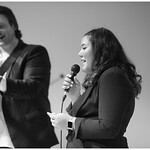 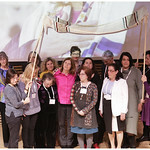 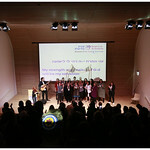 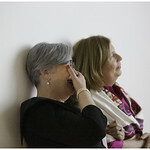 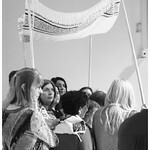 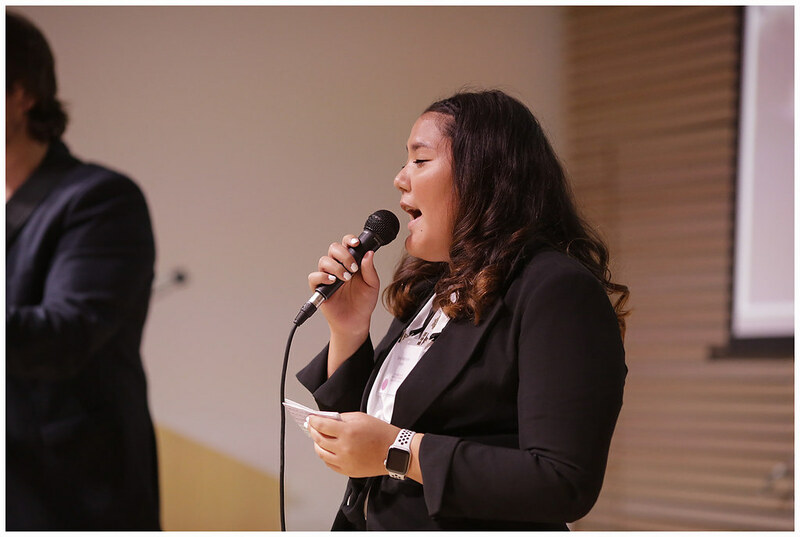 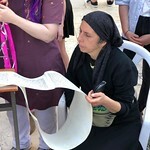 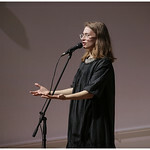 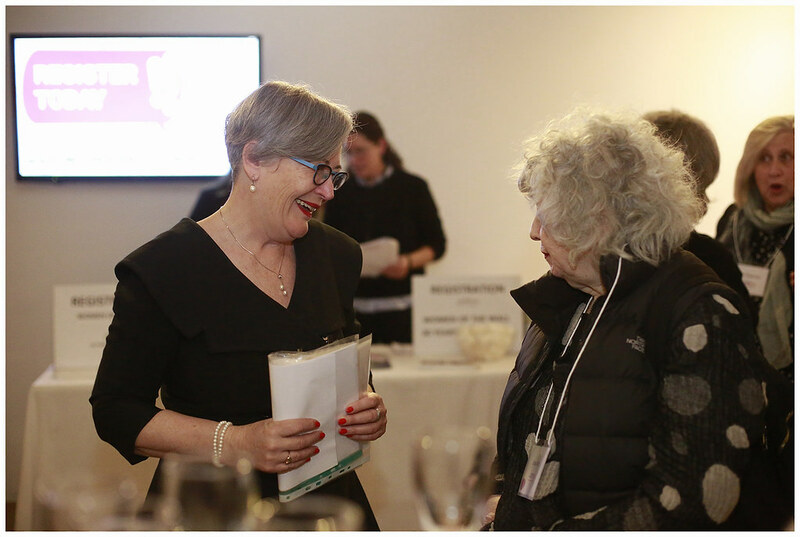 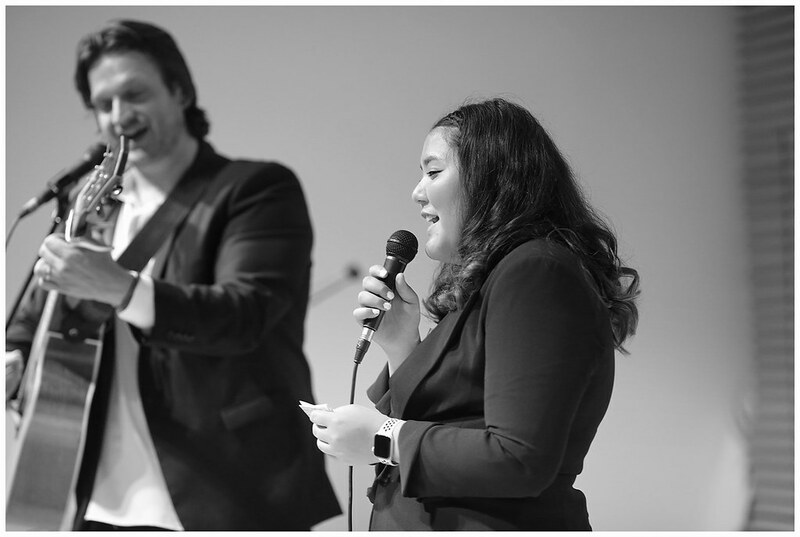 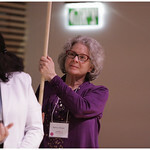 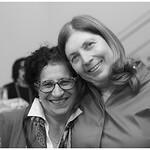 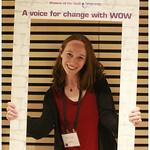 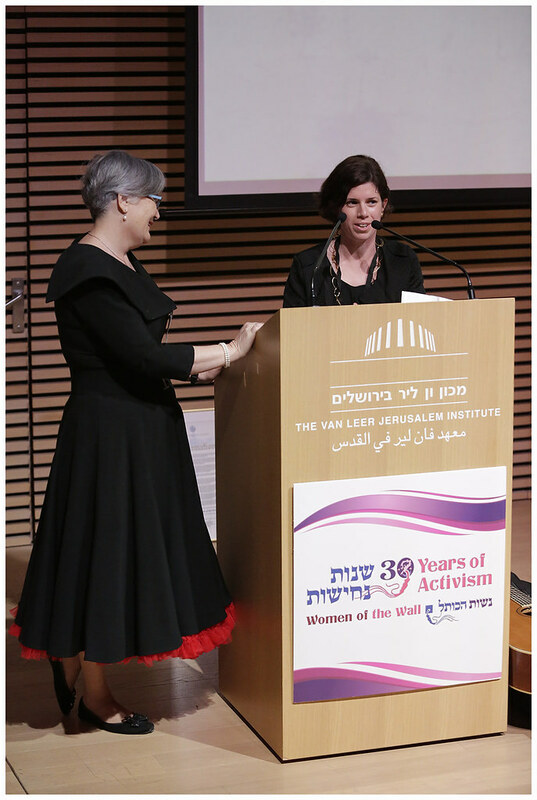 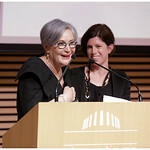 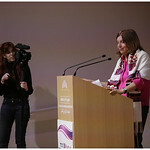 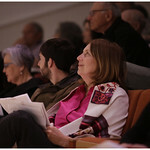 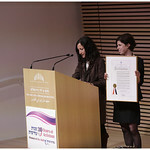 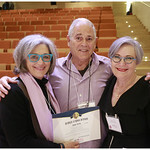 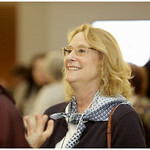 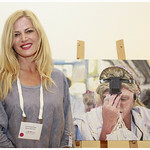 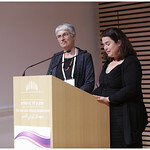 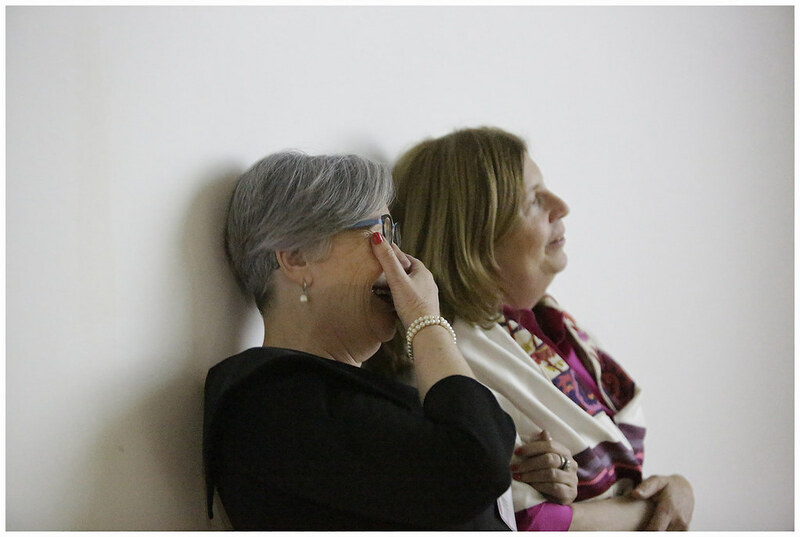 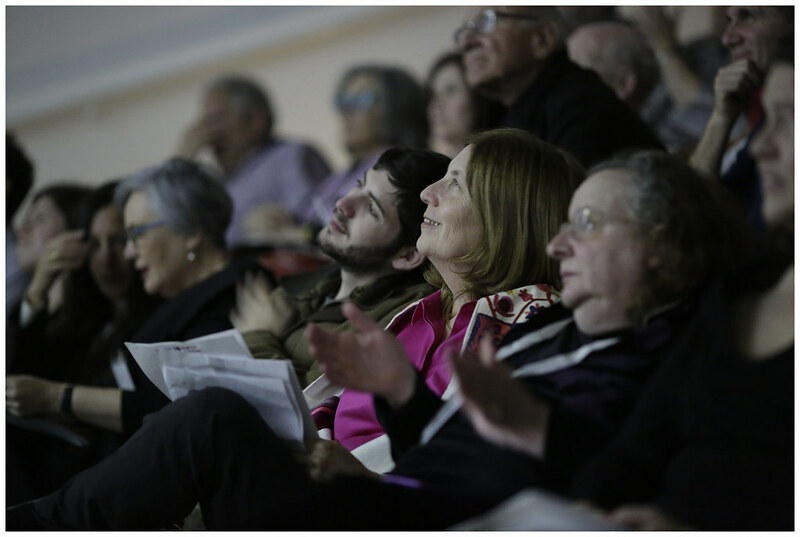 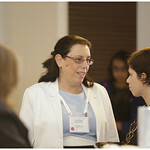 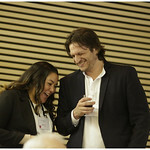 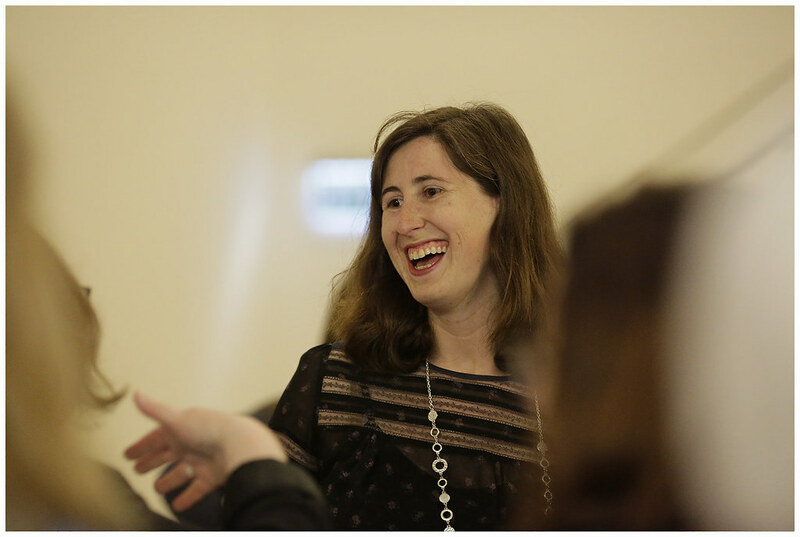 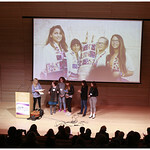 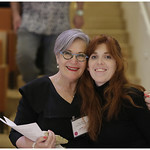 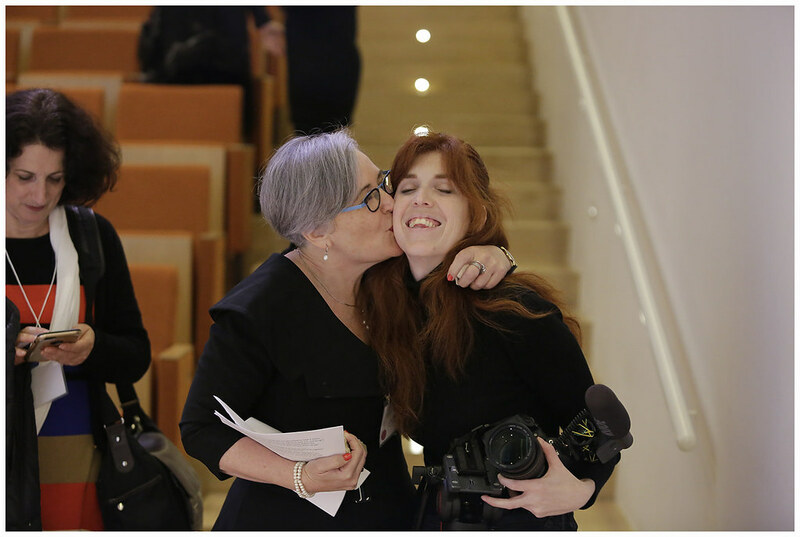 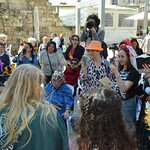 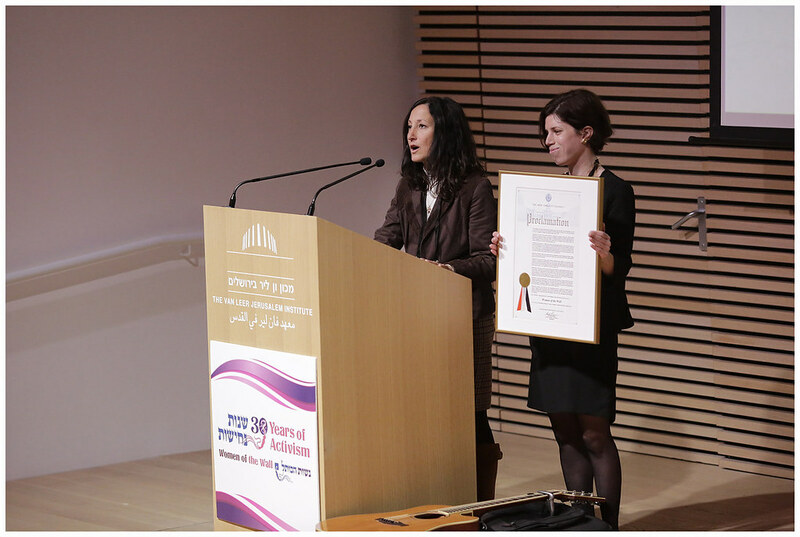 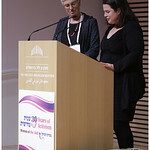 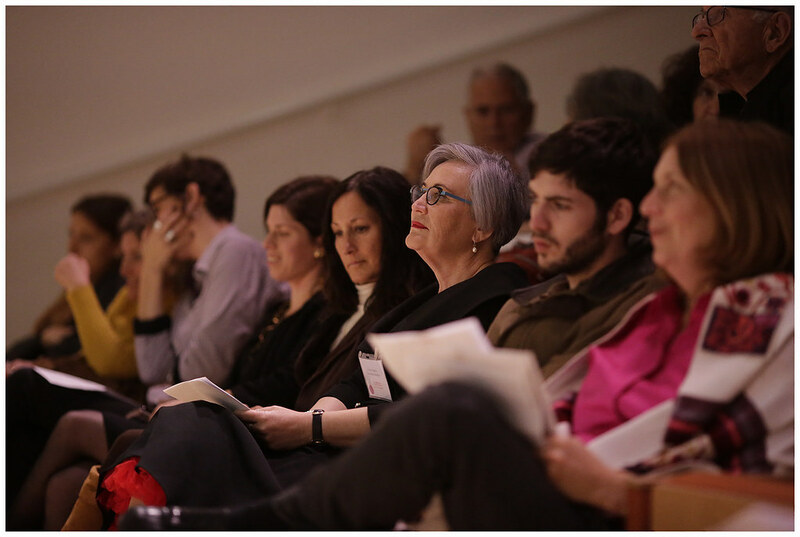 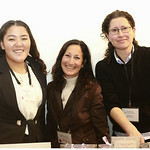 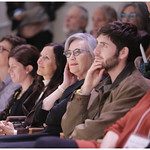 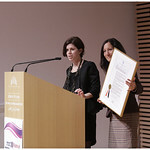 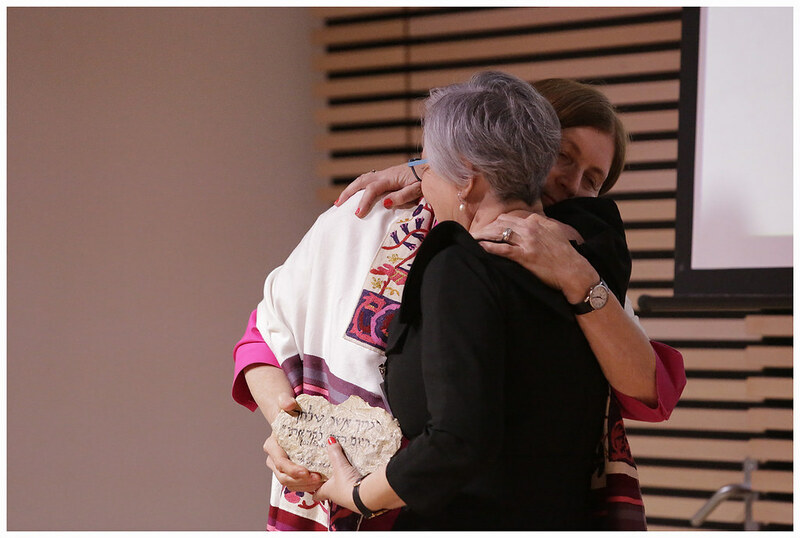 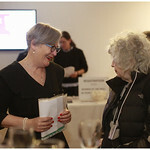 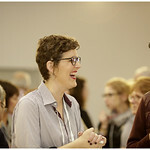 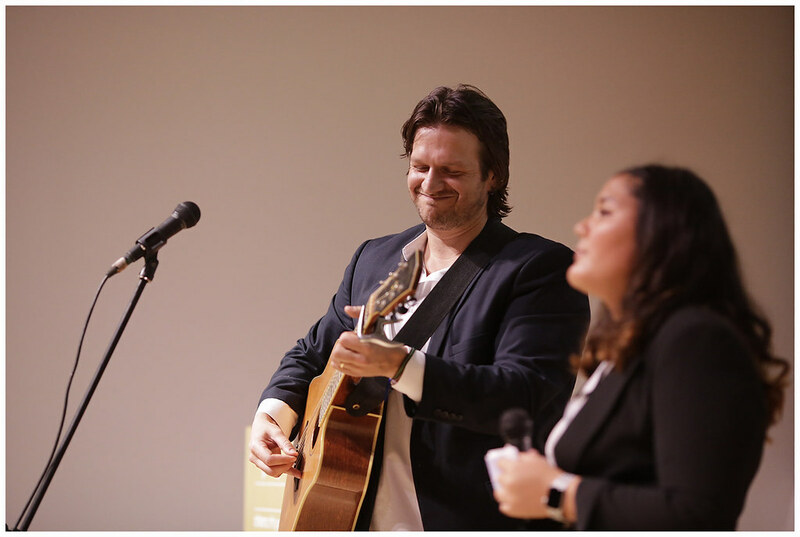 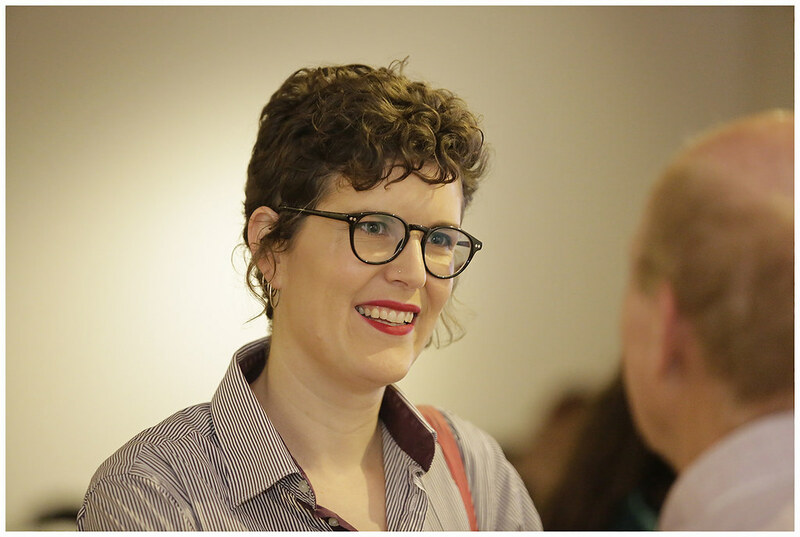 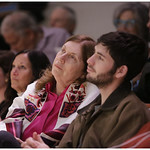 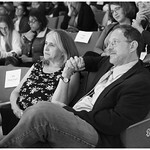 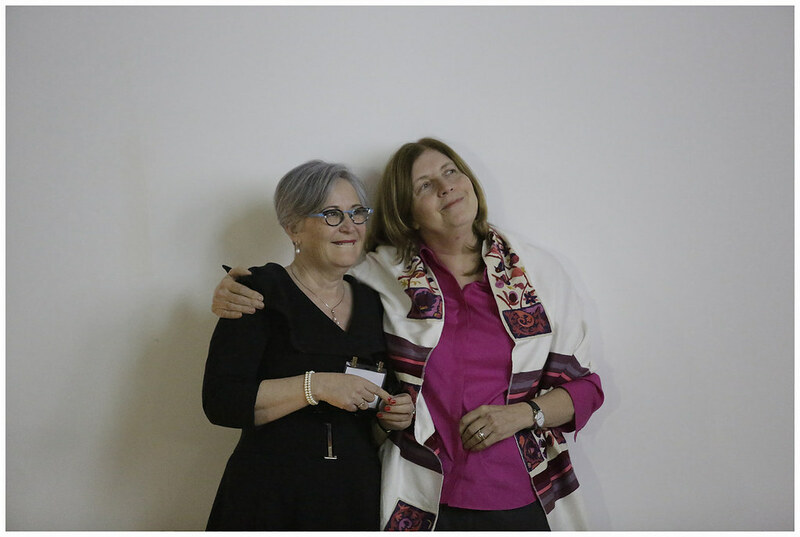 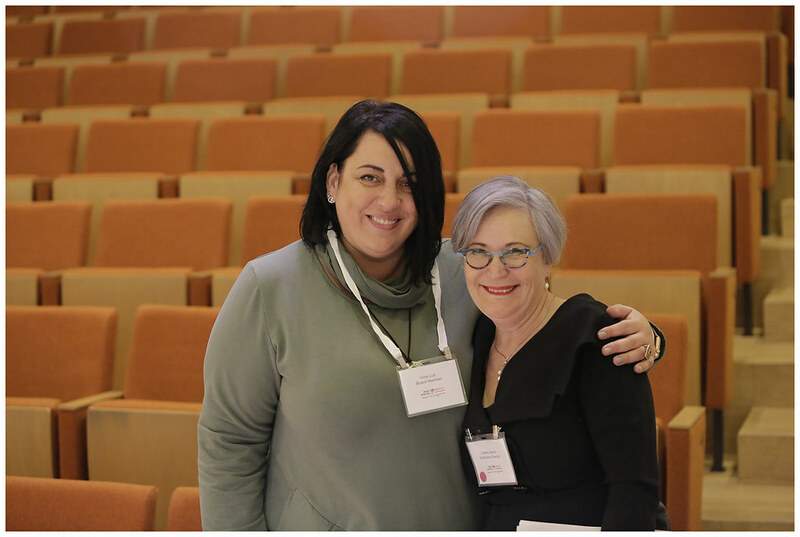 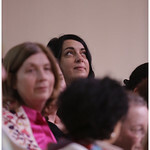 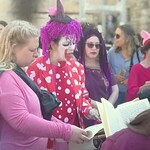 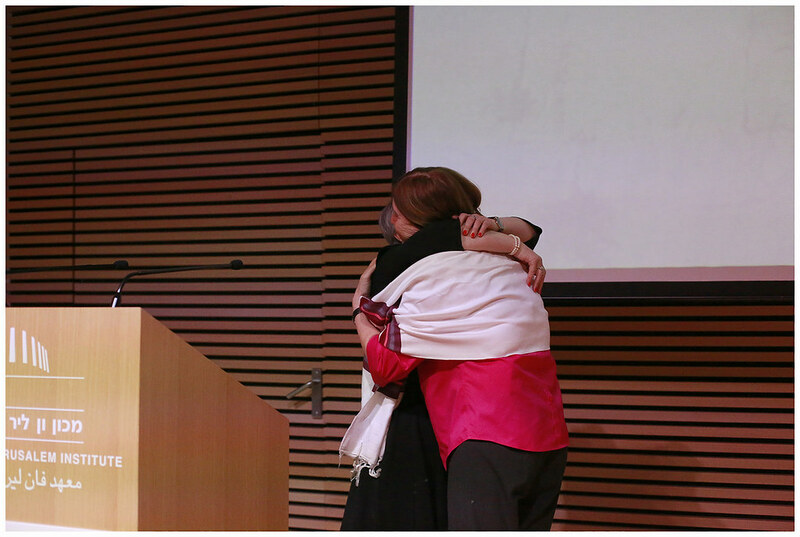 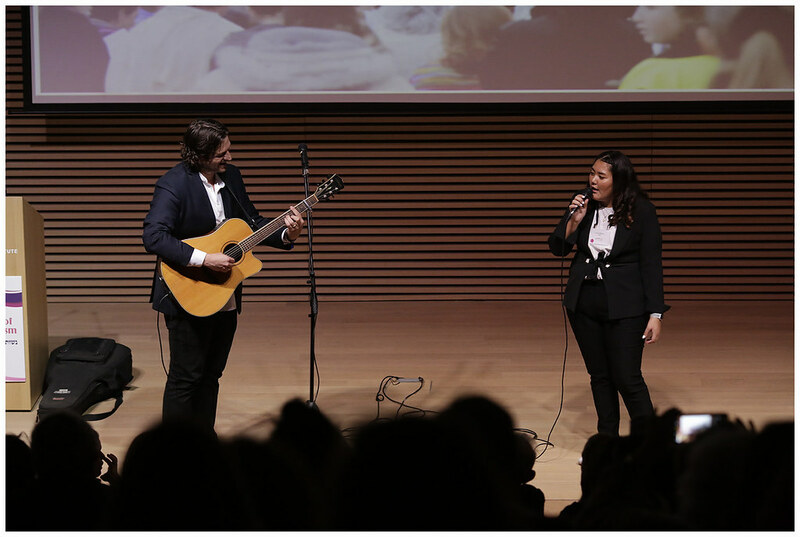 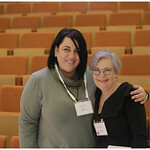 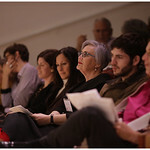 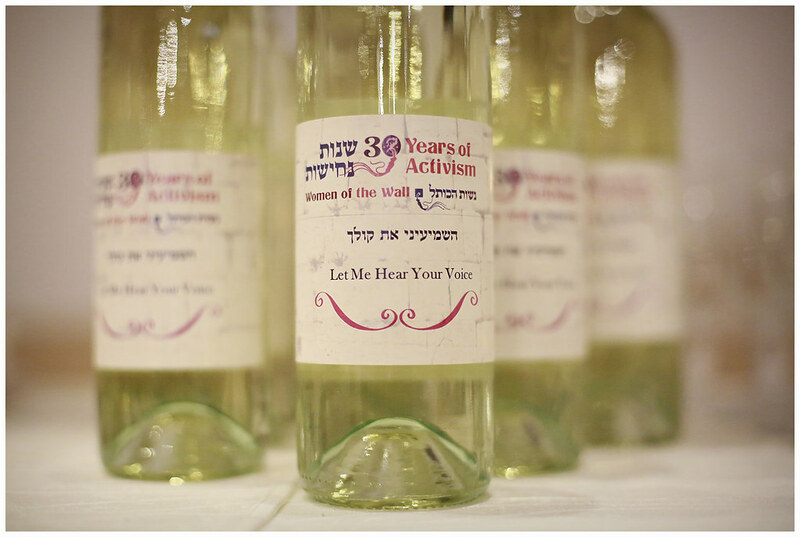 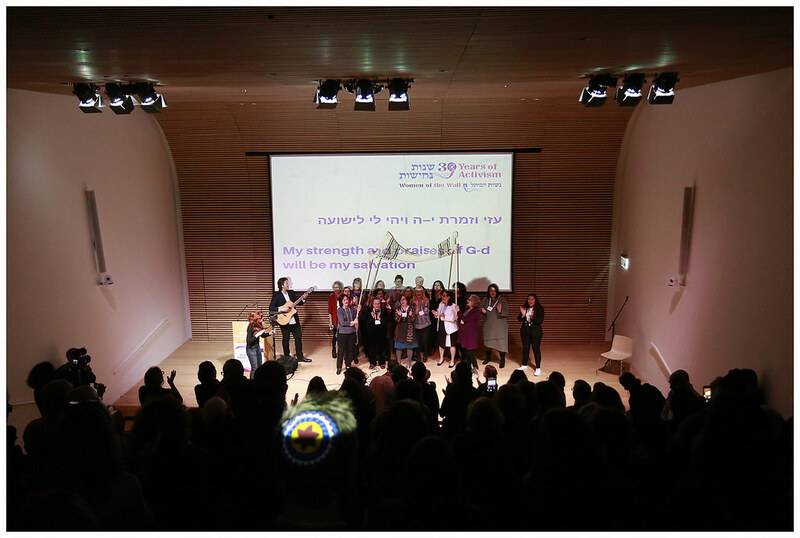 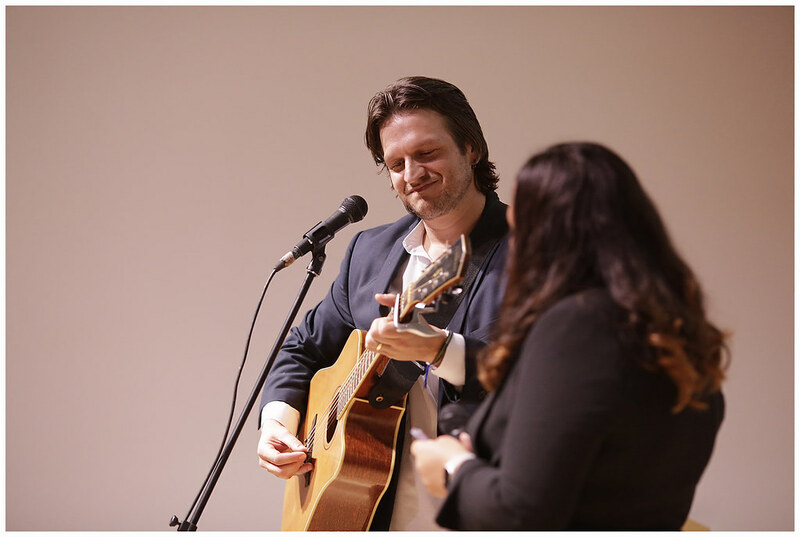 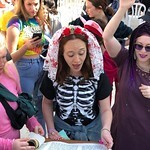 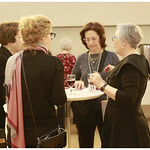 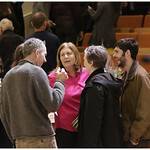 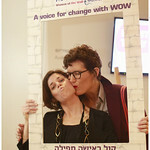 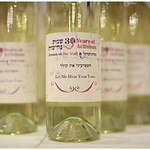 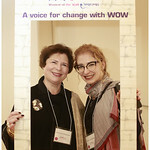 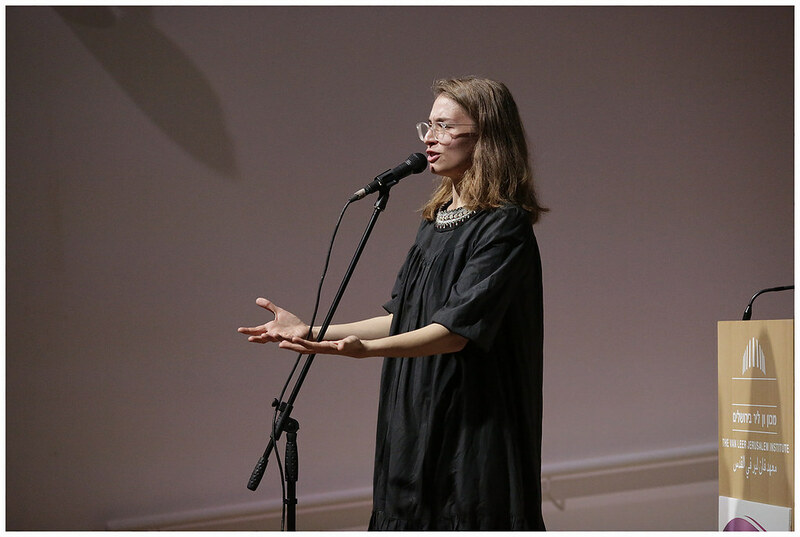 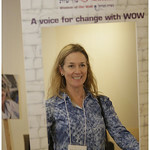 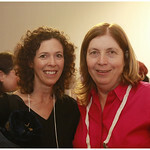 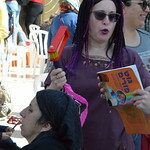 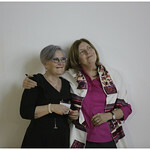 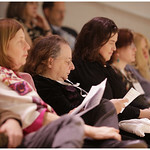 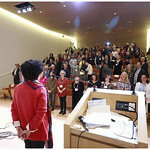 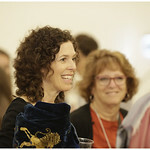 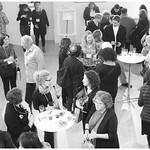 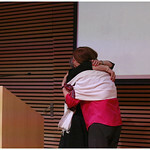 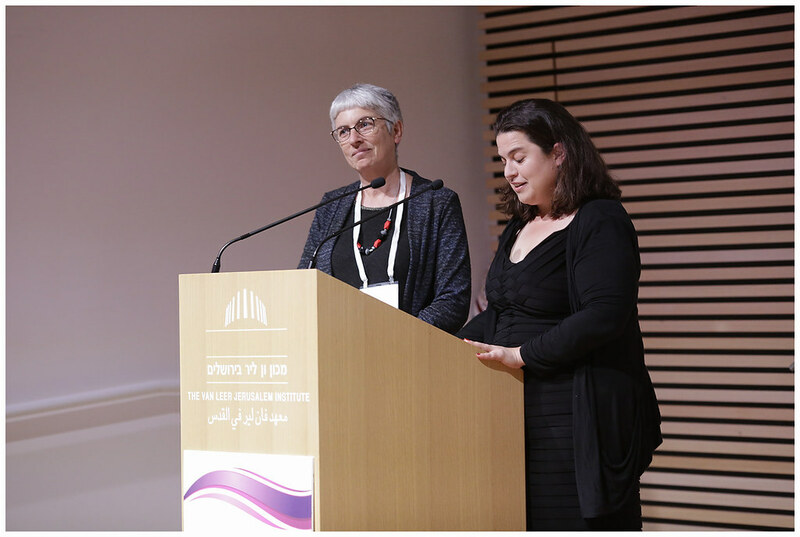 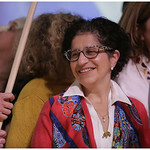 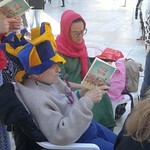 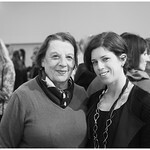 The small and unique Torah scroll read by the women this month was the same as was used this month, on lend to Women of the Wall by John and Noeleen Cohen from London. 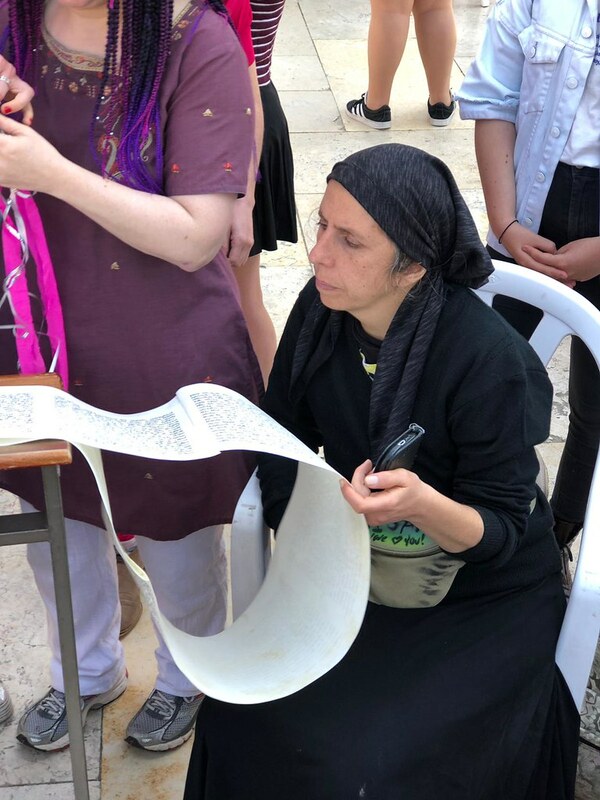 This 28 centimeter, 200 year old Torah belongs to John and Noeleen Cohen of London and is certified Kosher (by an Orthodox Sofer Stam). 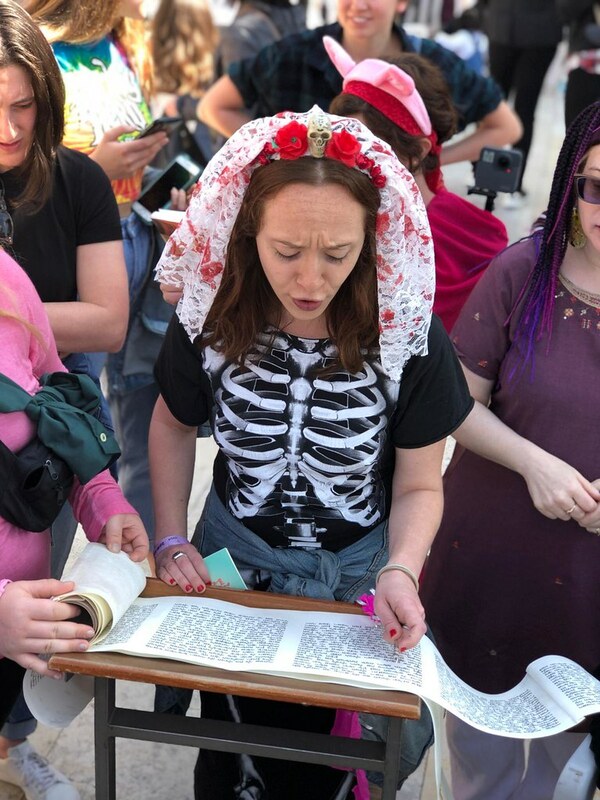 Mr. Cohen’s great-grandfather carried this Torah with him from Lithuania to South Africa in 1880, and he loaned the family heirloom to Women of the Wall. 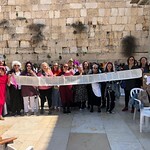 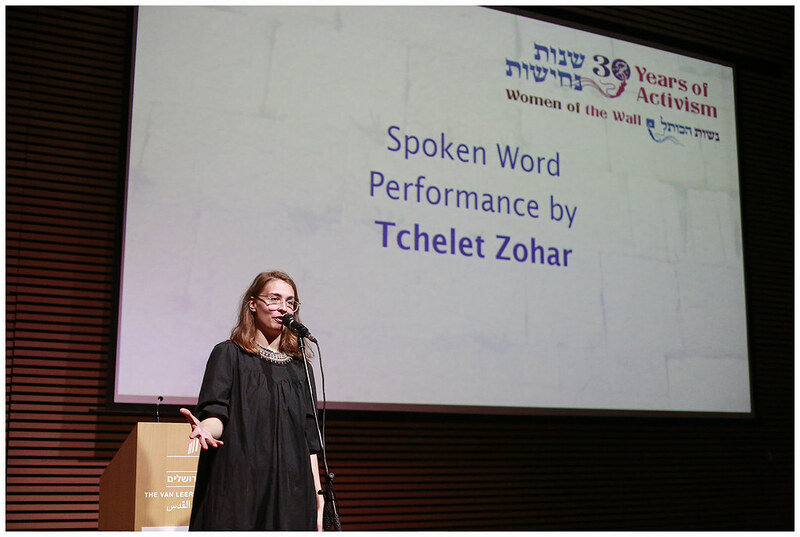 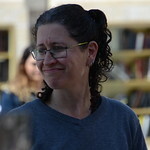 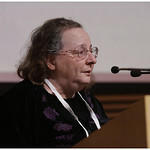 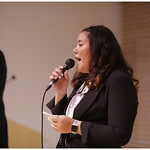 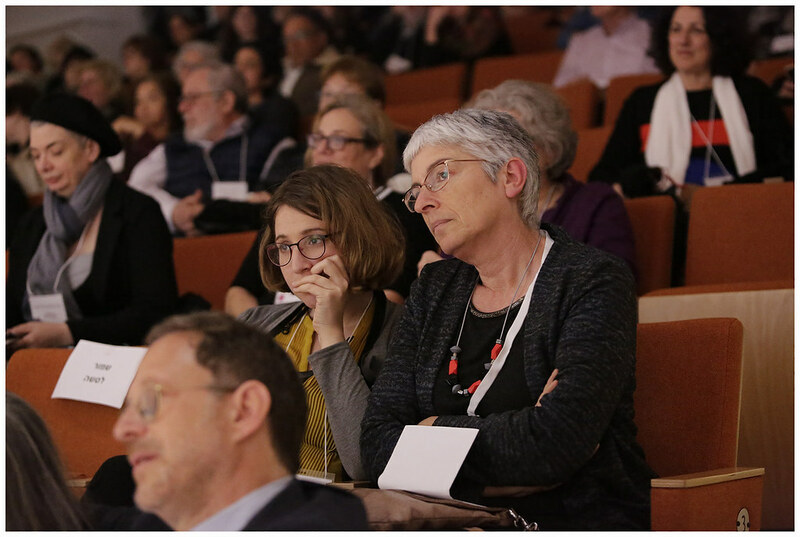 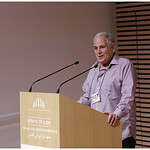 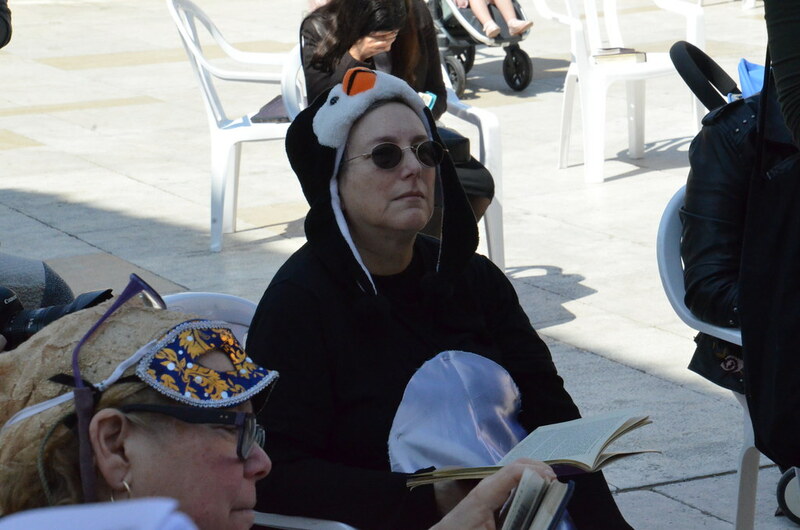 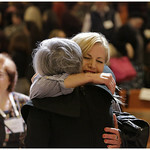 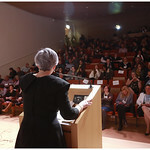 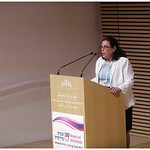 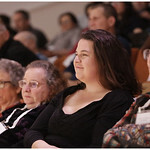 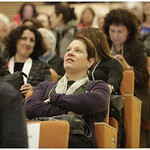 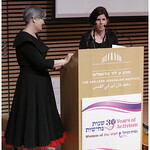 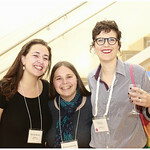 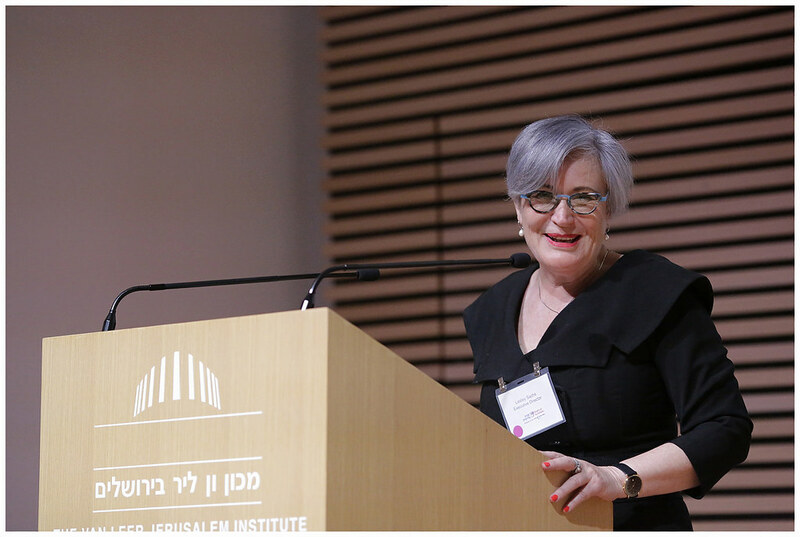 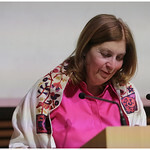 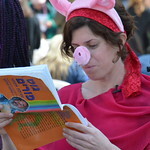 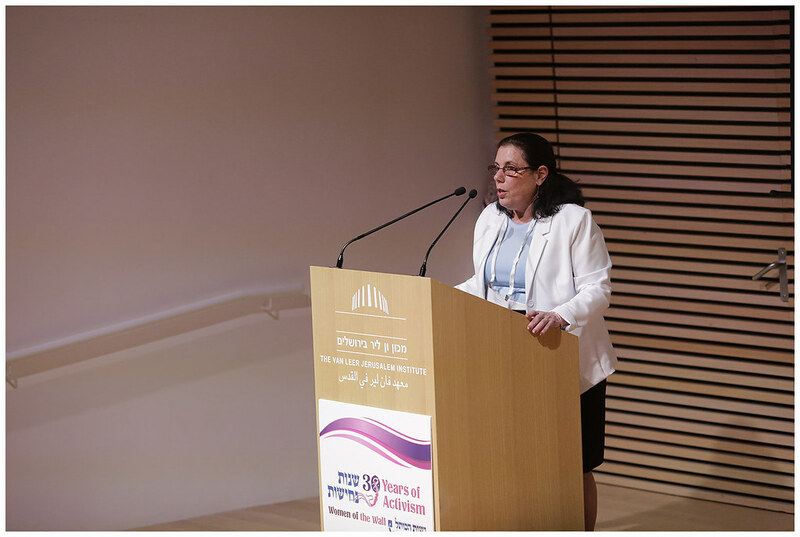 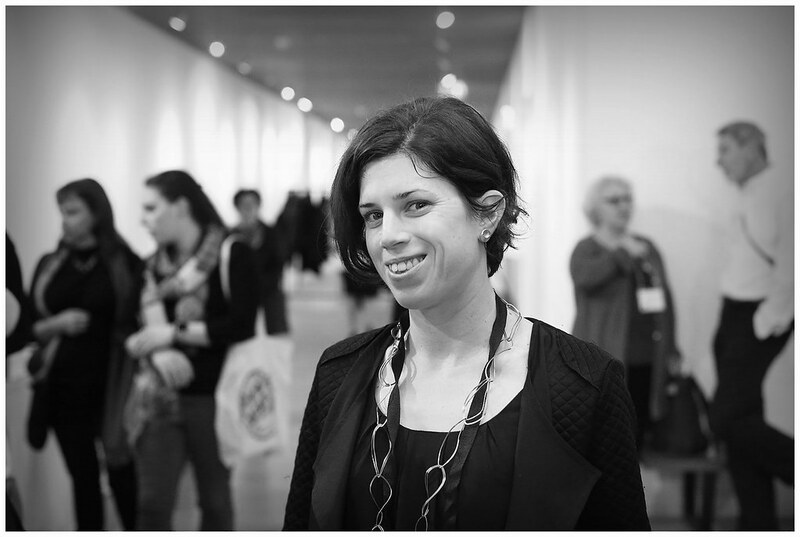 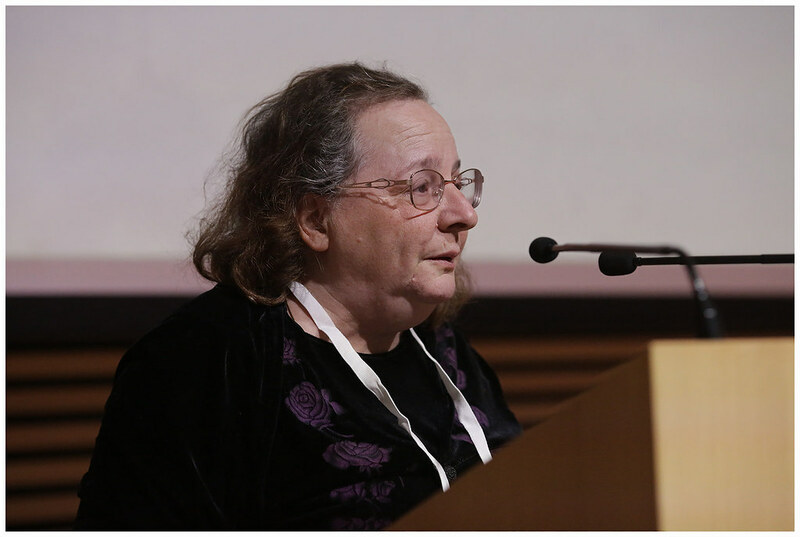 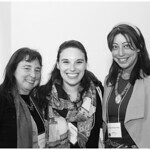 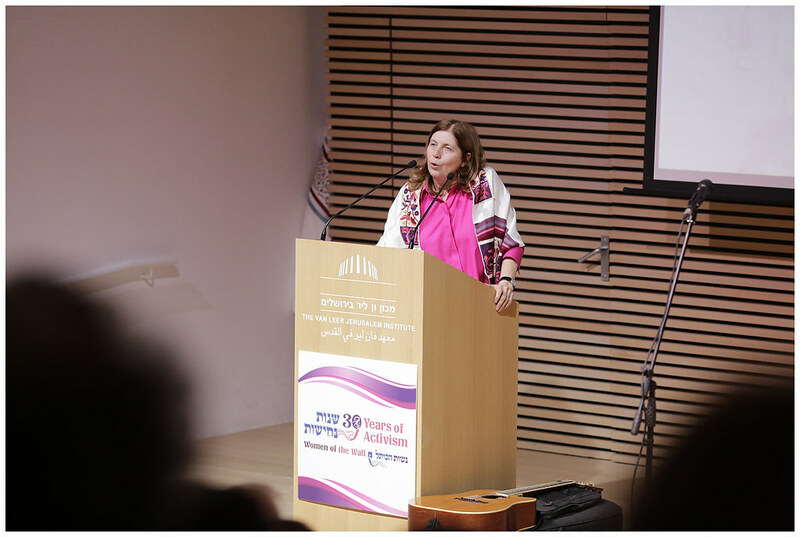 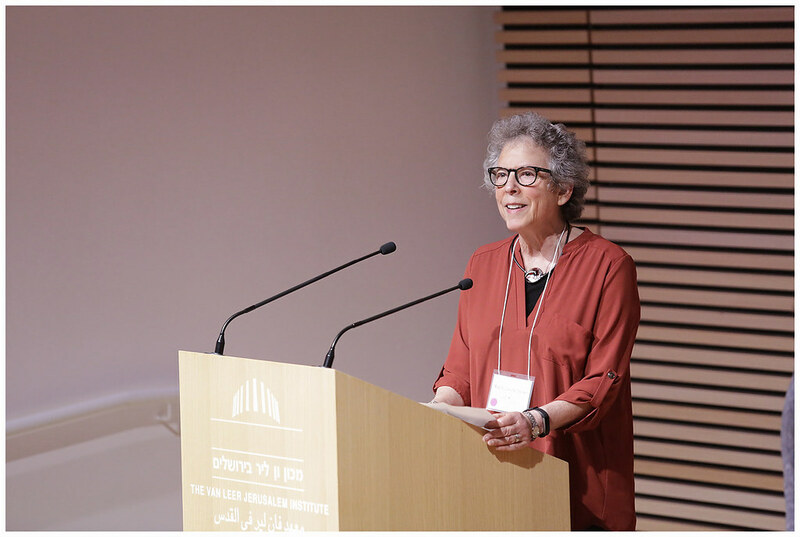 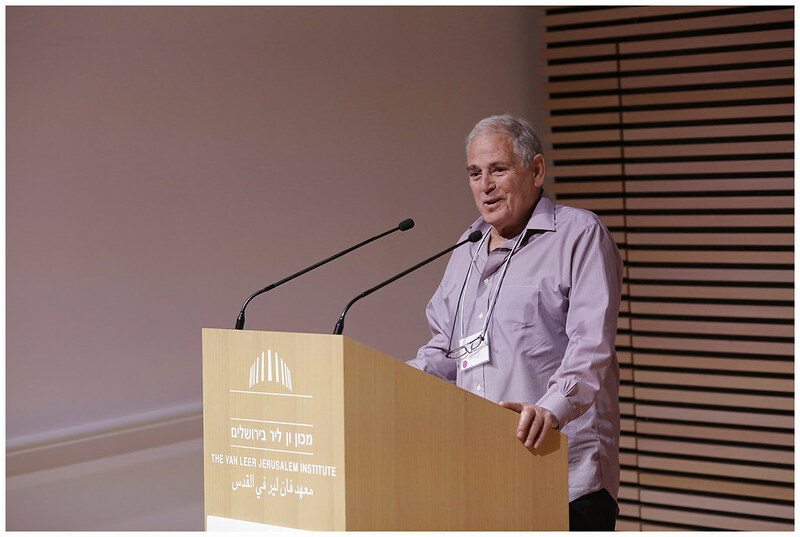 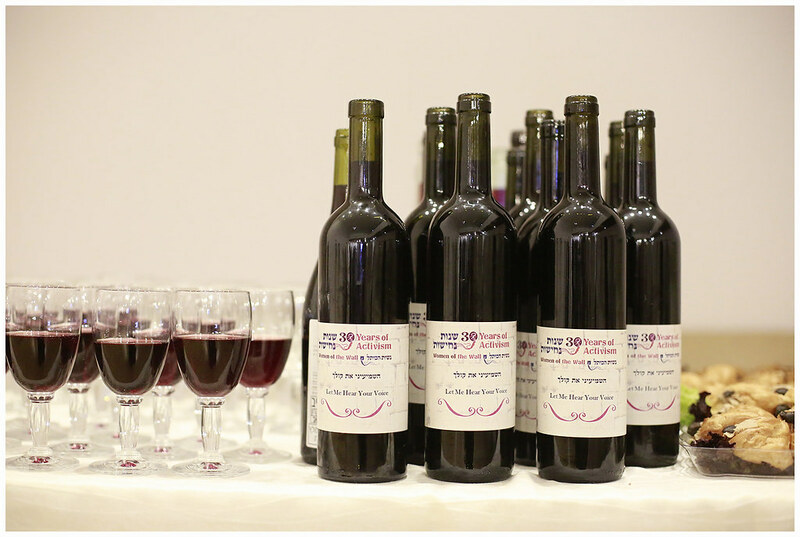 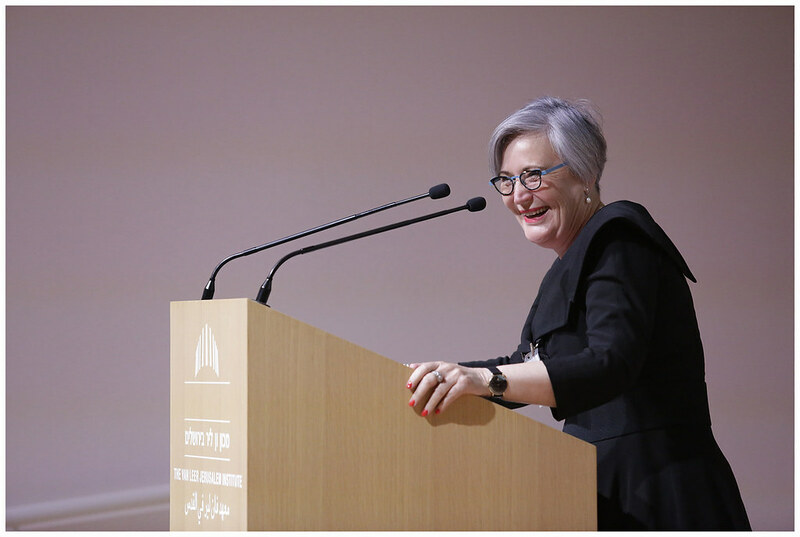 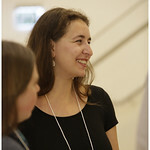 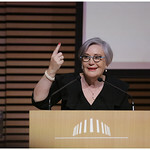 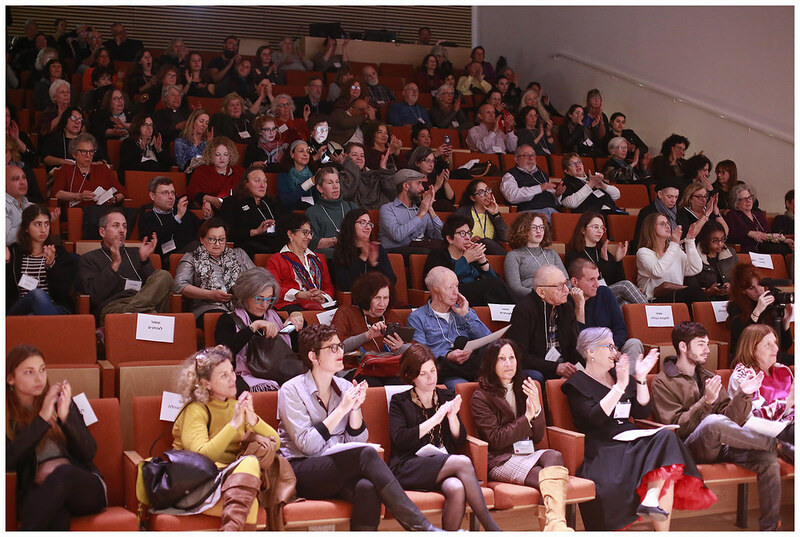 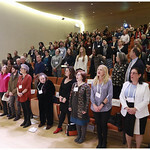 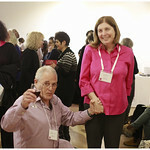 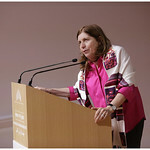 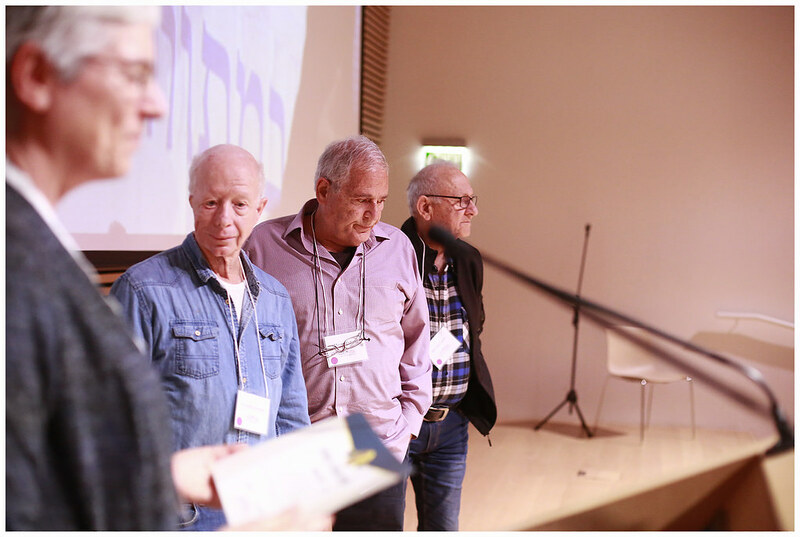 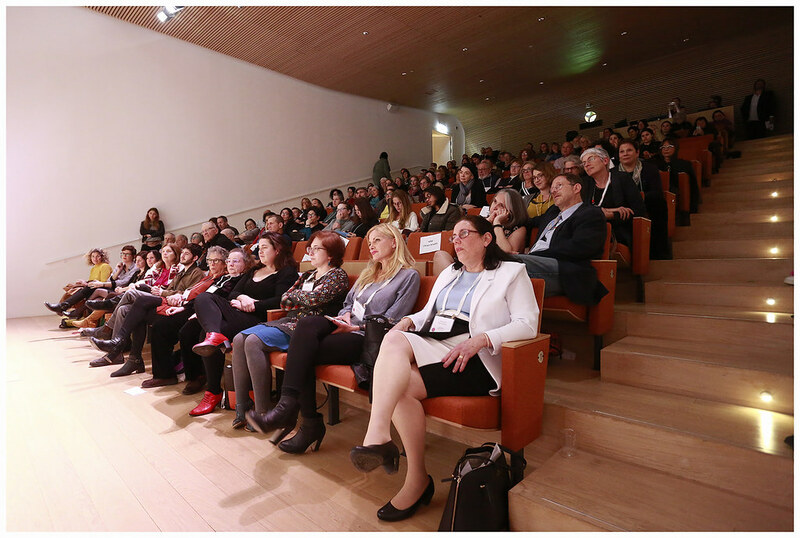 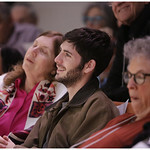 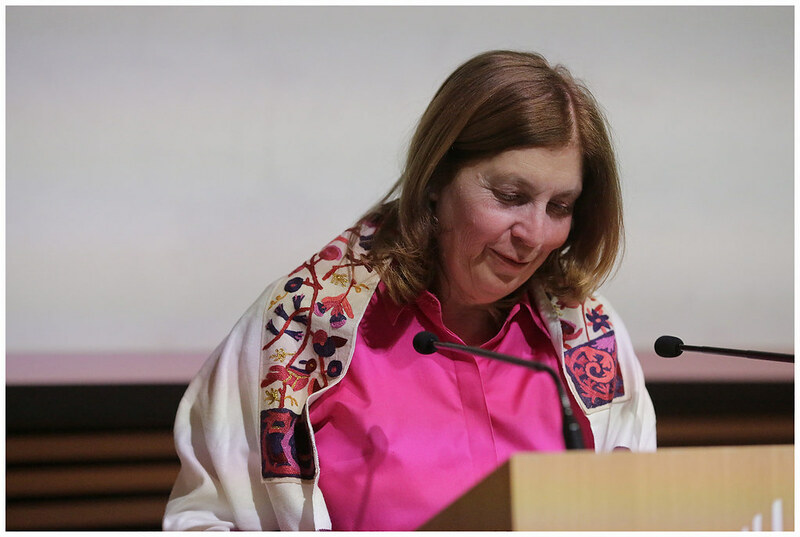 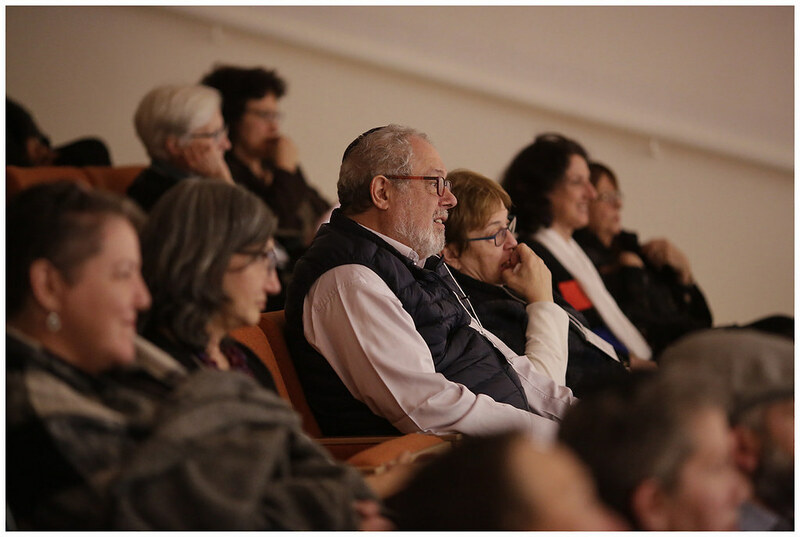 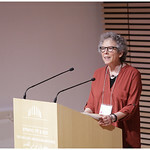 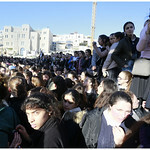 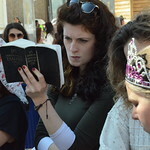 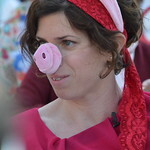 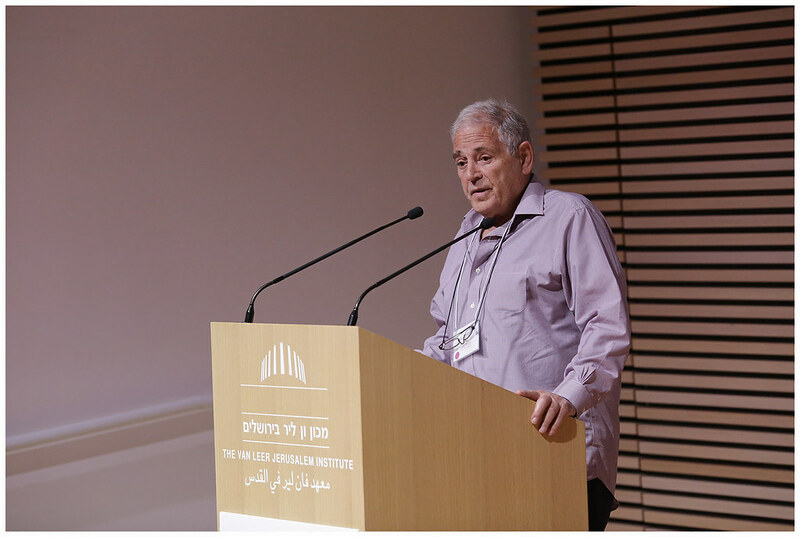 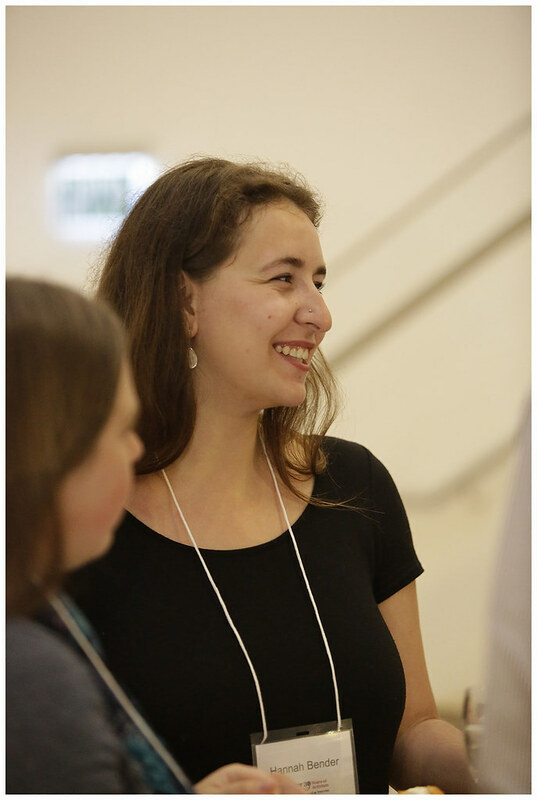 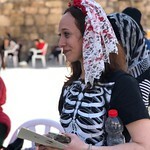 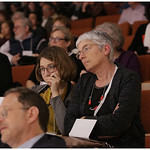 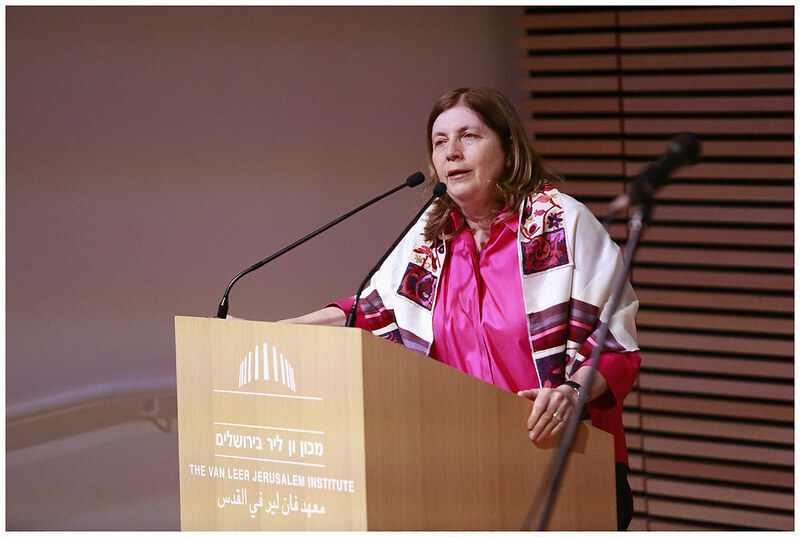 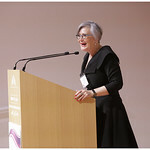 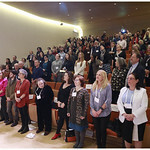 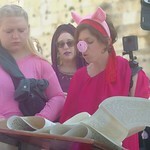 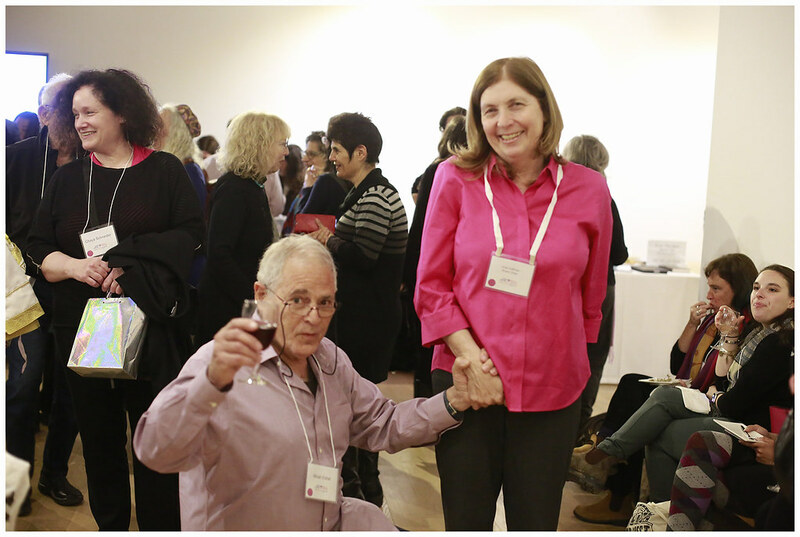 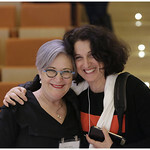 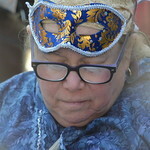 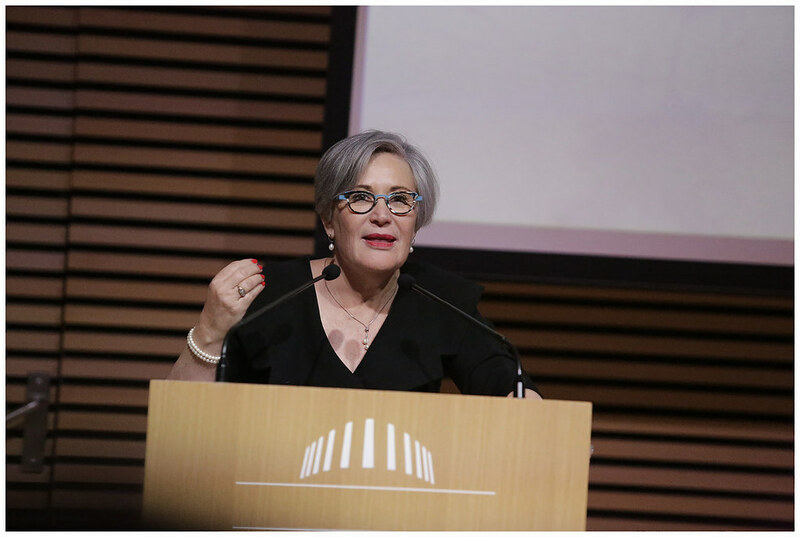 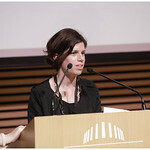 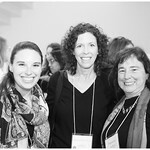 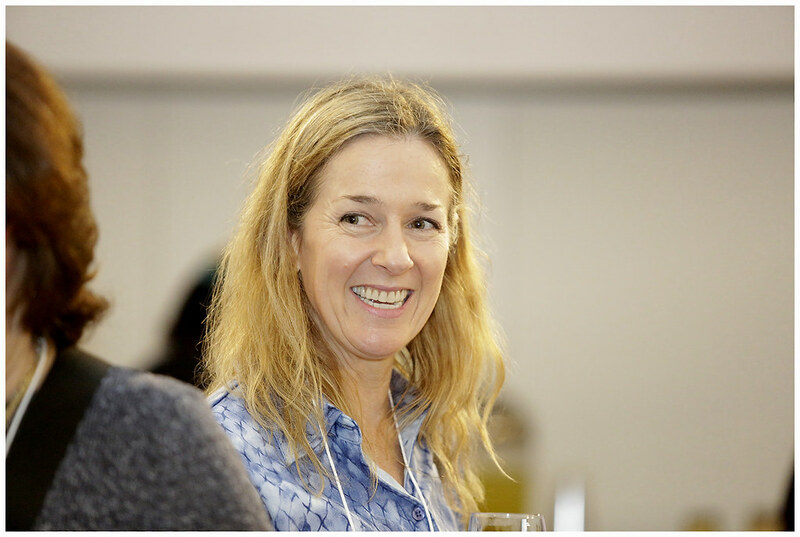 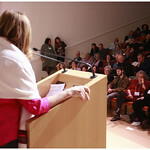 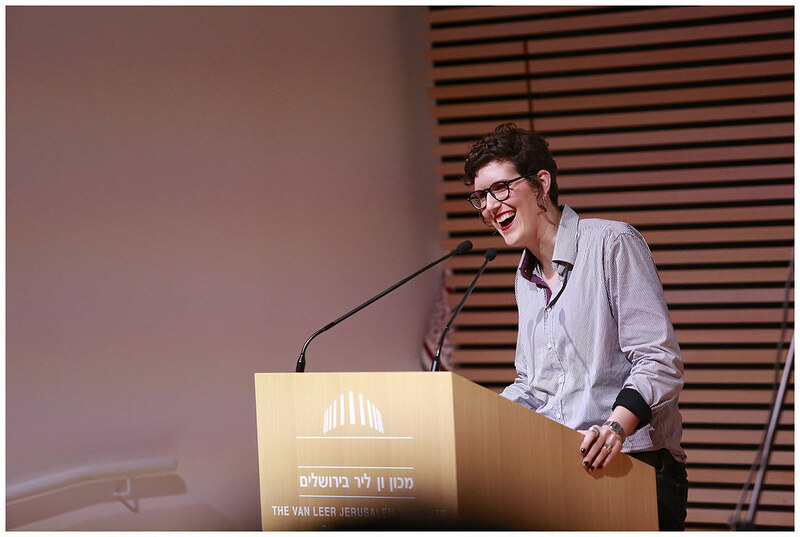 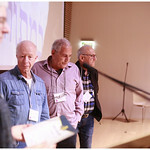 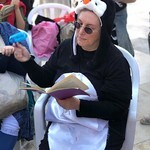 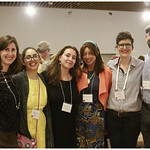 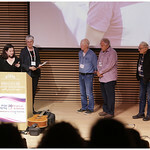 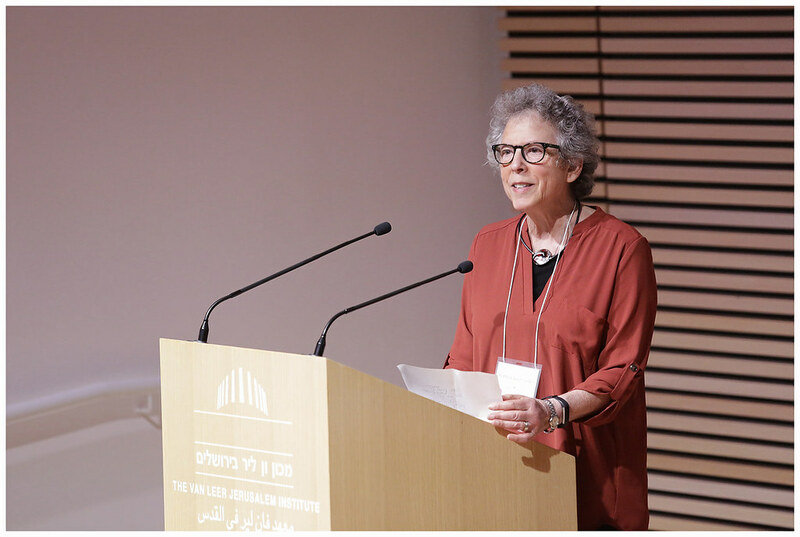 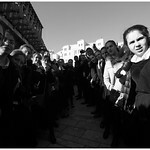 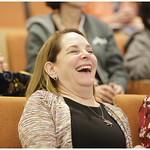 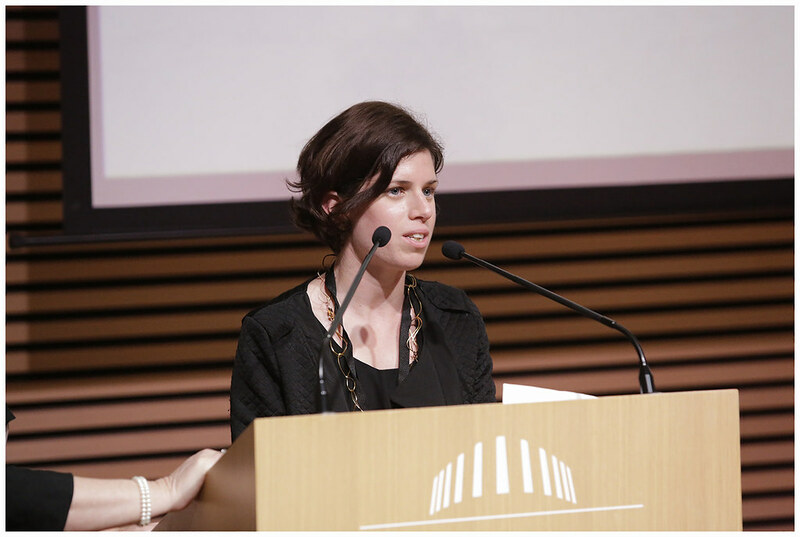 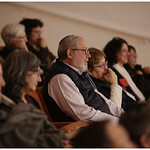 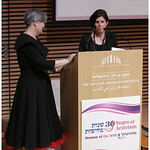 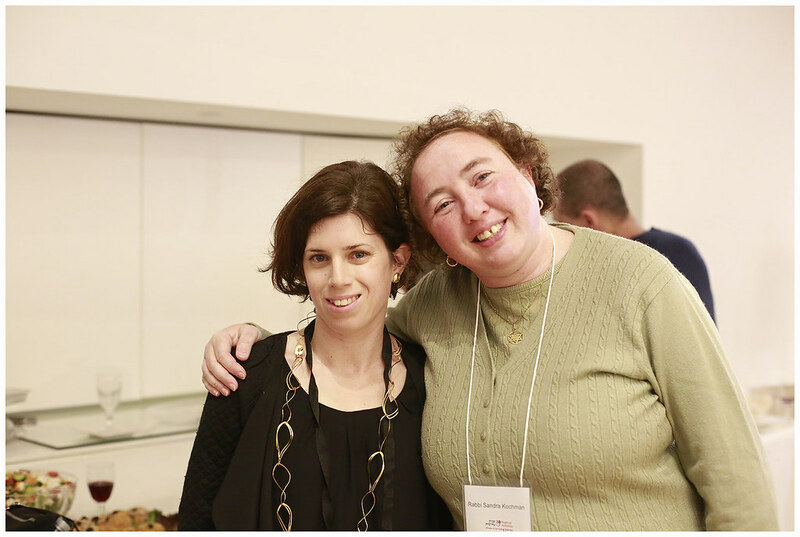 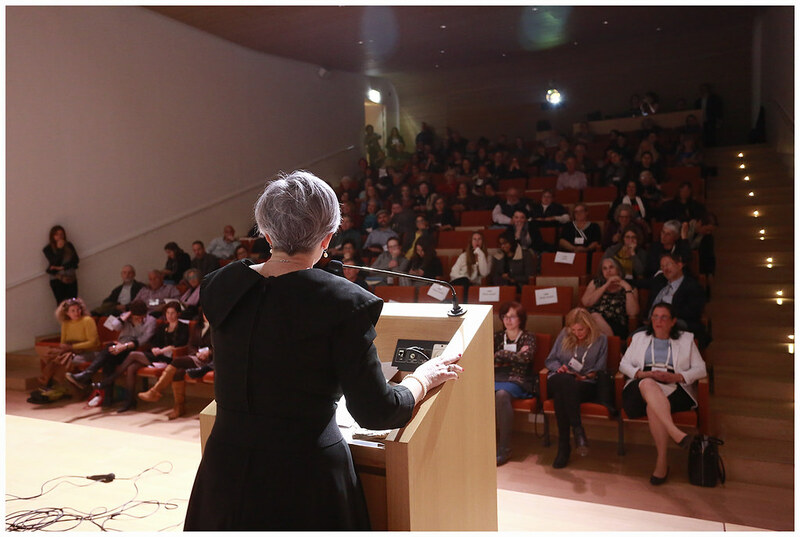 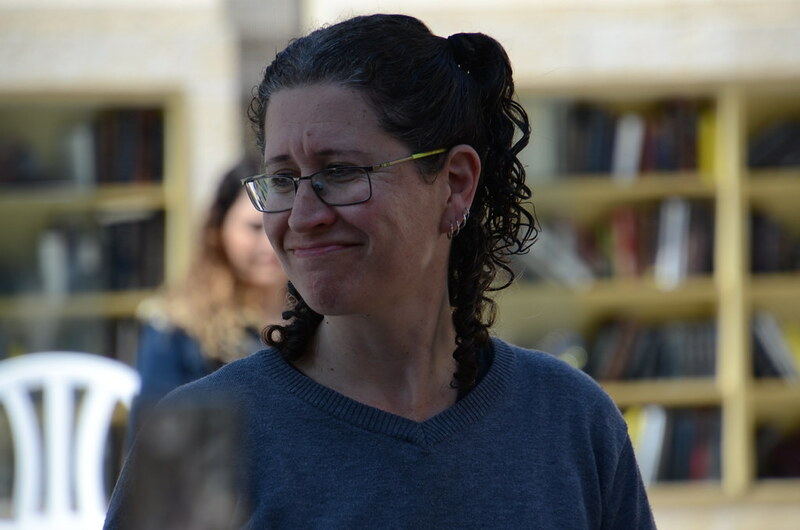 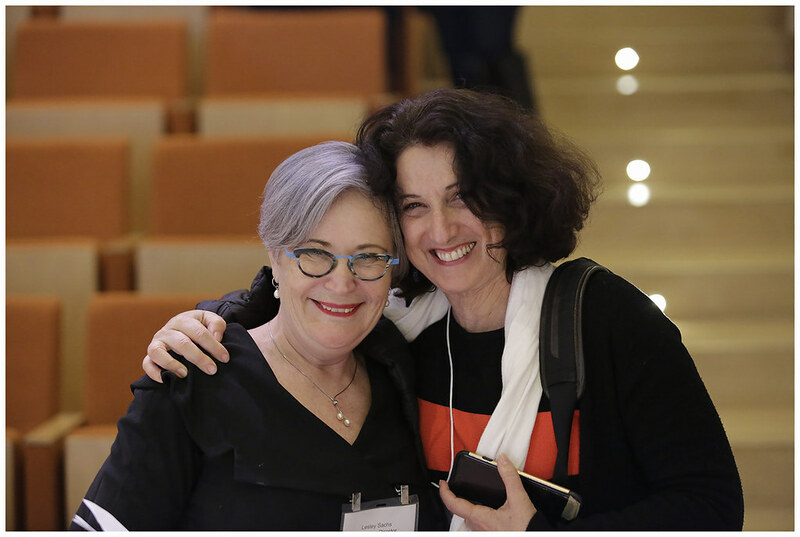 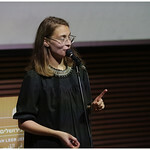 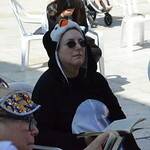 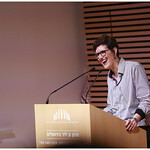 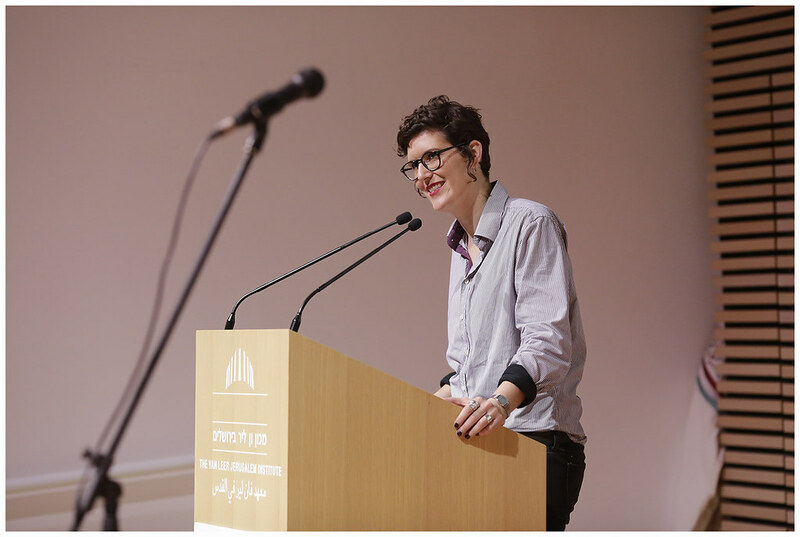 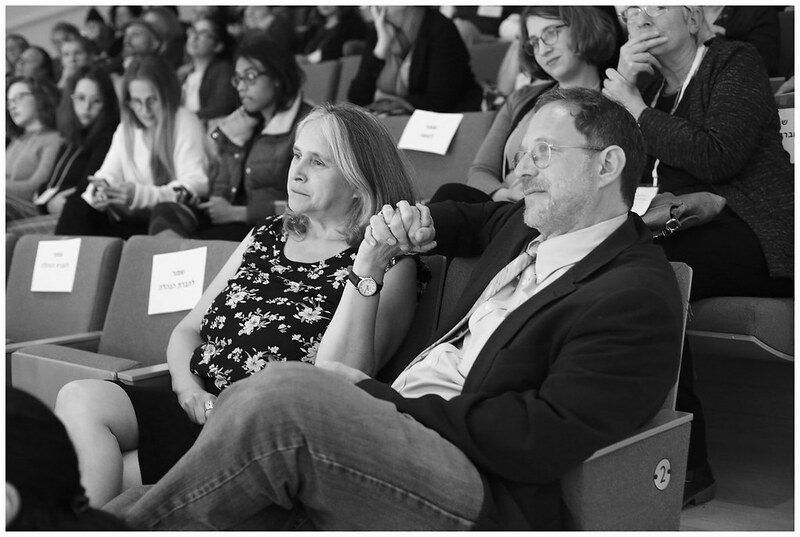 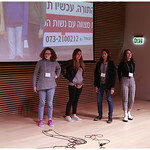 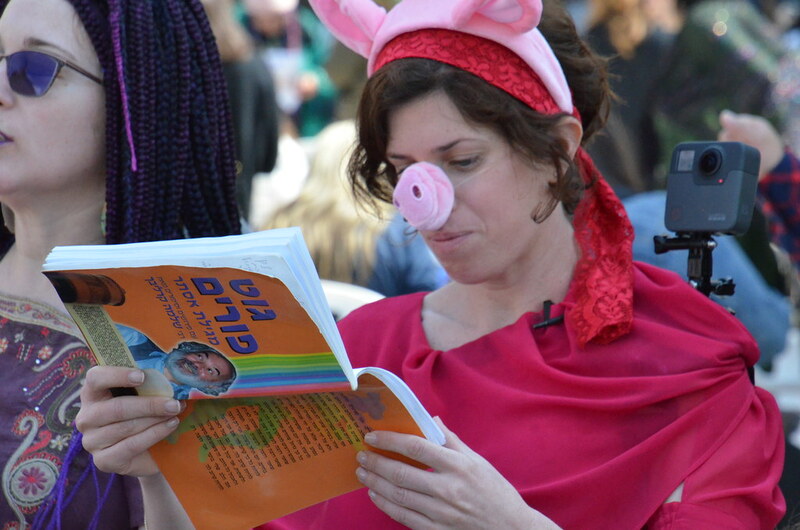 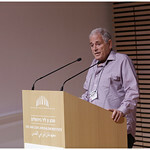 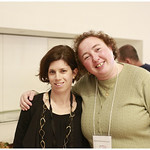 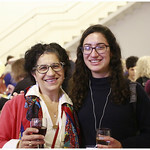 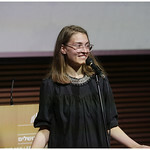 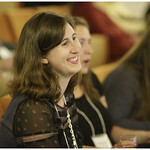 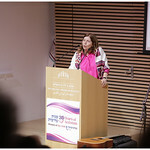 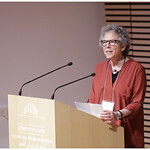 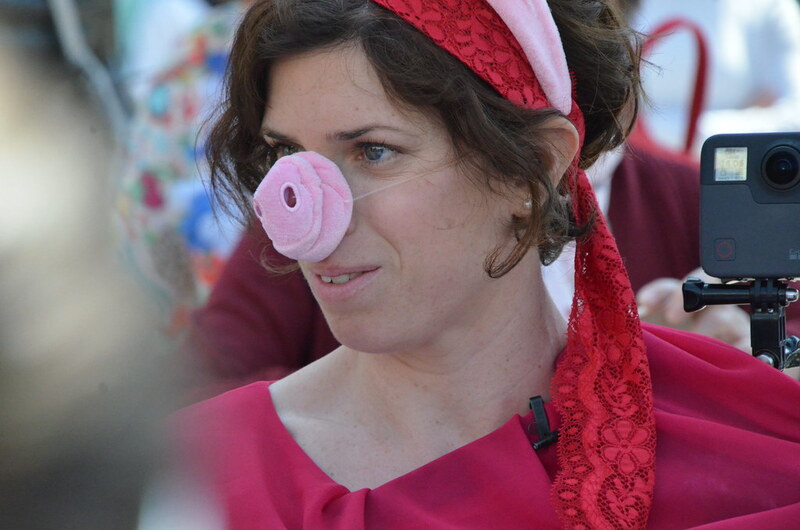 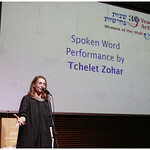 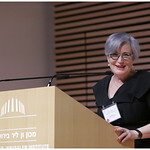 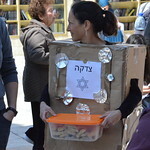 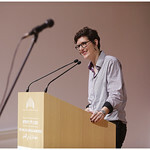 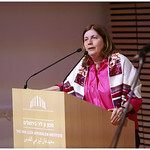 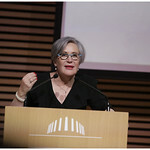 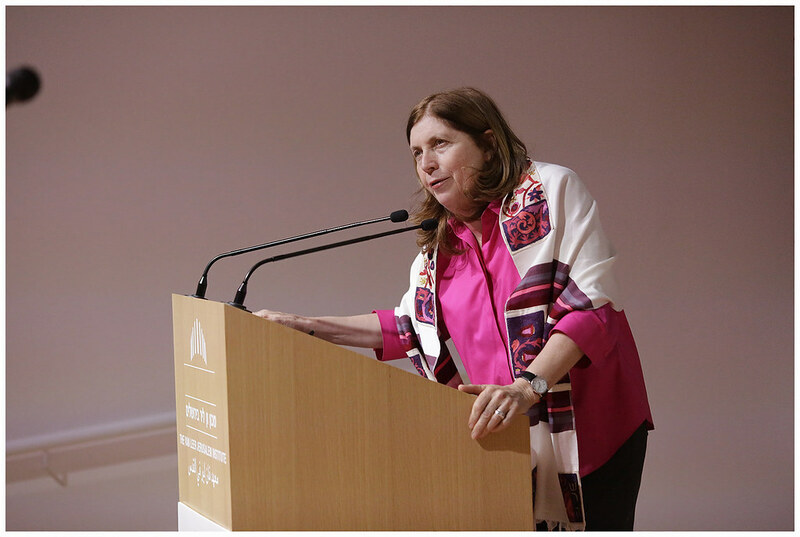 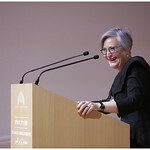 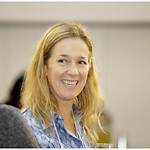 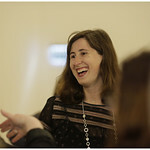 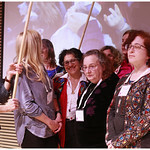 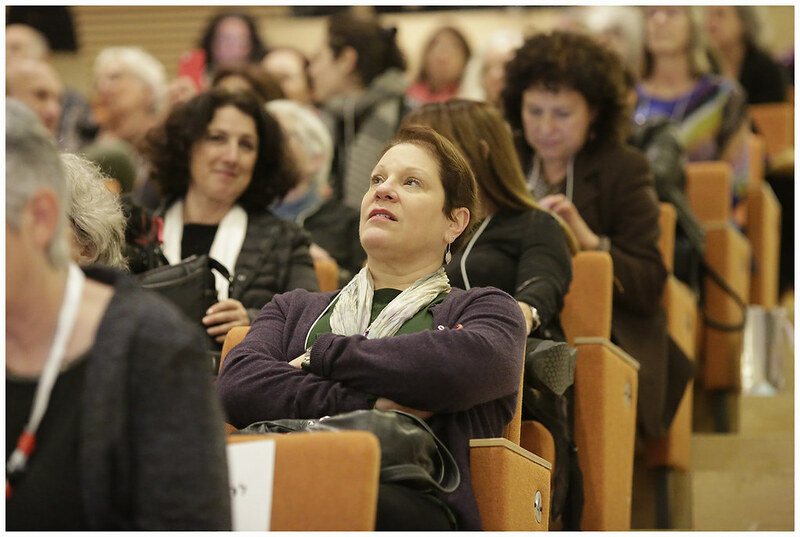 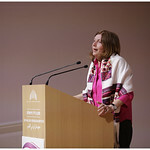 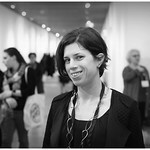 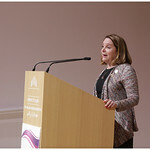 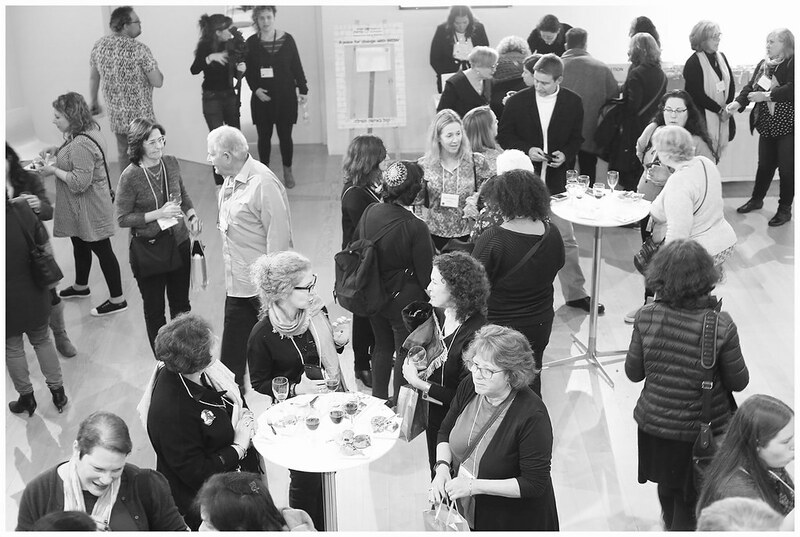 Cohen said, “The purpose of a Torah Scroll is to be read and I can think of no better place for the Scroll to be on Rosh Hodesh Heshvan than at the Kotel, in the women’s section, being read by women who want and have every right, to read Torah at the Wall and, in my view, at every other place that a man can read Torah.” The Torah will be returned to the Cohen family later this month. 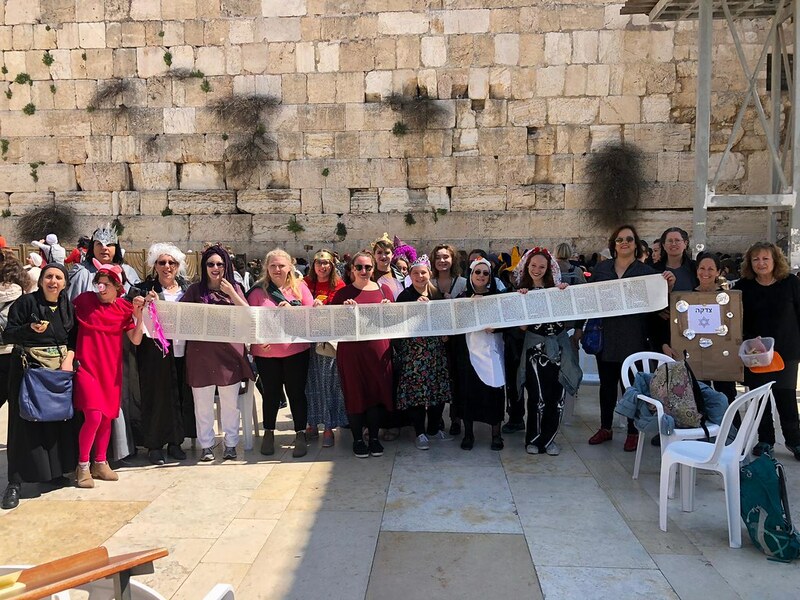 Women of the Wall have been honored to use this scroll, already so rich in Jewish history, to make history for women at the Kotel. 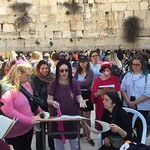 While women’s Torah reading is legally permissible according to both Jewish Law and the Israeli courts (Thanks to the April 2013 Sobell Decision), Rabinowitz’s local ordinance to ban entrance to the Kotel with a Torah acts to discriminate against women, who cannot access Torah scrolls any other way while men have hundreds at their disposal on the men’s side of the Wall. 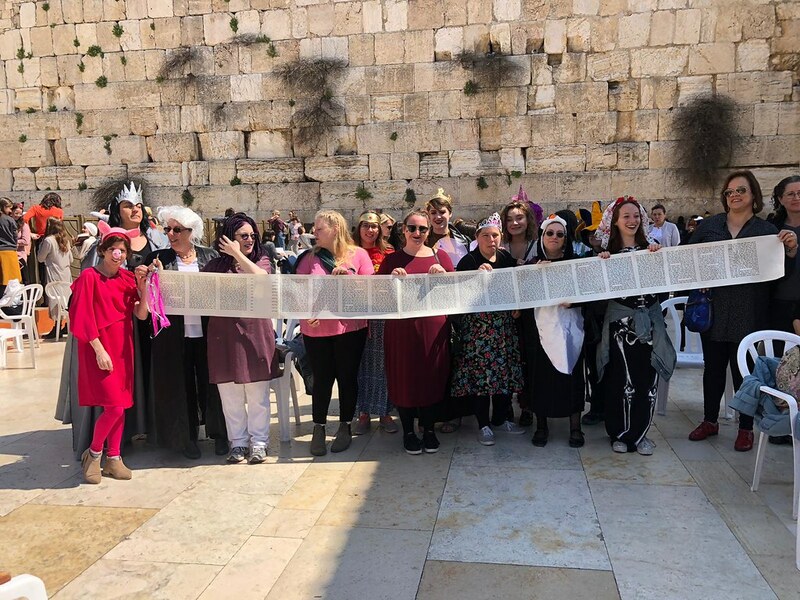 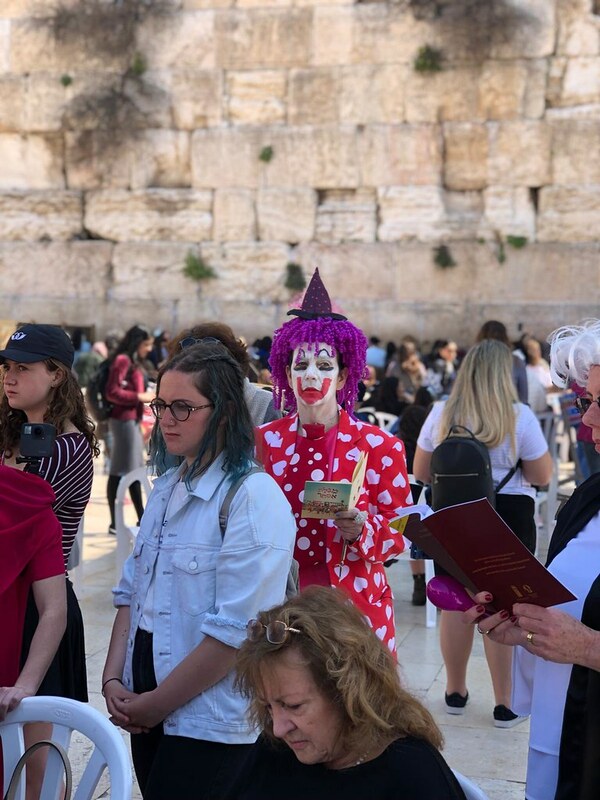 Women of the Wall looks to the government, to our nation’s leadership to see that this regulation be repealed and that women be allowed to worship freely at the Western Wall. 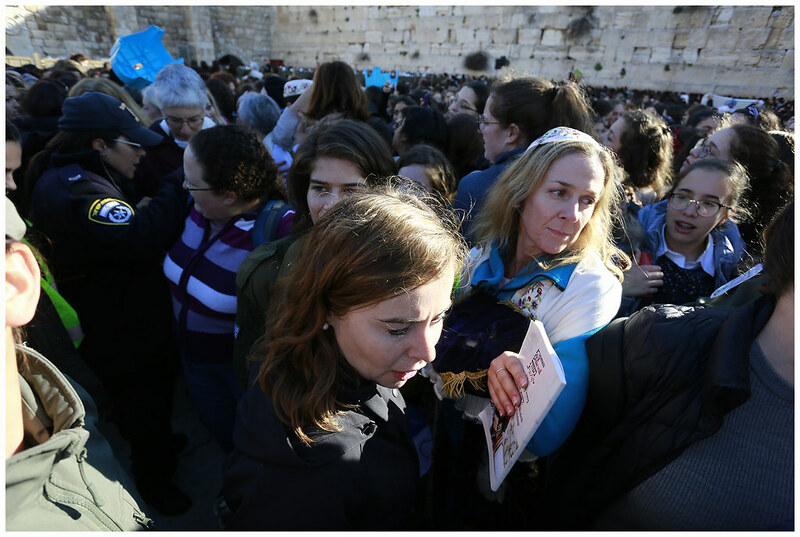 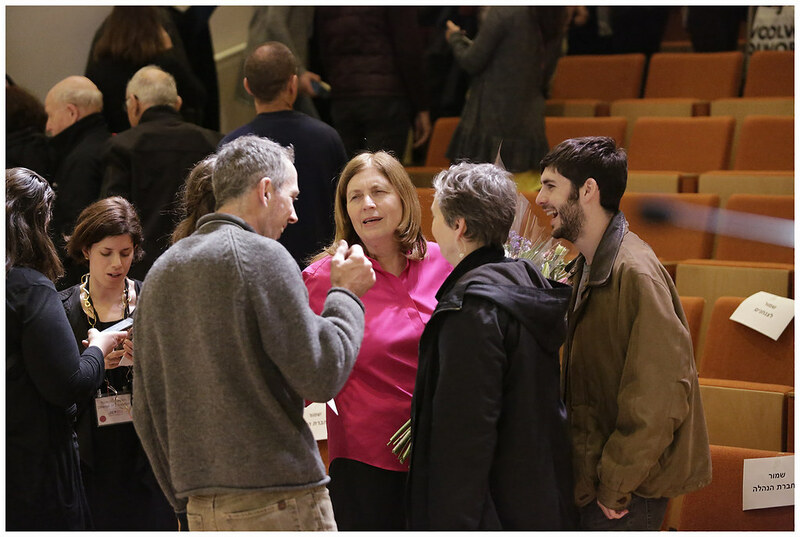 Women of the Wall’s prayers this morning were dedicated this morning to the triumph of light over dark, inspired by the story of Chanukah, and for peace and an end to the most recent wave of violence in Israel. 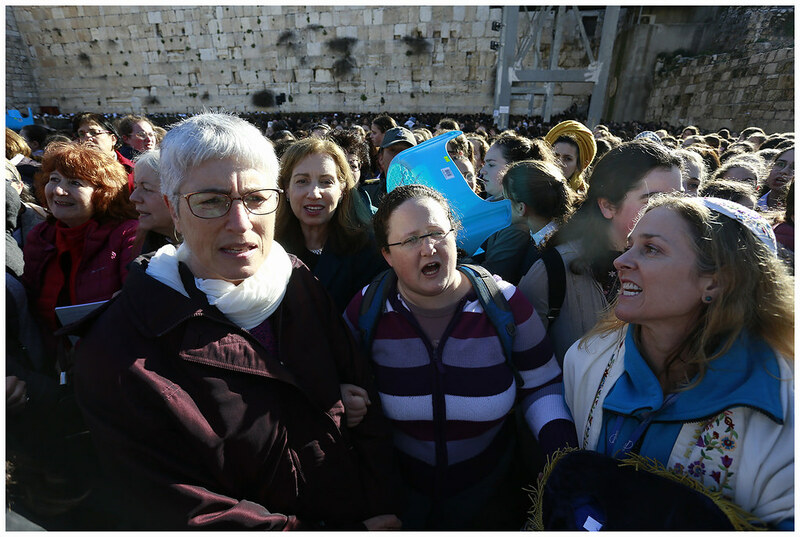 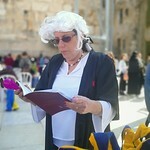 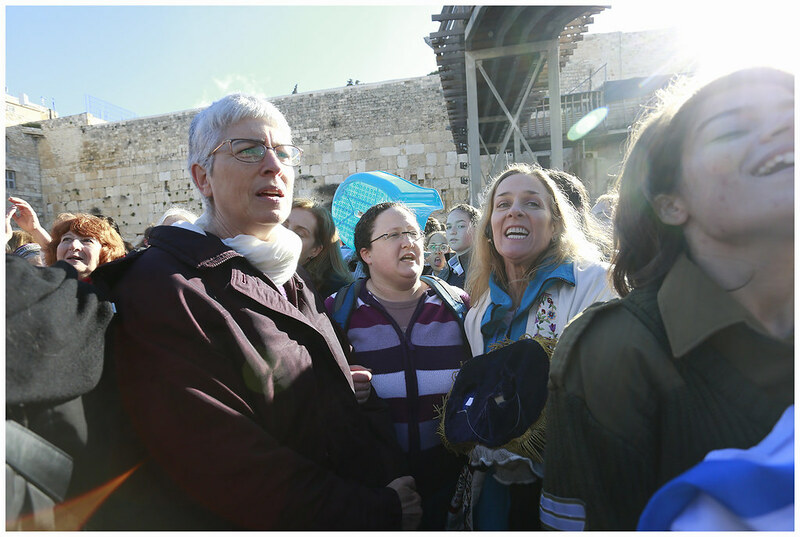 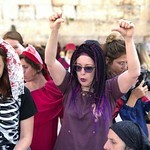 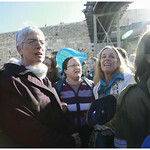 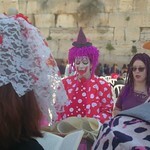 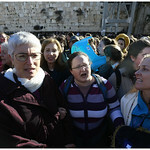 For over 25 years Women of the Wall has continued to fight for religious freedom and women’s rights at the Western Wall. 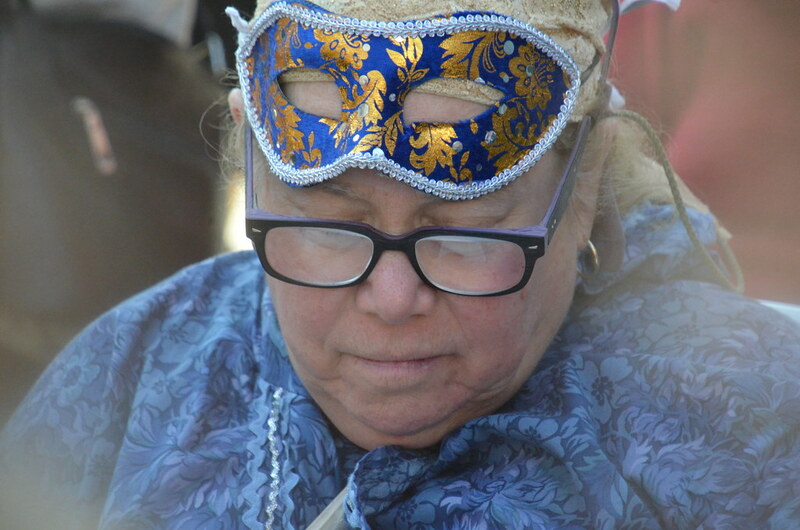 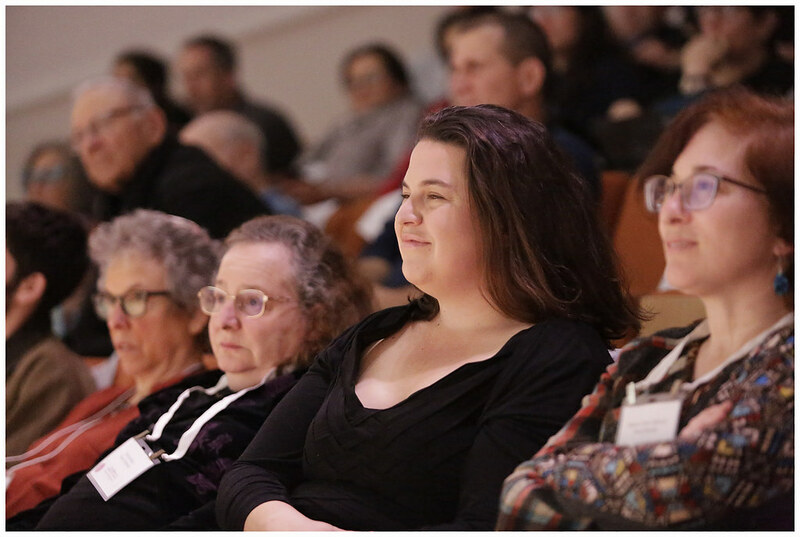 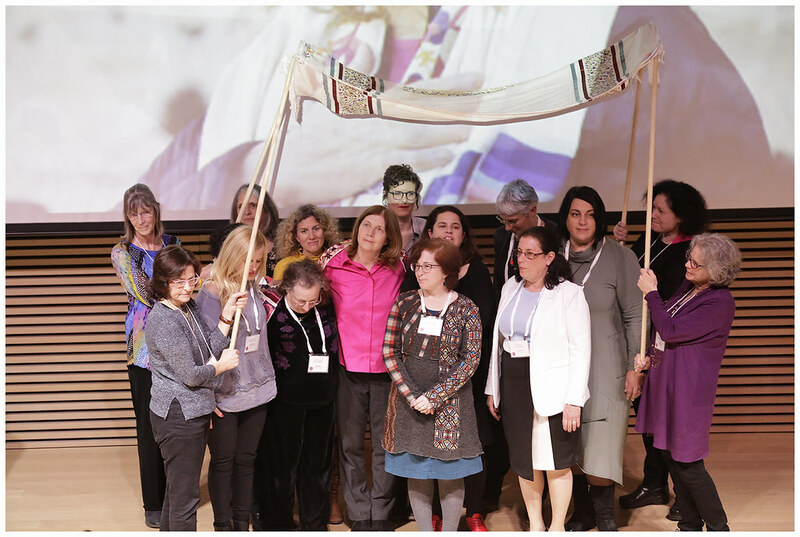 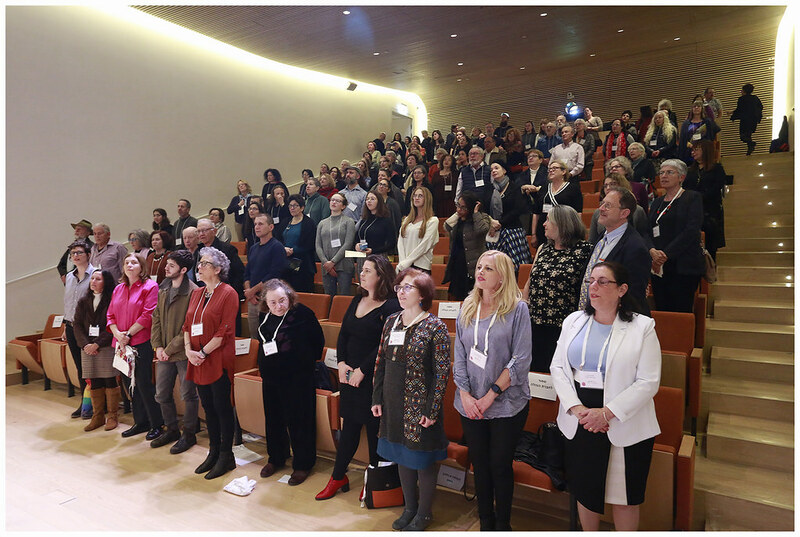 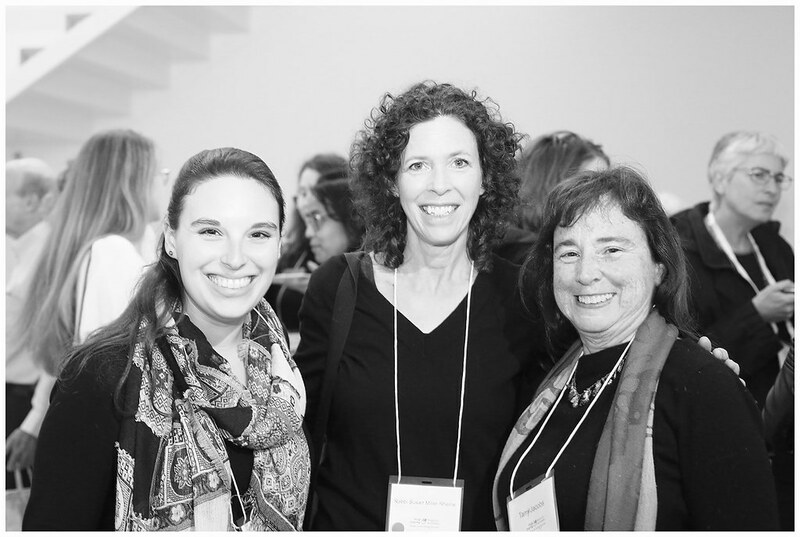 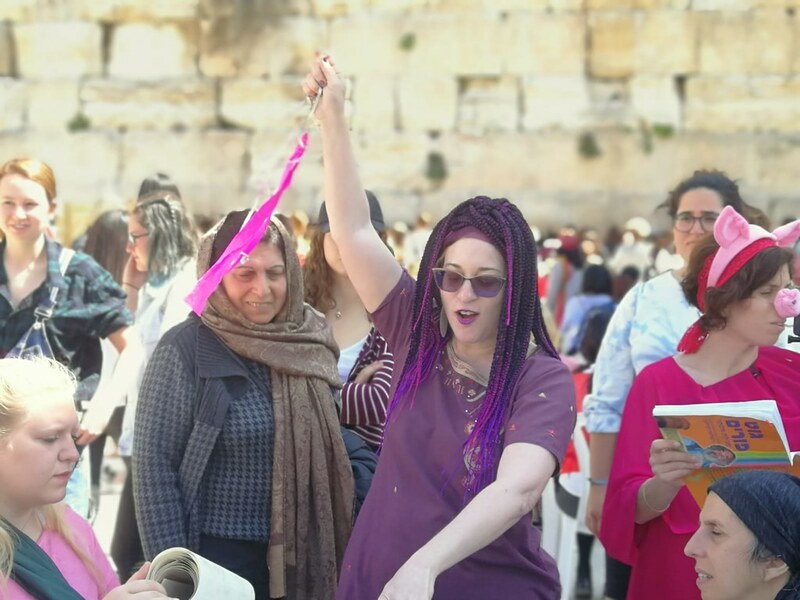 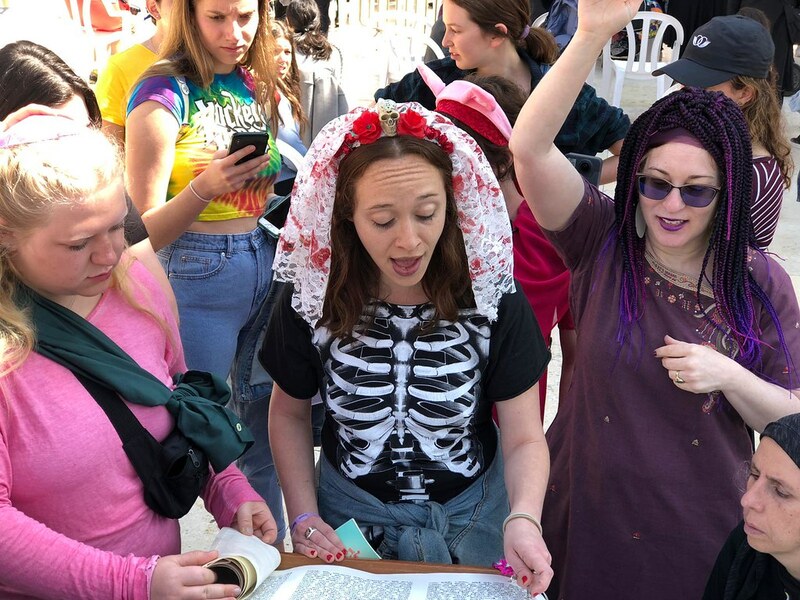 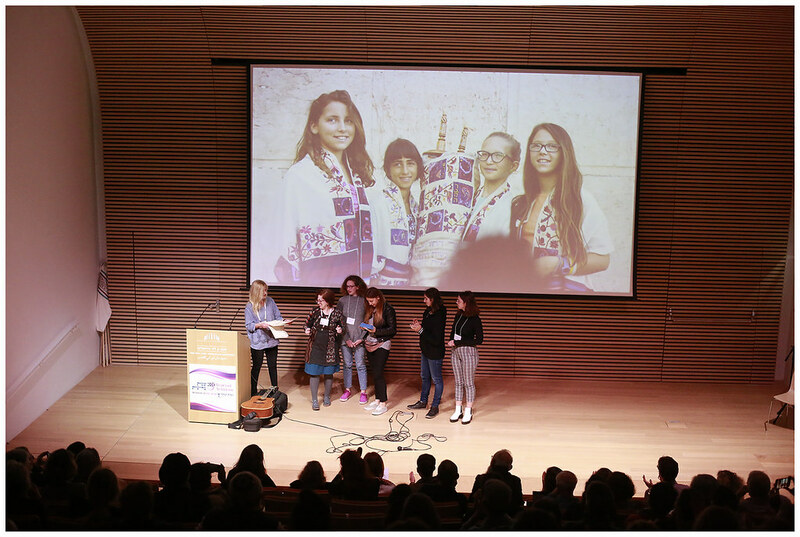 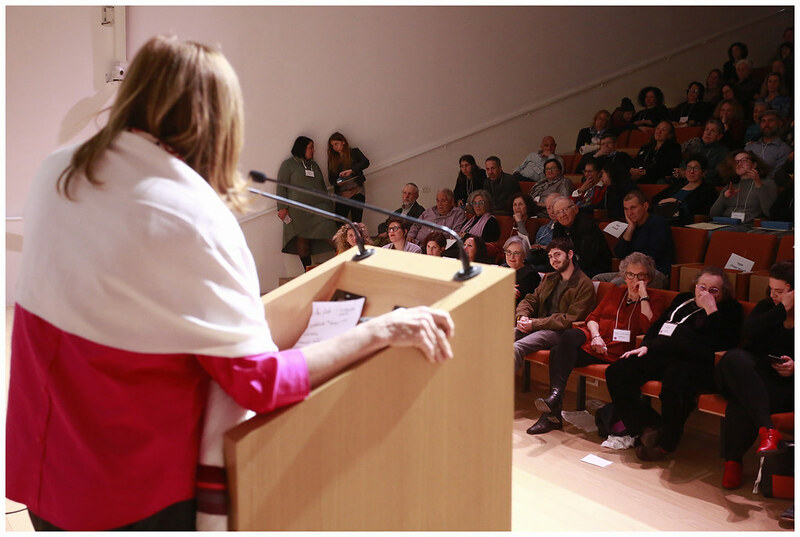 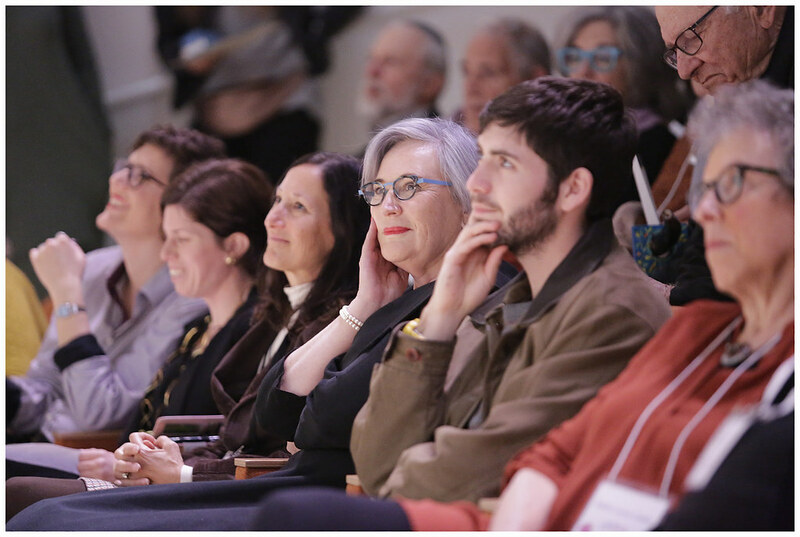 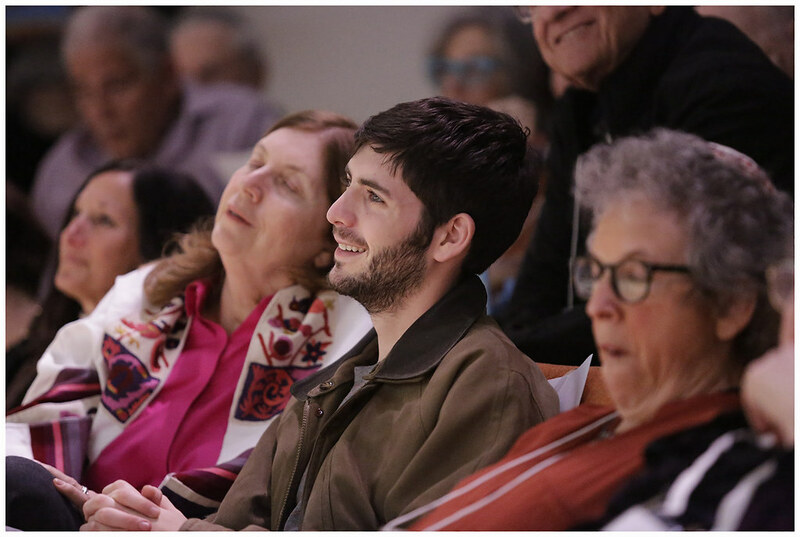 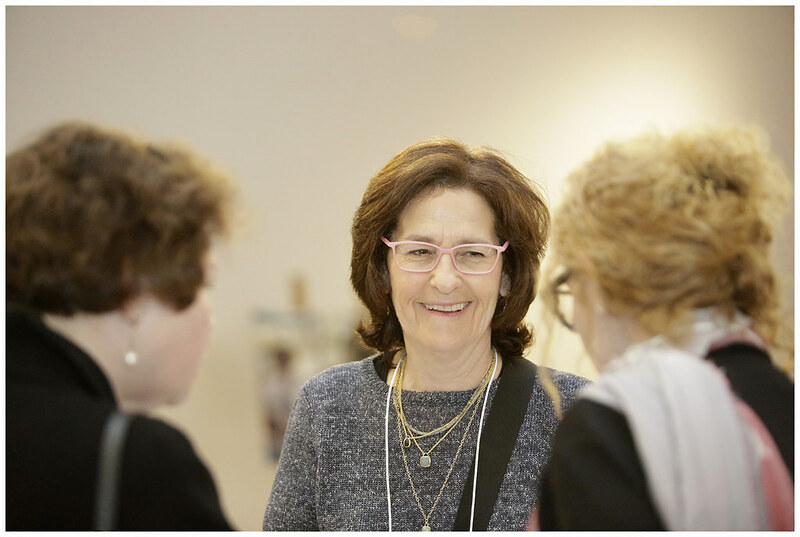 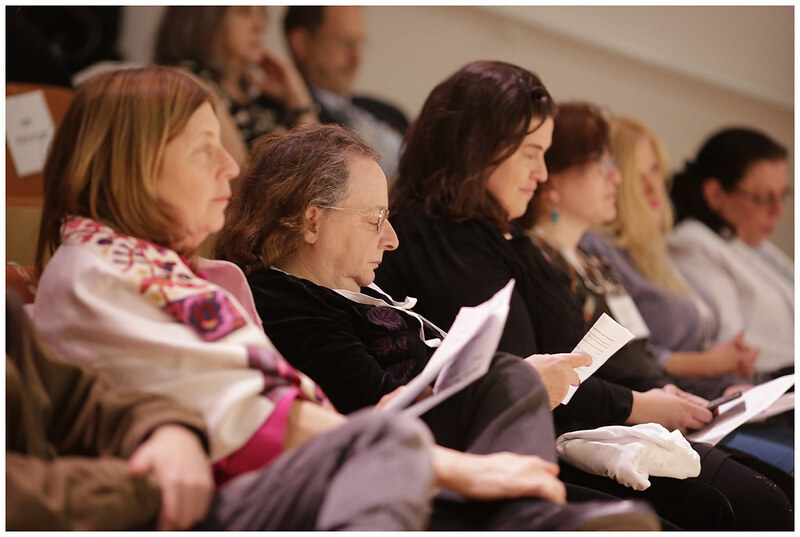 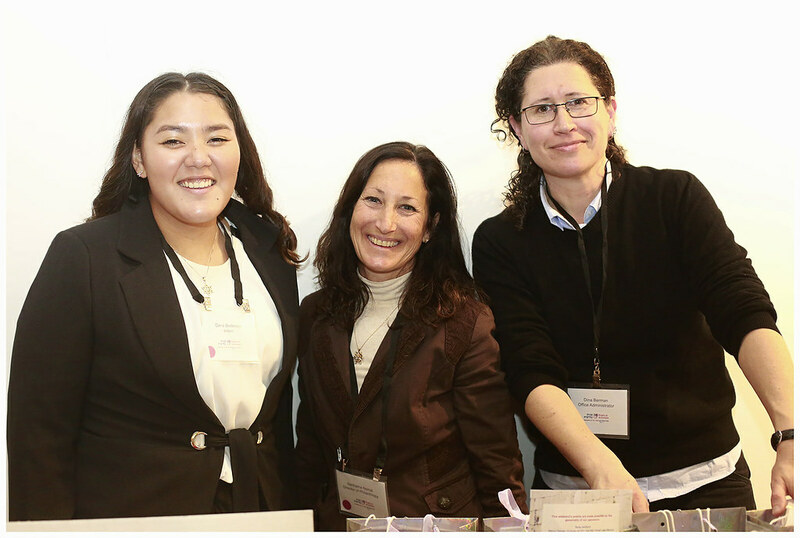 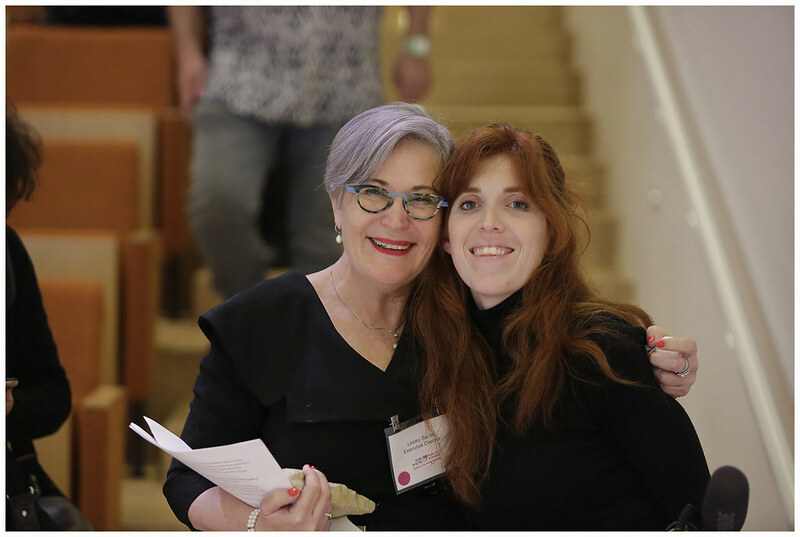 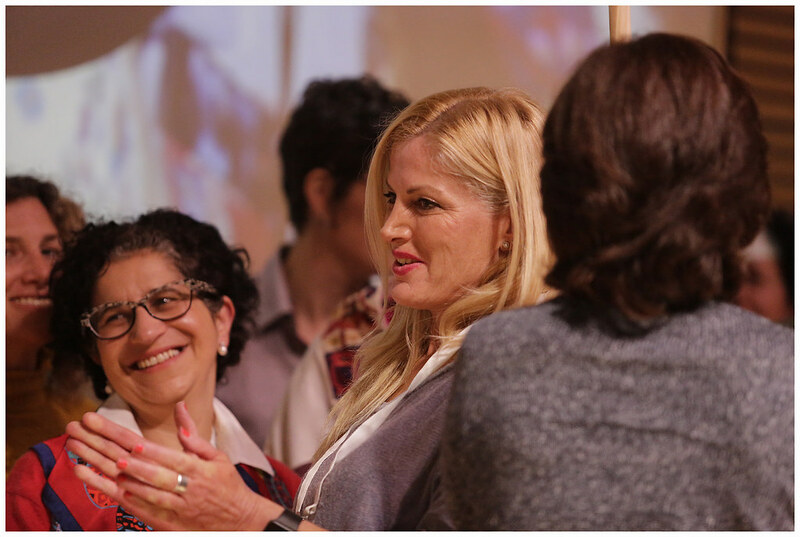 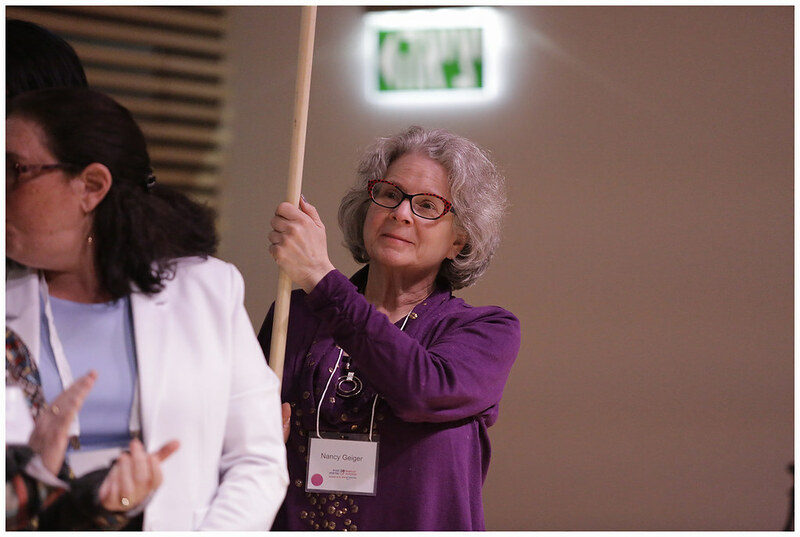 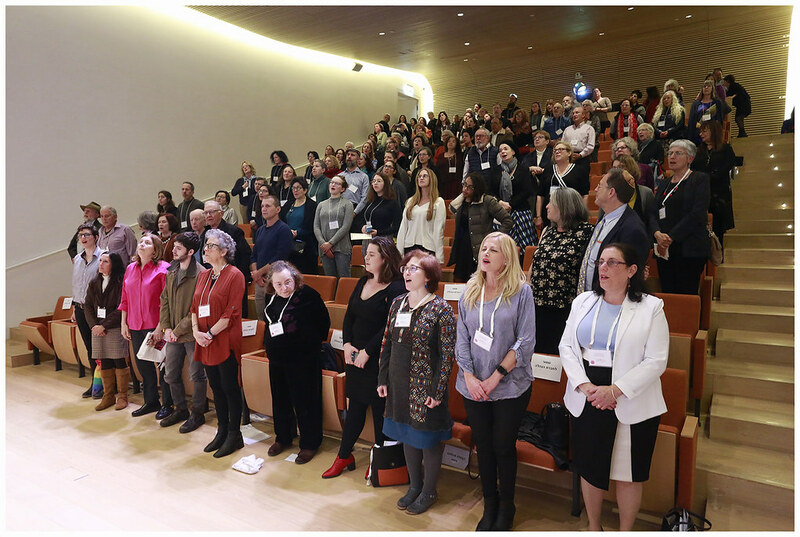 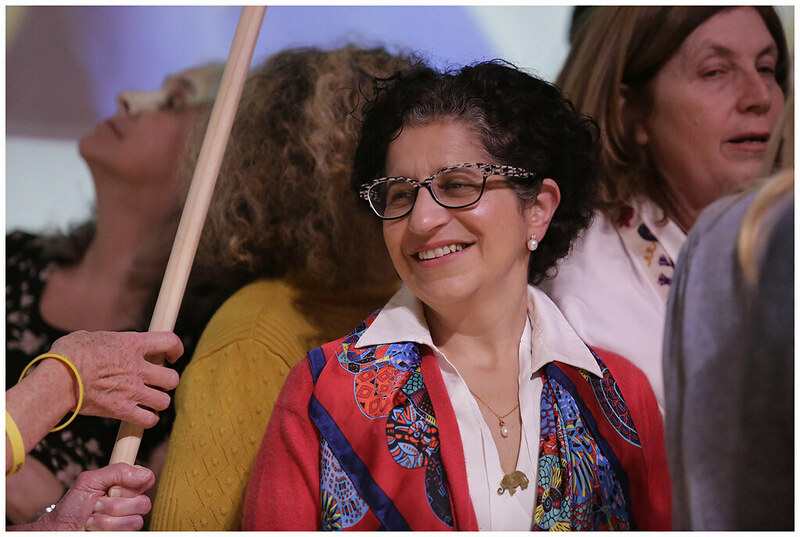 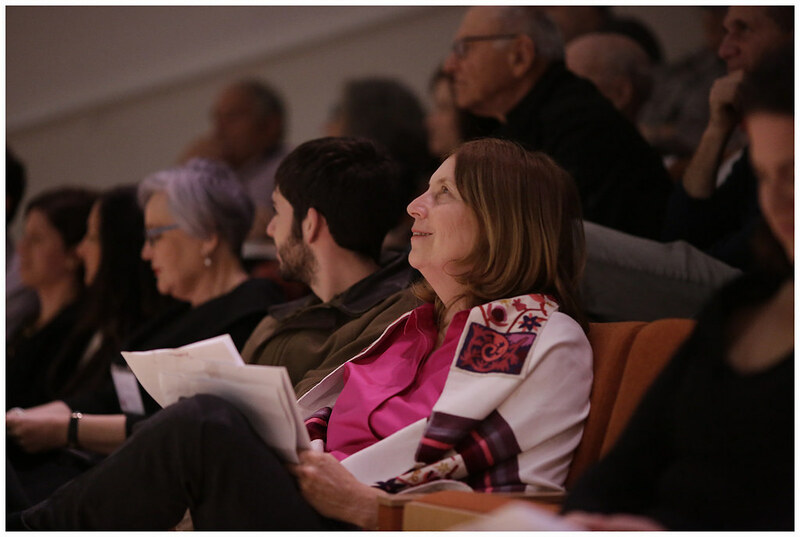 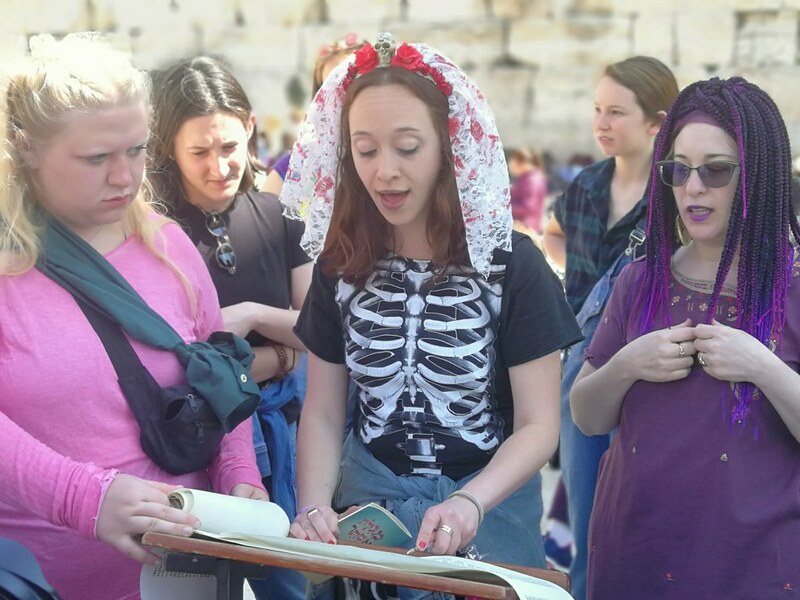 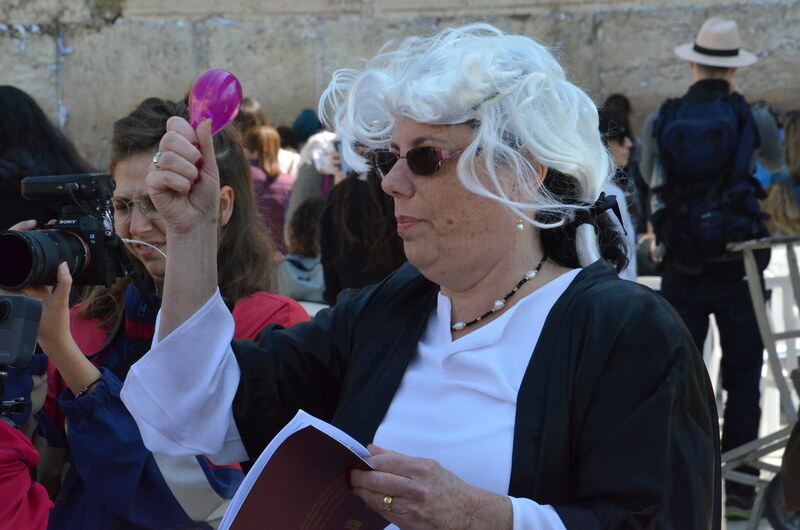 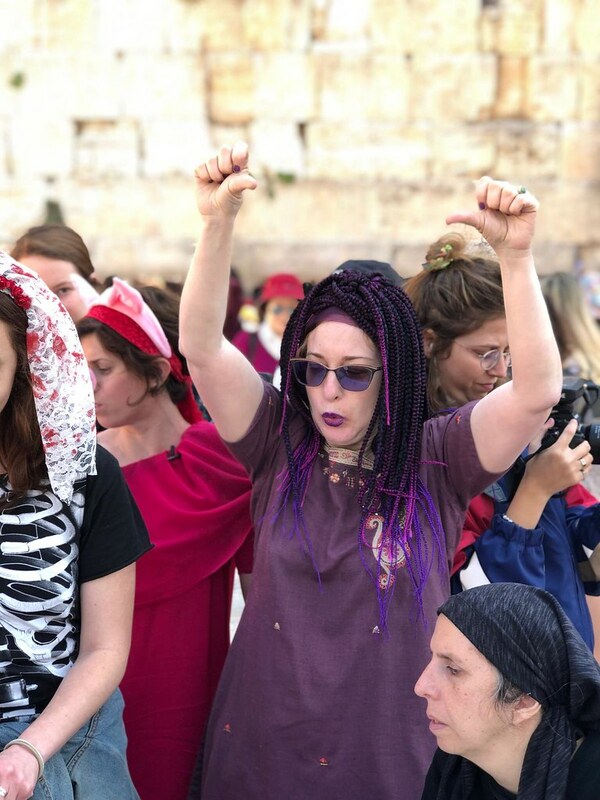 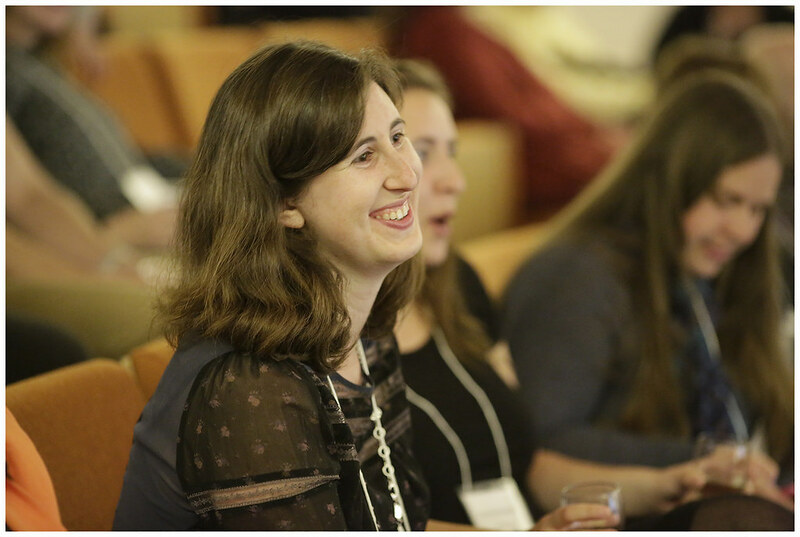 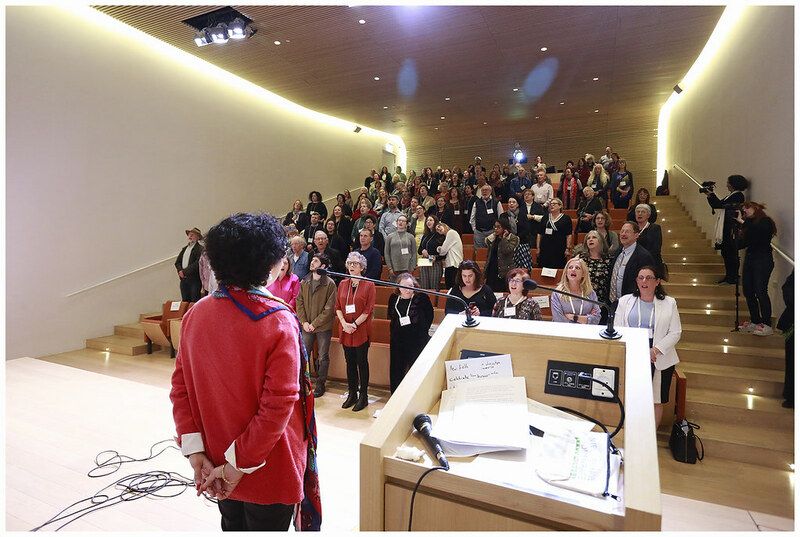 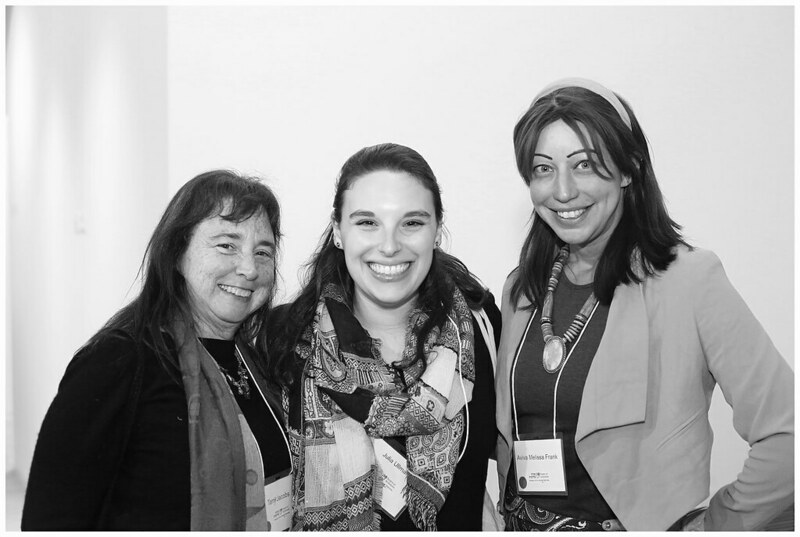 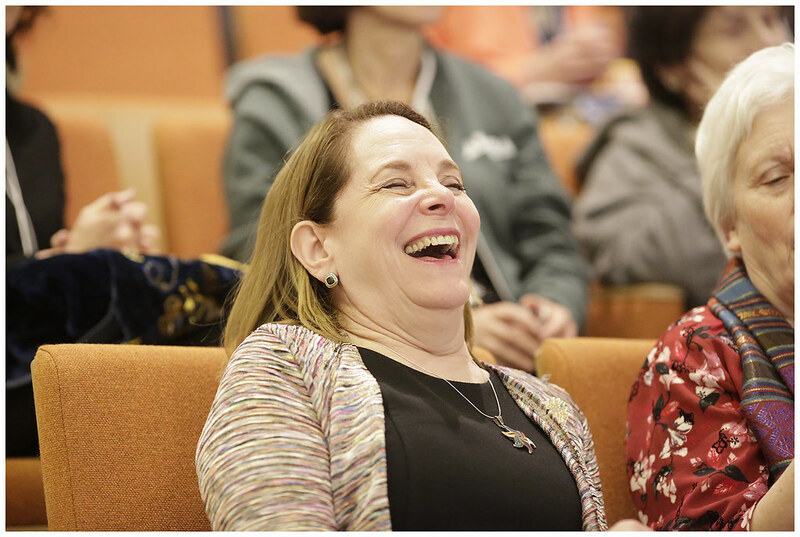 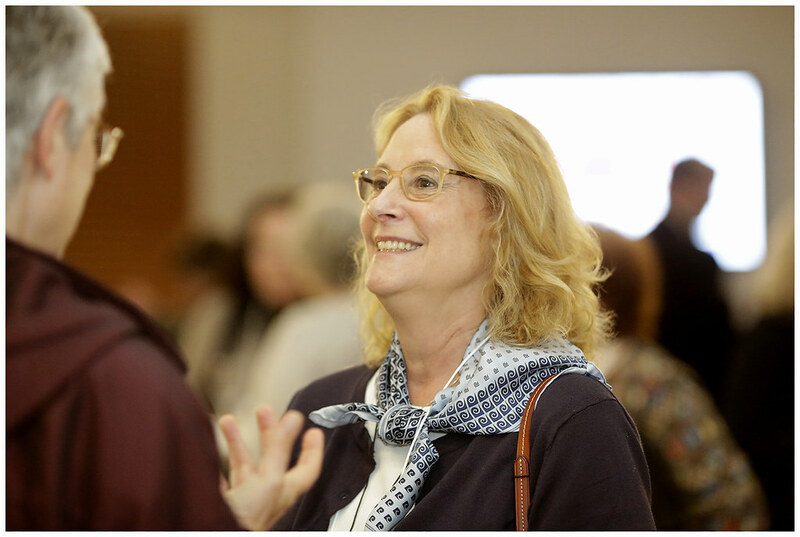 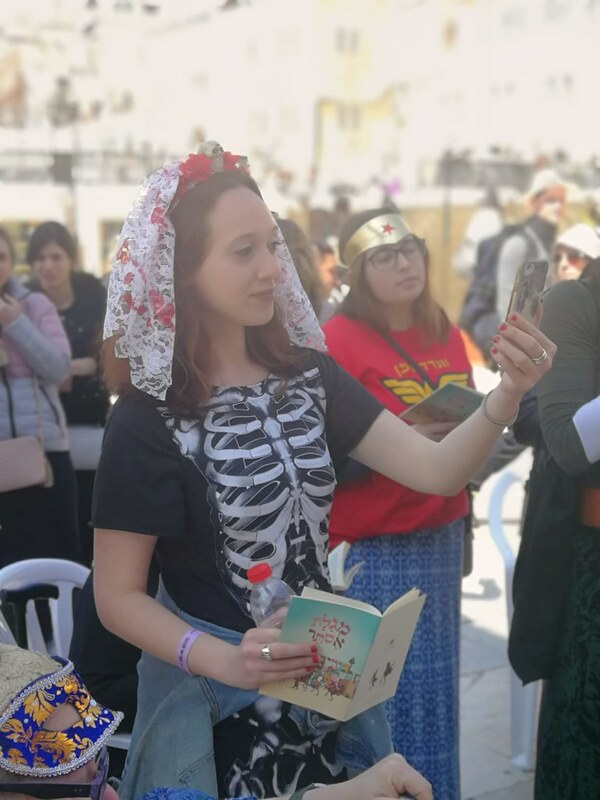 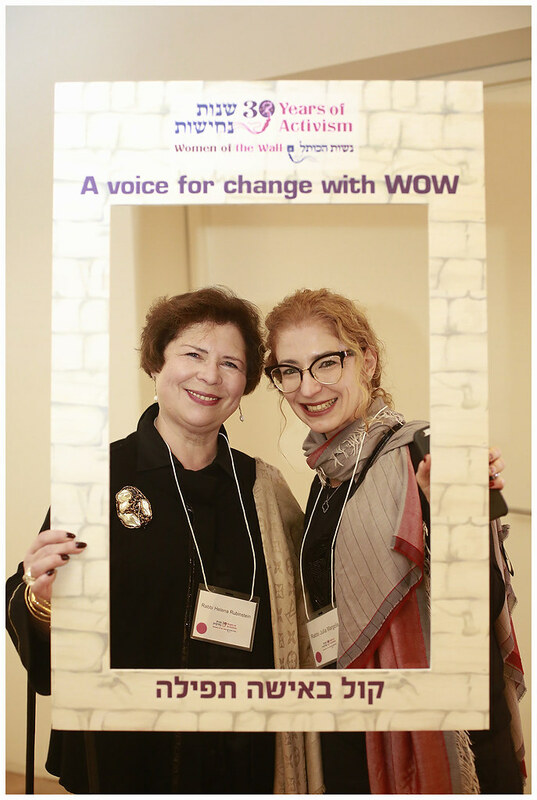 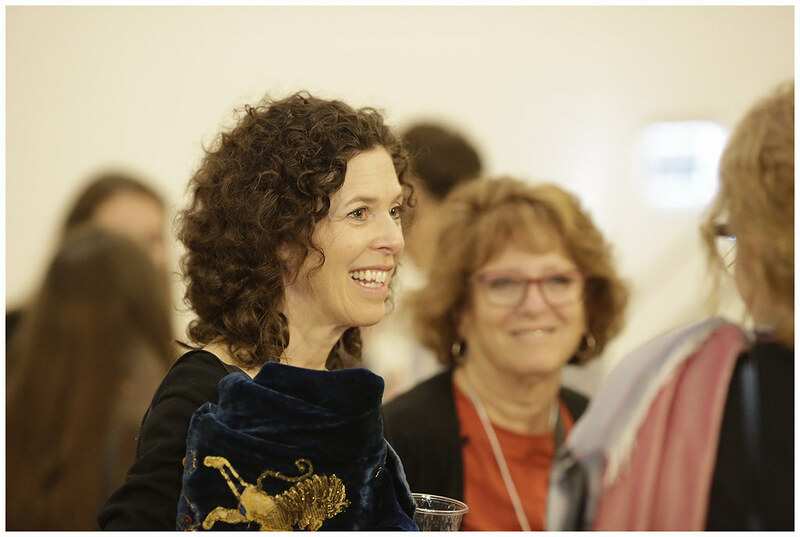 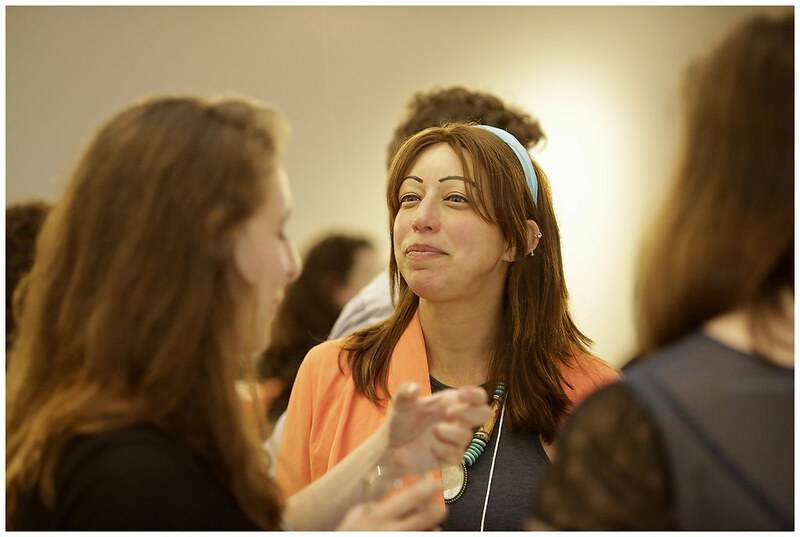 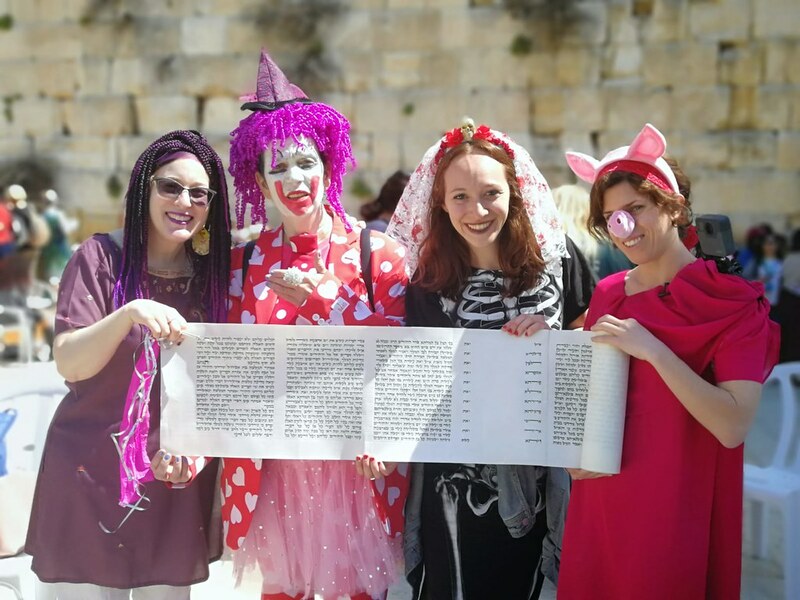 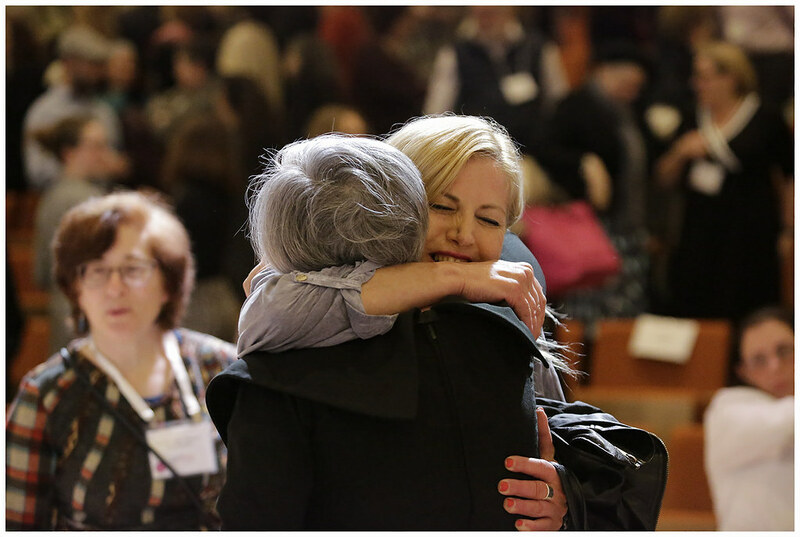 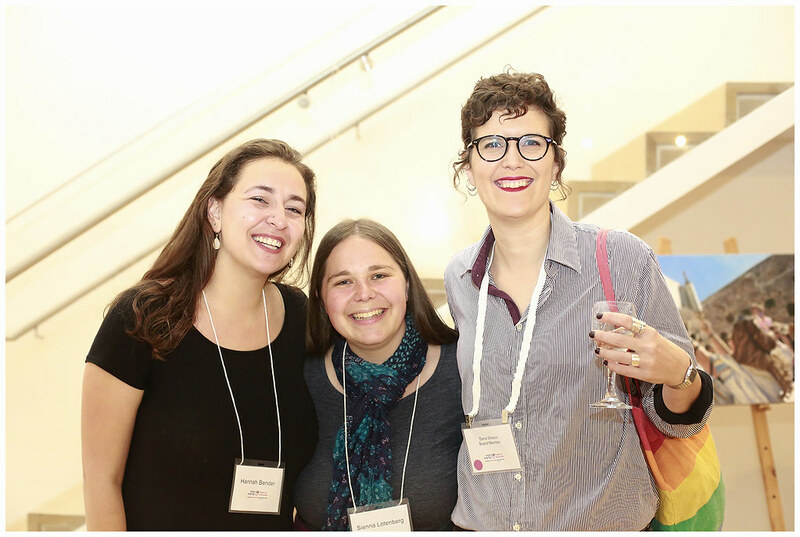 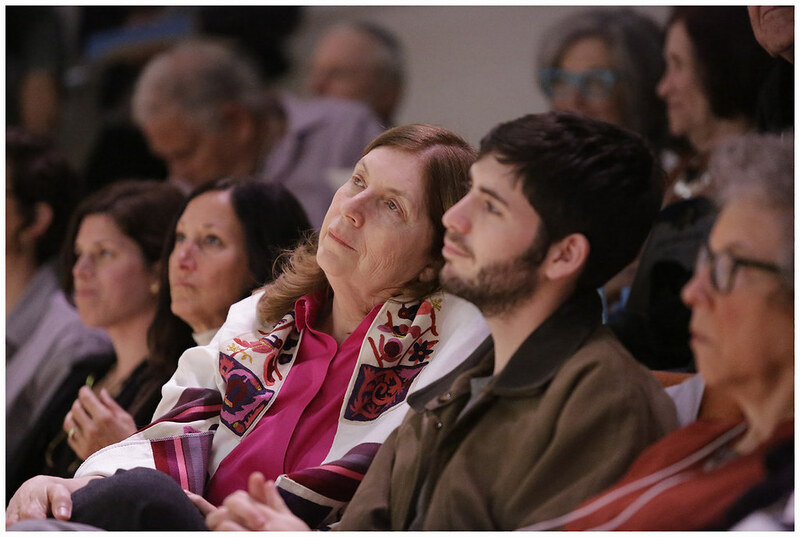 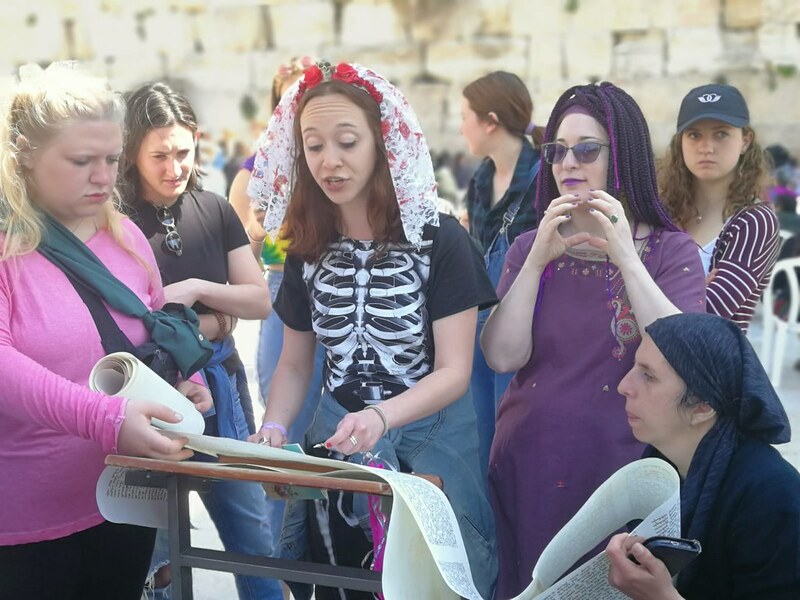 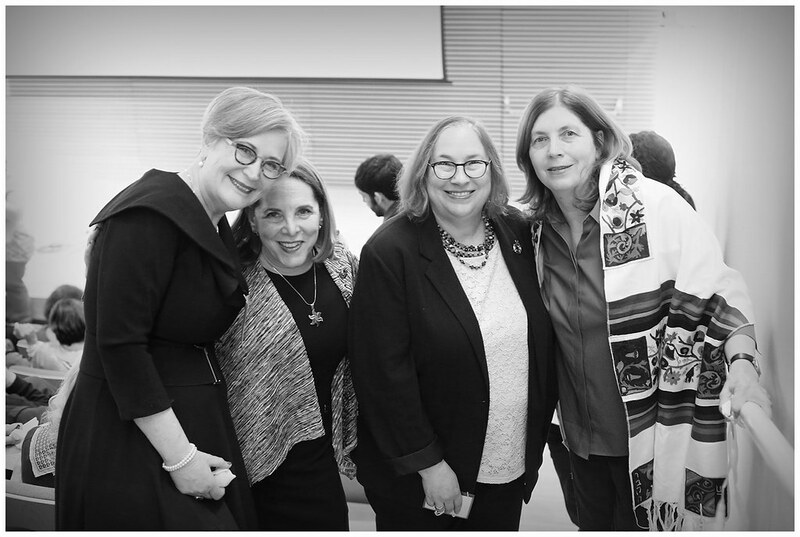 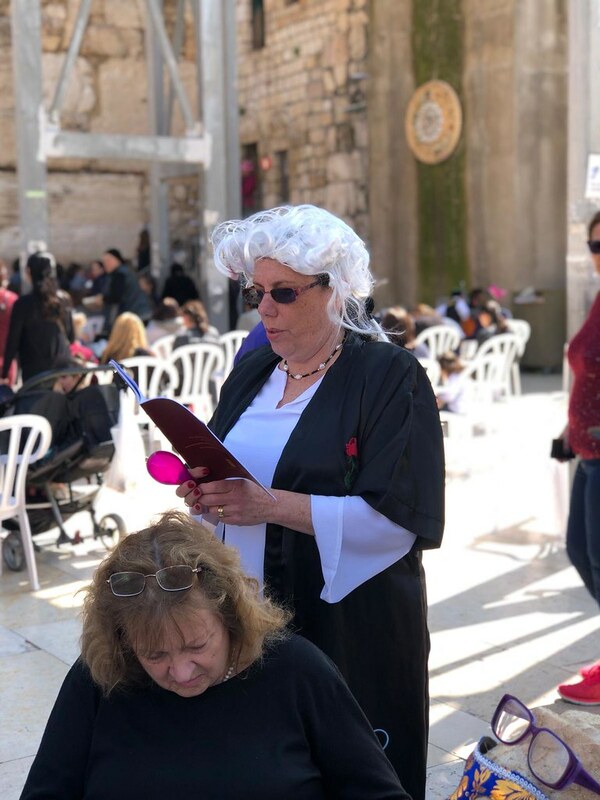 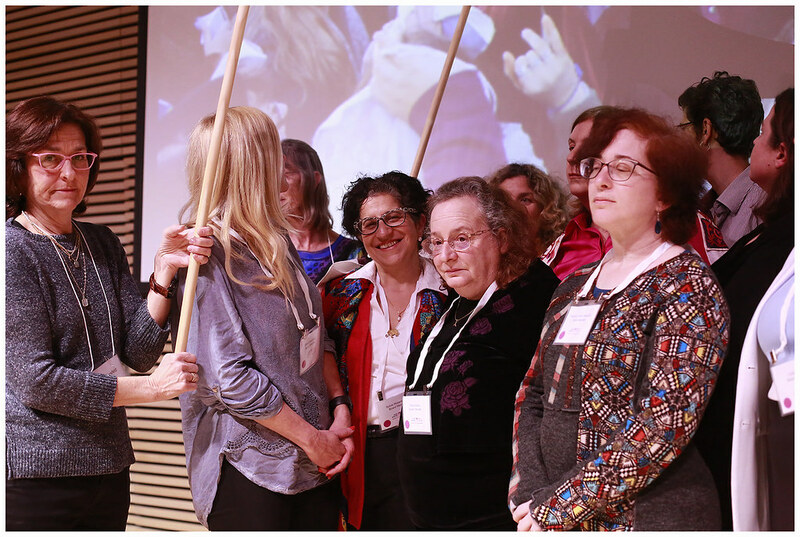 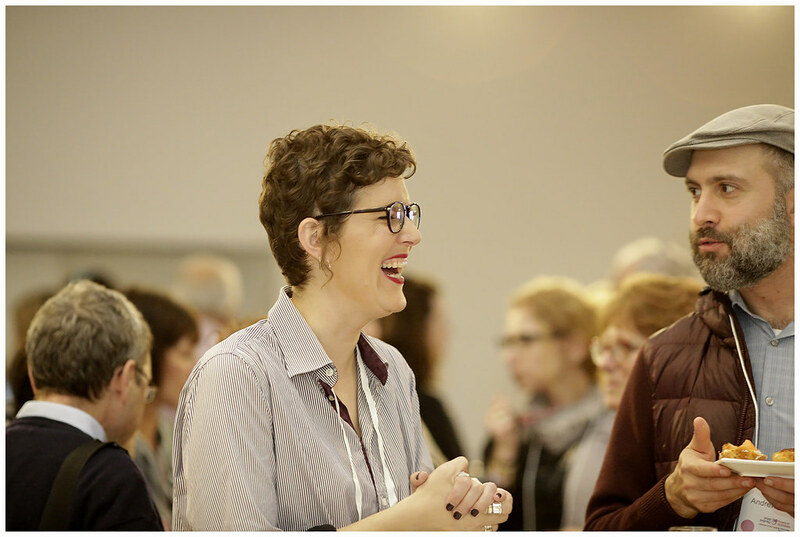 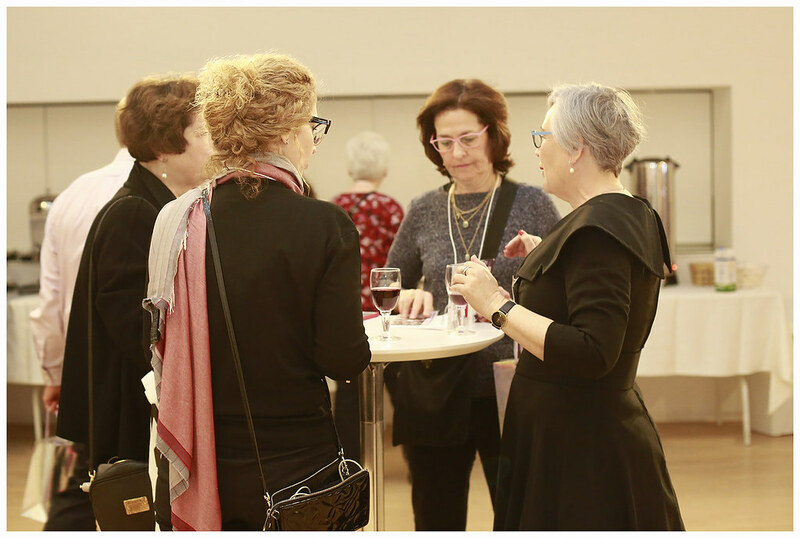 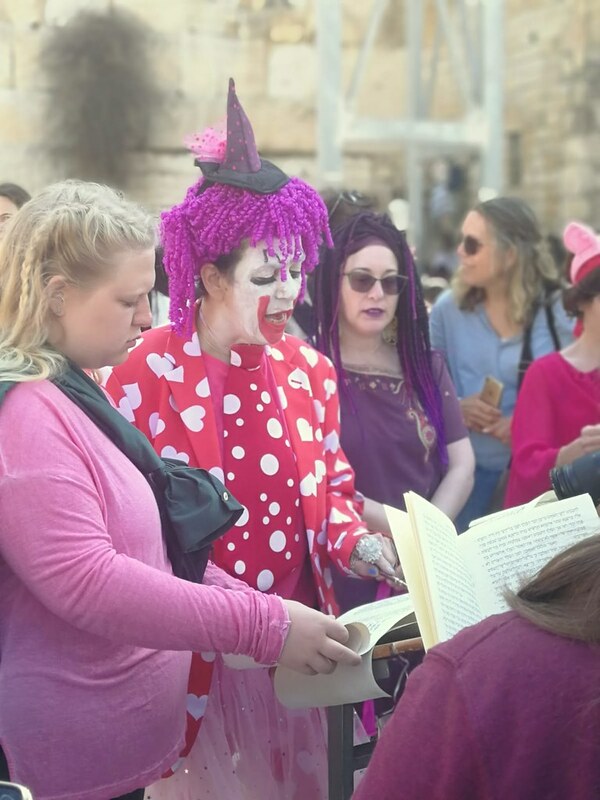 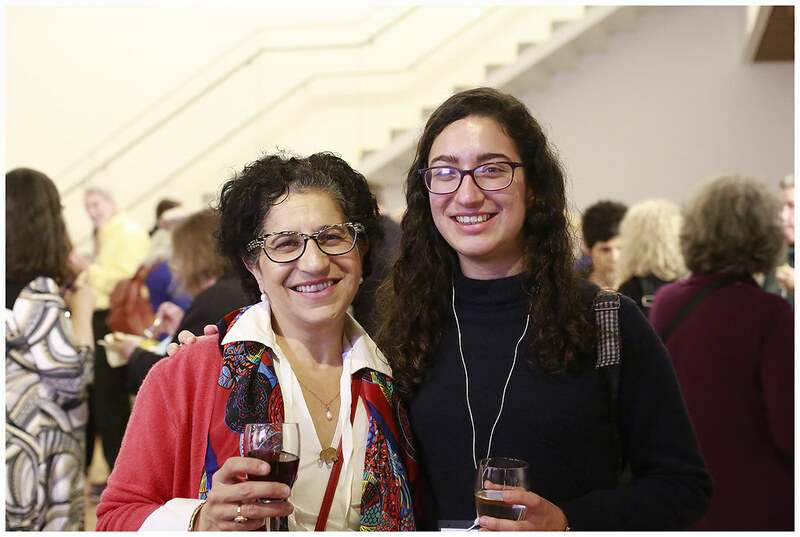 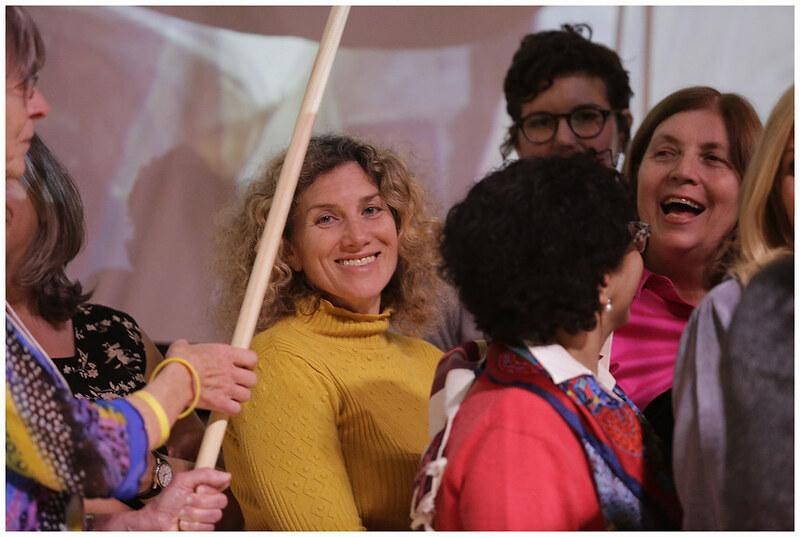 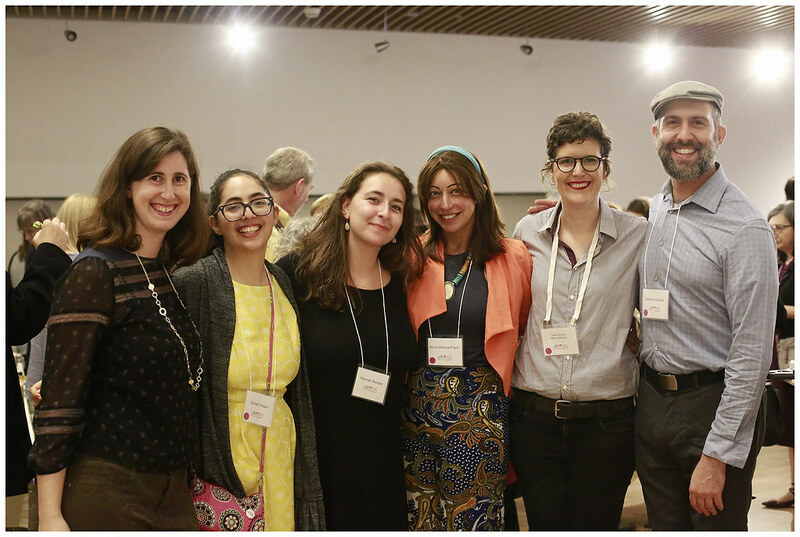 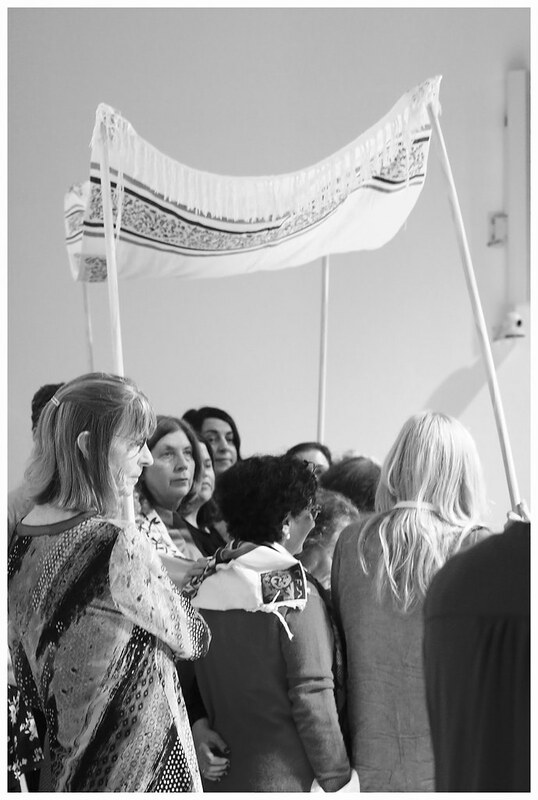 As Women of the Wall, our central mission is to achieve the social and legal recognition of our right, as women, to wear prayer shawls, pray, and read from the Torah collectively and out loud at the Western Wall.